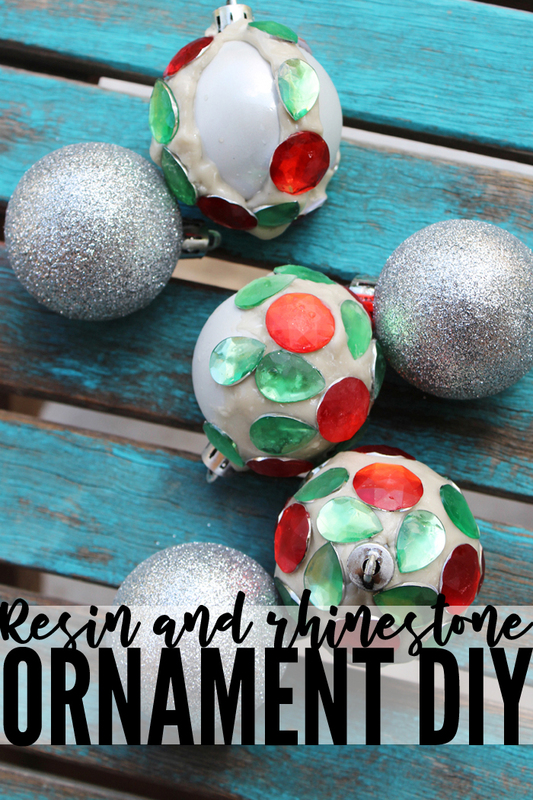 If you’re anything like us here at Resin Crafts Blog, then you’ve been itching to break out the Christmas tree for awhile. 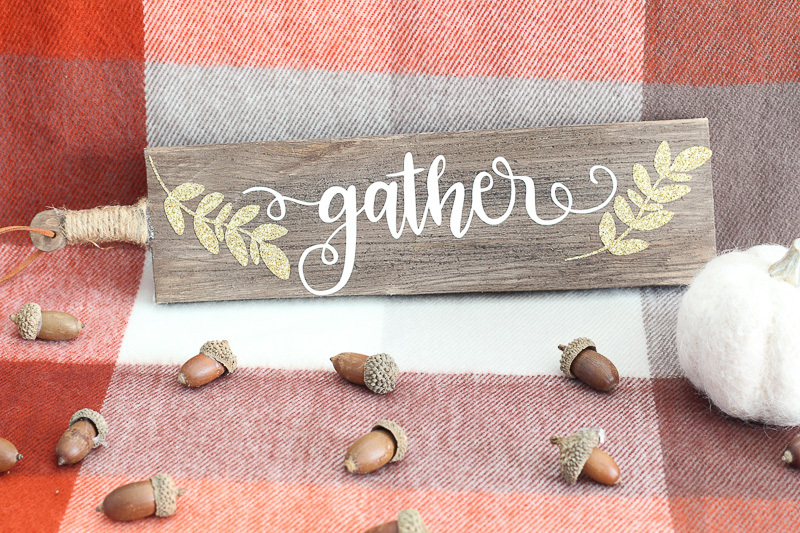 We are claiming that it’s officially a great time to get started on that decor, and we’re celebrating with a little DIY action. 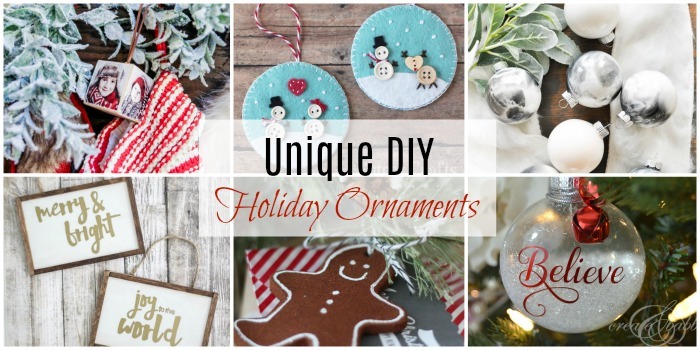 Today we’re sharing the best and most unique DIY Holiday Ornaments you can create this holiday season. Enjoy! A few weeks ago I came across a small stash of little wood cut-outs. I was really keen to use them for some Christmas crafting. 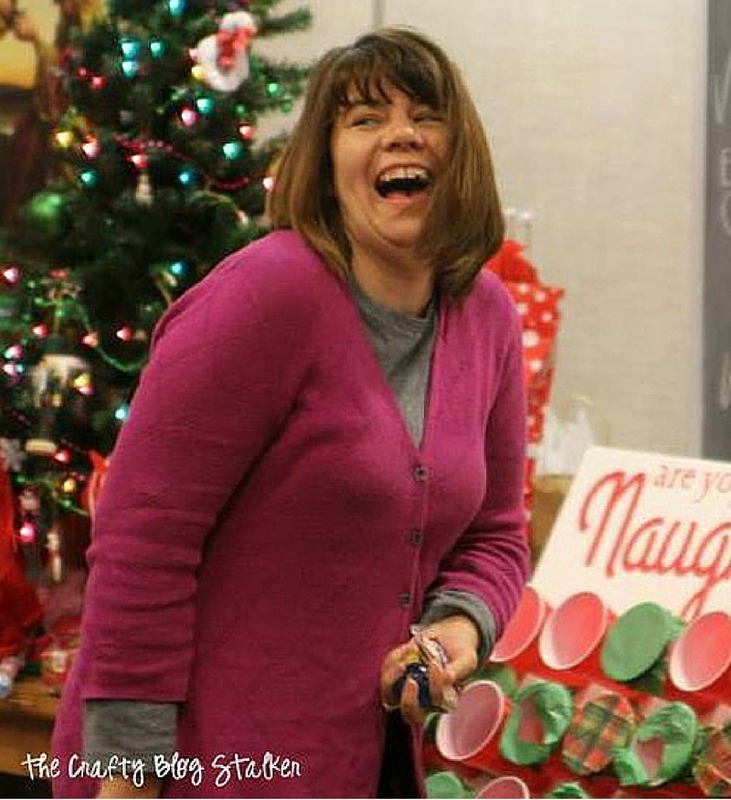 Then, when I spotted buffalo plaid wrapping paper in my sister’s craft room, it all came together! 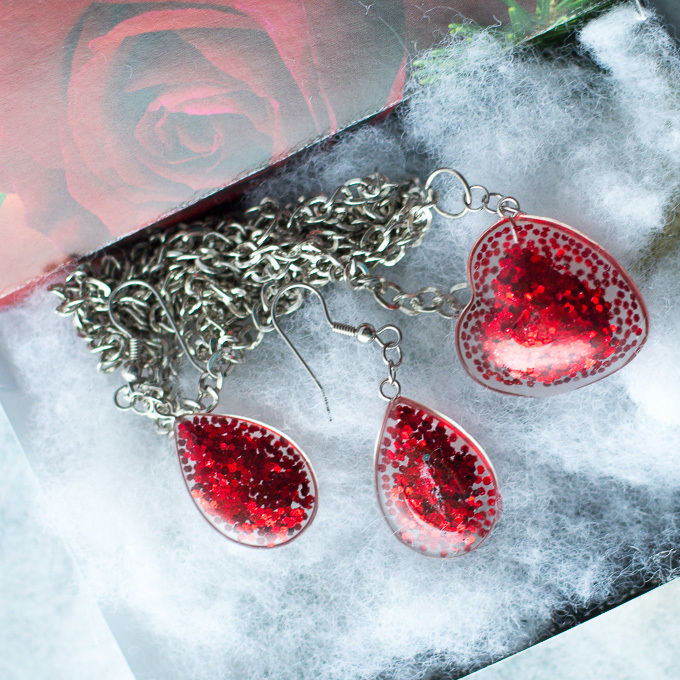 With just a little bit of resin I was able to create a beautiful set of Christmas jewelry that I’ll be able to gift this holiday season. 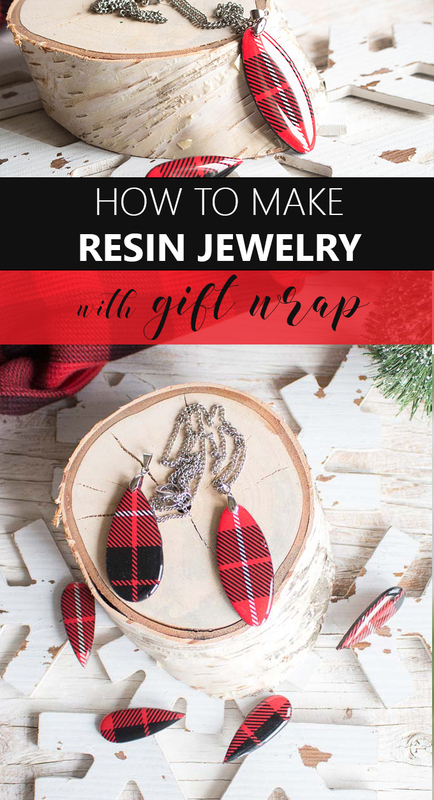 And we’ll show you how to make resin jewelry with your own beautiful left over gift wrap. Hello crafty friends. 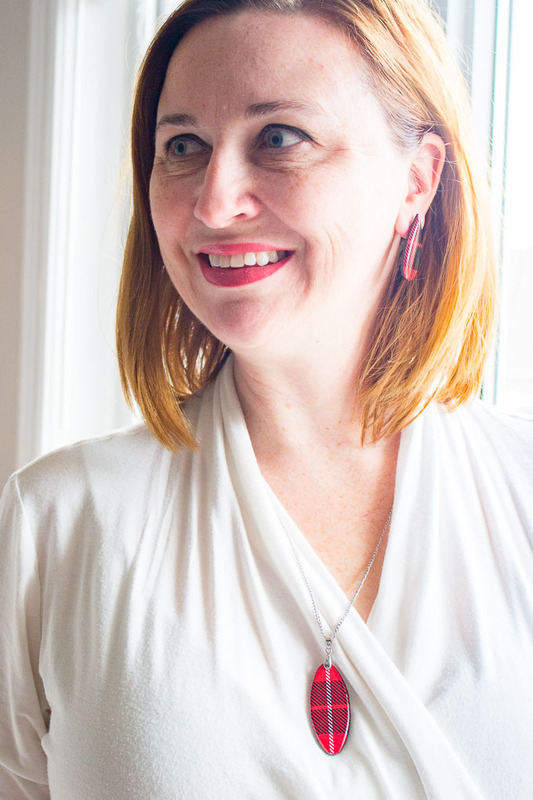 This is Jane from Sustain My Craft Habit, a DIY, craft and home decor blog I write with my sister Sonja. Last Christmas, we made a really simple set of Christmas glitter stud earrings and necklaces which I gave to my nieces as presents. 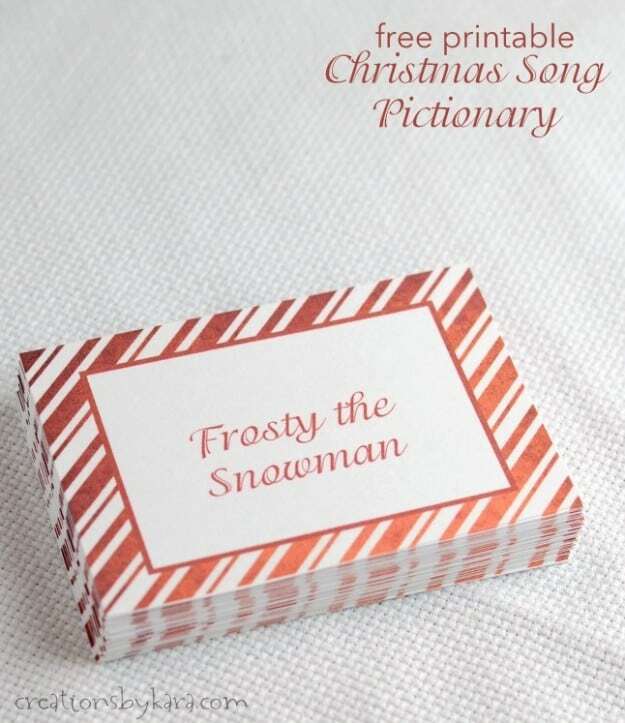 They were a huge hit all around so I wanted to make a new Christmas-inspired design this year. 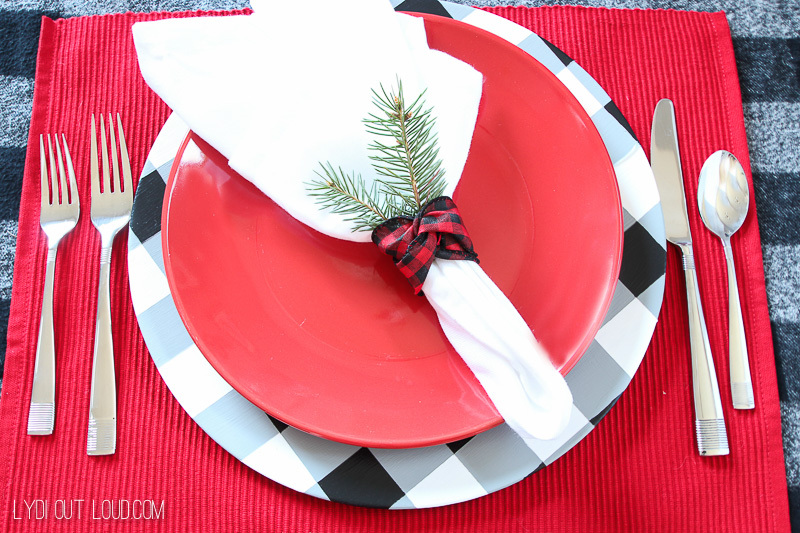 As mentioned above all the pieces came together when I found this lovely buffalo plaid wrapping paper. 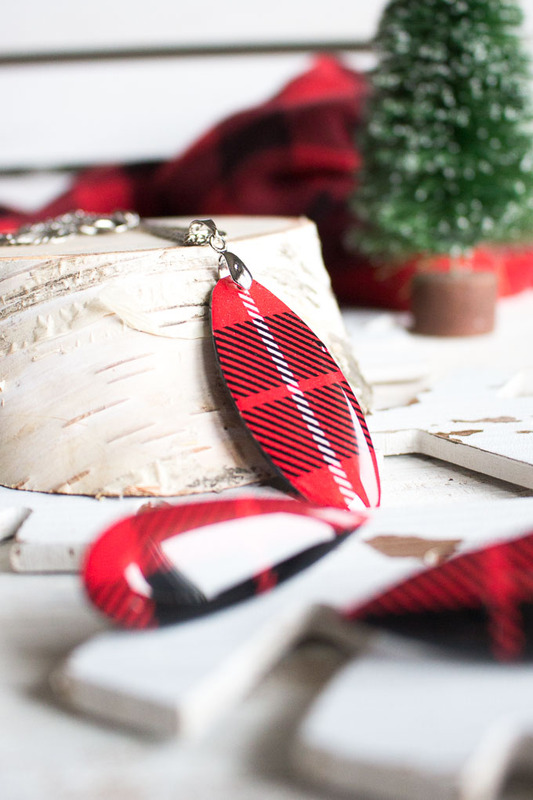 Although I love this pattern I can’t wait to save bits of any wrapping paper we receive over Christmas to make some more jewelry with. Wrapping paper designs can be so ornate and beautiful and I always feel sad about simply throwing them away. Now I have this new way to preserve and display a bit of these miniature works of art. 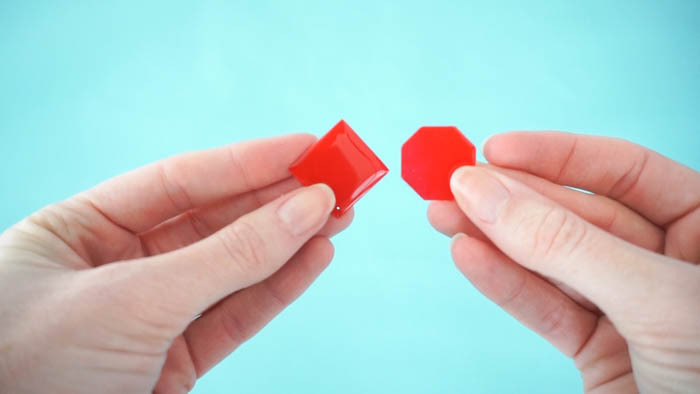 Start by selecting the shapes you’d like to use. I went with a larger teardrop and oval for the pendants and smaller teardrops for the earrings. If you don’t want the edges to look unfinished paint them with a coordinating colour. I used black although red would have looked lovely too. 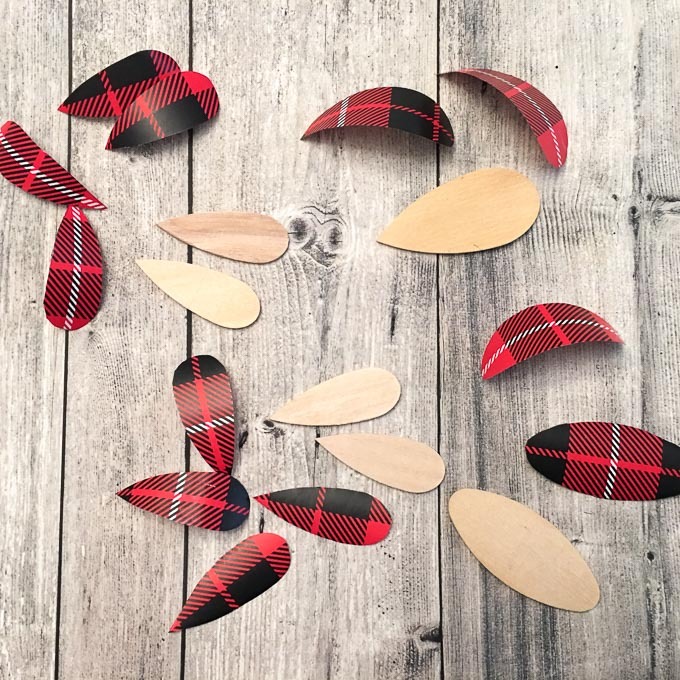 Trace the wood shape onto the wrapping paper. 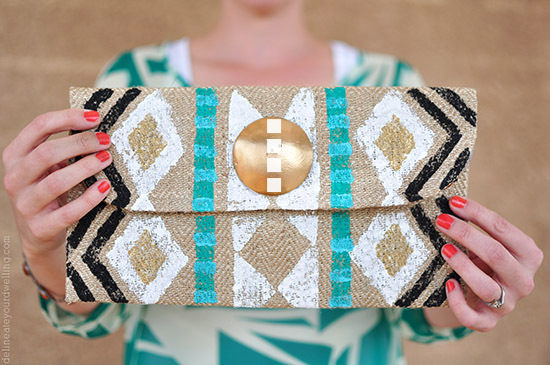 You can choose which parts of the design you like best: random spots, more symmetrical, mis-matched. The choice is yours! 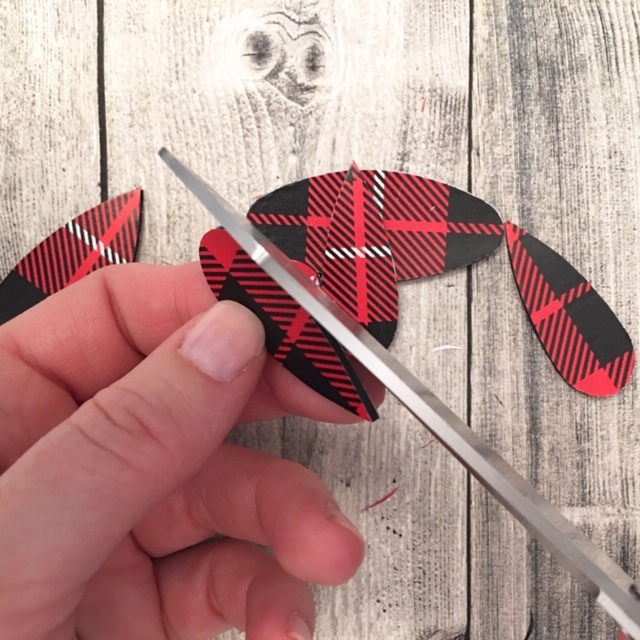 Cut out the shapes with sharp scissors (important to keep the paper from ripping). Don’t worry about being too precise- you’ll trim the paper in a later step. 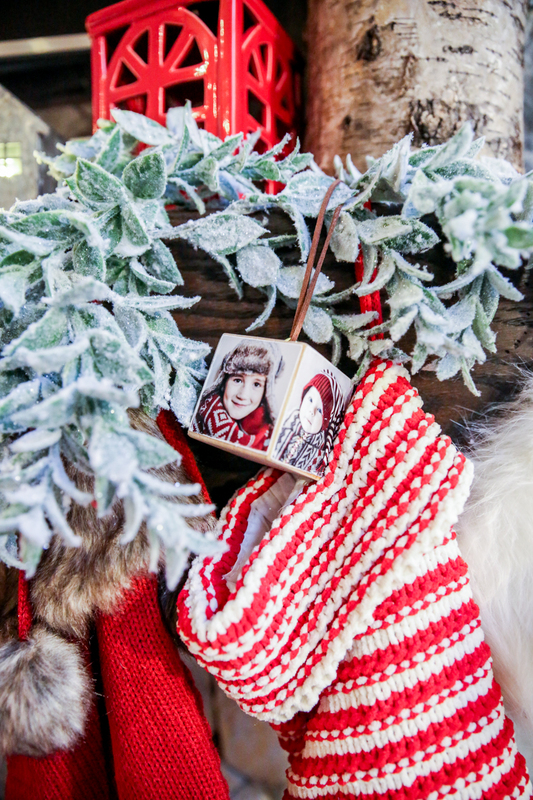 Use a water-based glue/sealer (such as Mod Podge) and apply the wrapping paper to the wood shapes. Let dry and repeat with the other side. 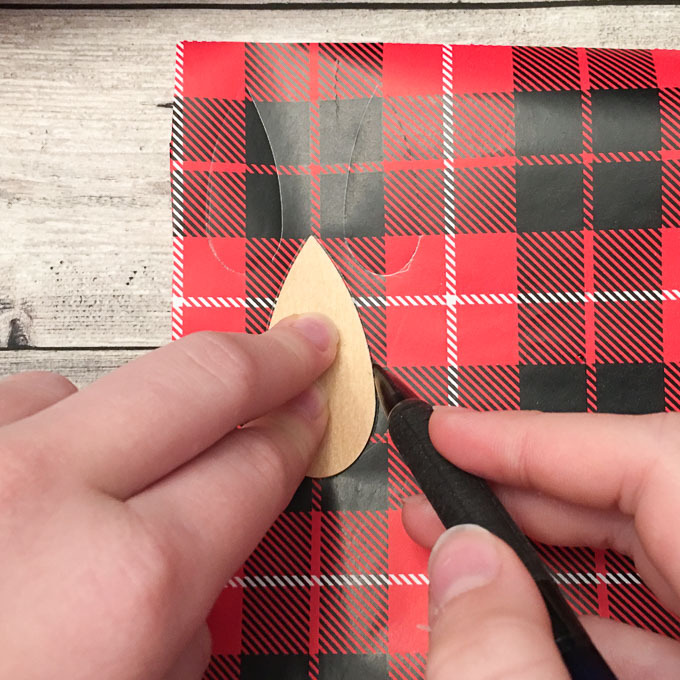 When the paper is completely dry, trim as close to the edge of the wood as possible using sharp scissors. 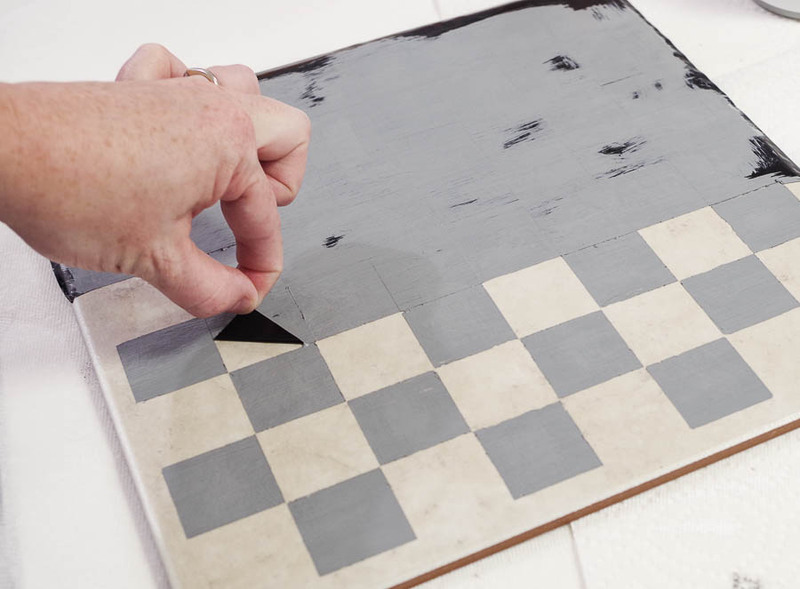 If needed paint over any white edges of paper carefully with a black paint. Let dry. 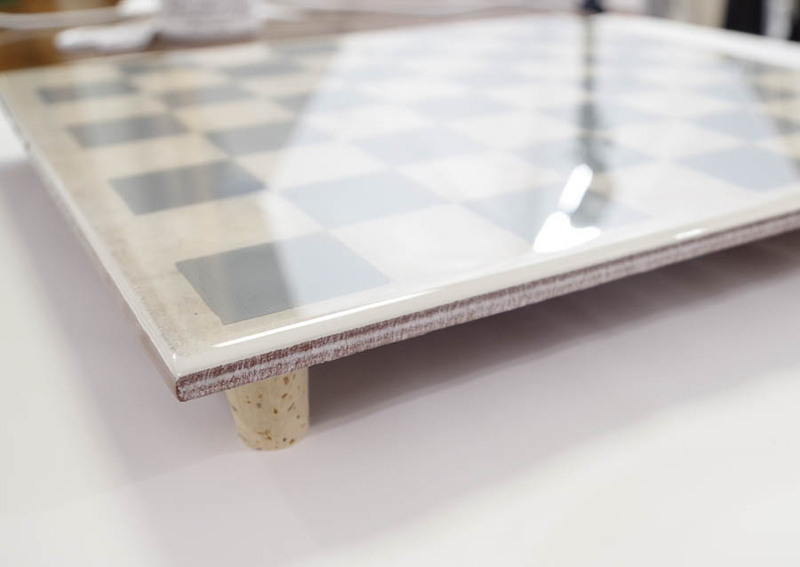 Prop your prepared wood cutouts on a raised surface to prevent the resin from pouring over the sides and sticking to the surface. Using the stir stick drop small amounts of the resin mixture onto the surfaces of all the prepared wood cuts. Try to get a nice domed droplet without the resin pouring over the edges (but not to worry if it does). Cover the pieces to keep dust out and let cure overnight. 24 hours for a soft cure and up to 72 hours for fully cured jewelry. Turn pieces right side down and repeat the resin pouring process. 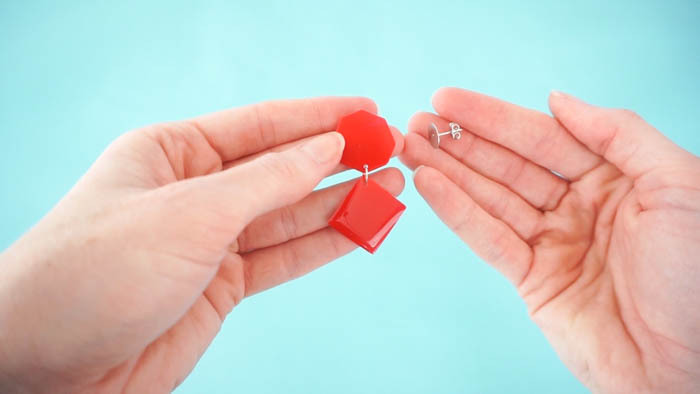 When completely dry, attach the earring posts to the back side with jewelry and bead glue and attach the pendant bails after drilling a small hole close to the top of the pendant. And there you go, beautiful jewelry to gift or keep for yourself. The skies really the limit with this technique. 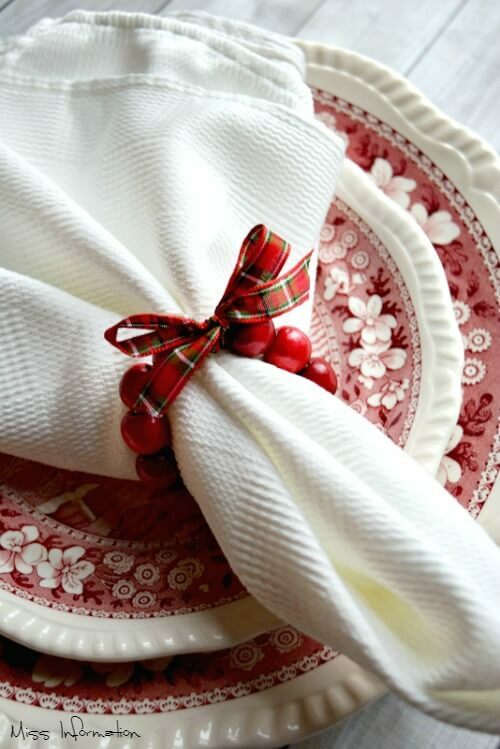 You could also use decorative napkins, scrapbook paper, newspaper or really any kind of design. Begin by mixing one part of the white clay and one part of the tan clay. Definitely wear disposable gloves while working. 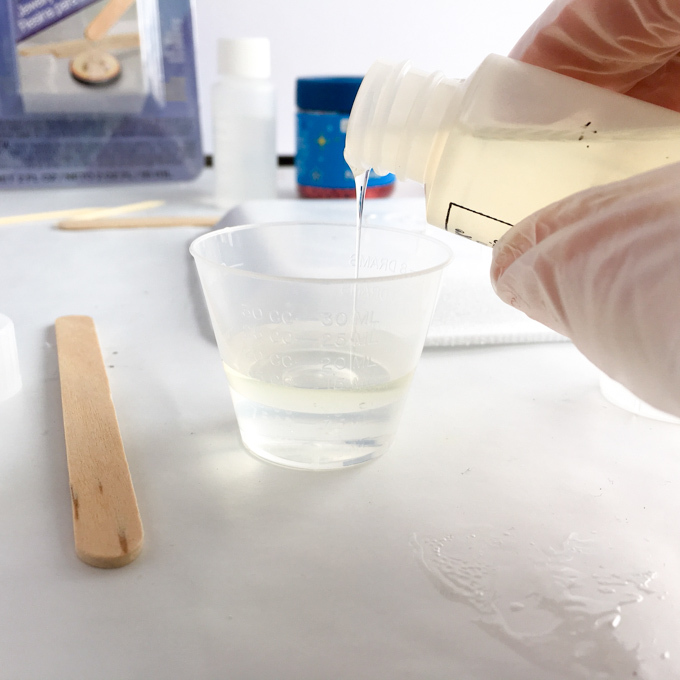 The clay becomes very sticky.Start by mixing the equal parts together so they are combined completely, without marbling.Next, use the mixed clay to cover the entire ornament with a thin layer of resin clay. Then press jewels gently into the clay. When the Jewelry Clay dries it will keep those jewels in place securely. Now get creative! 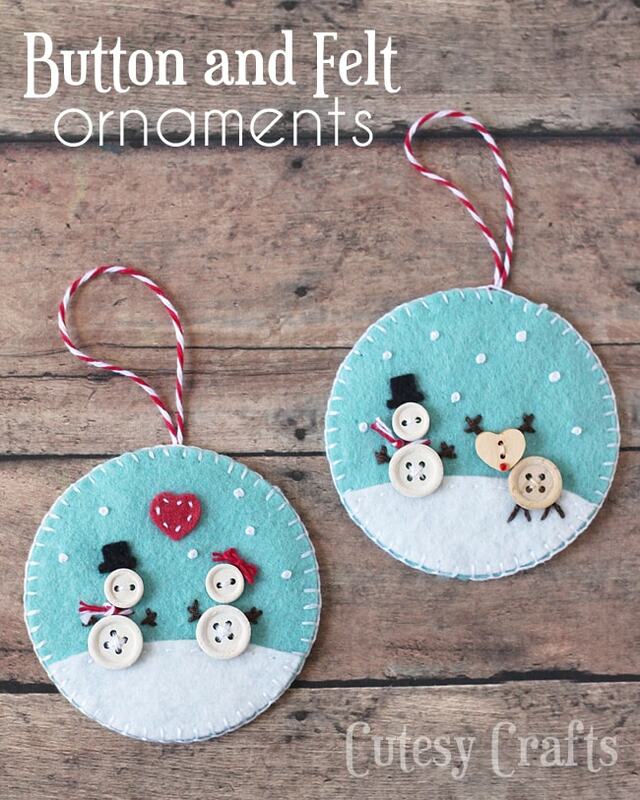 Cover the ornament with jewels completely…using varying sizes of jewels too. 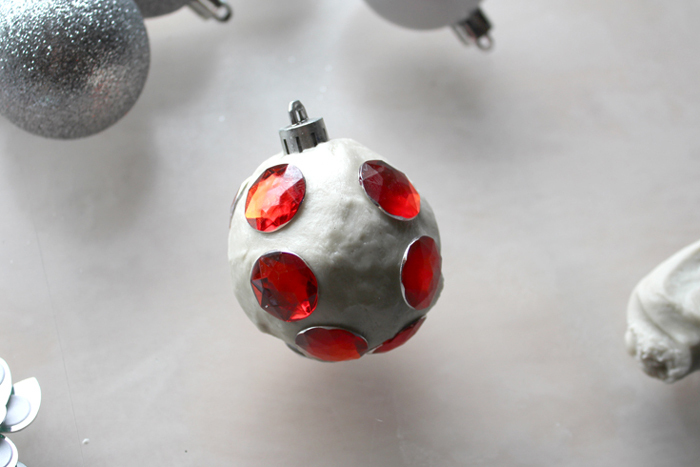 Jewelry clay has a working time of up to 2 hours, so place jewels on the ornaments without delay. On the other hand, you can just add rows of clay filled with jewels.Now let the Jewelry Clay dry completely for about 4 hours and they are ready to add ribbon to and hang on the tree.This craft is particularly fun to do with older kids. Let them add little charms, steampunk cogs and watch parts, jewels or other little treasures. 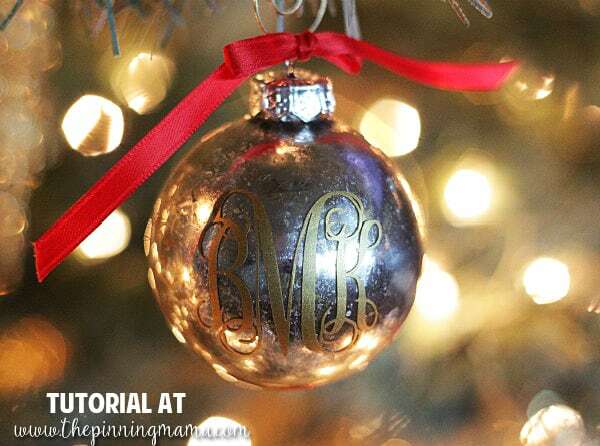 This is an especially fun way to decorate a Christmas tree ornament. 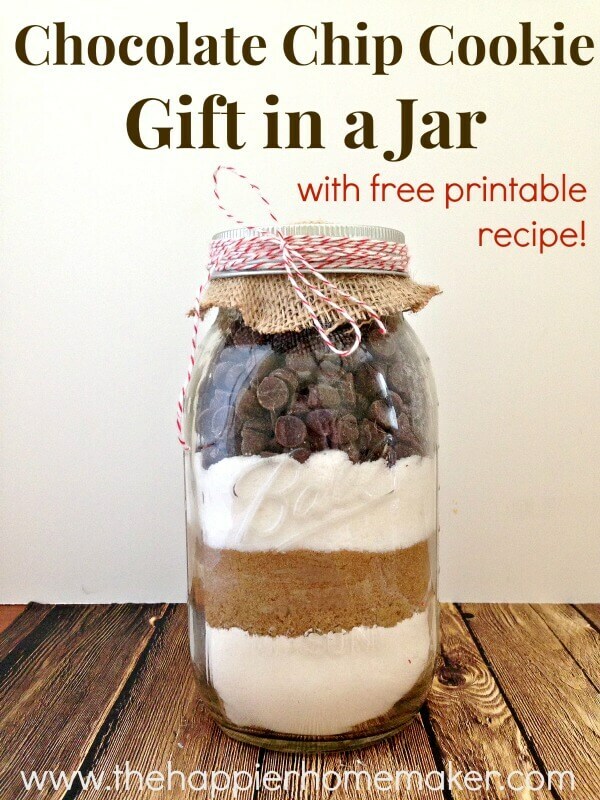 Some of the best gifts that you can give to the people you love this holiday season are DIY Gifts. The great news about that is that they are meaningful gifts, and usually are way more affordable as well! 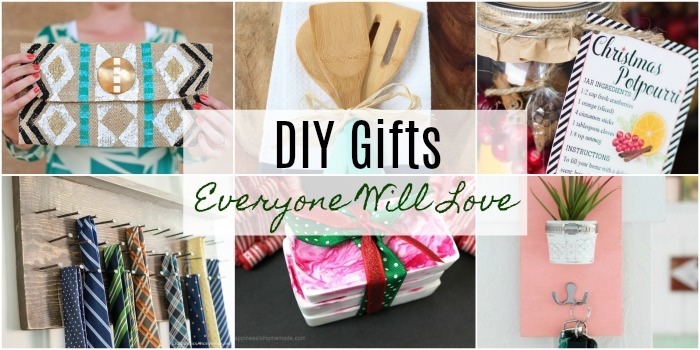 Today we are sharing with you some of the best DIY Gift options out there for the upcoming holidays. 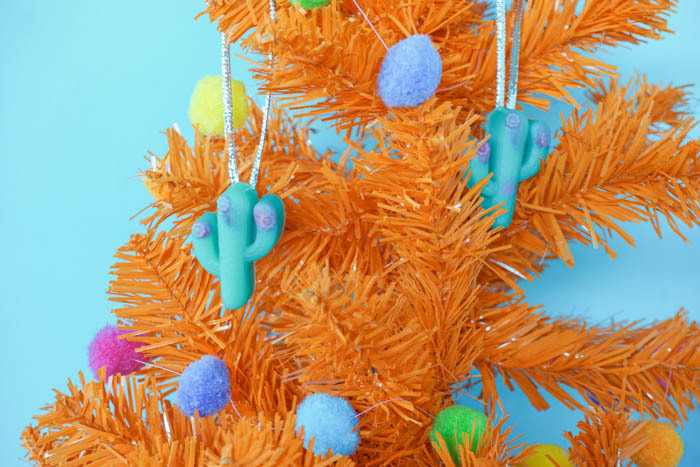 Use EasyCast Clear Casting Epoxy to create festive cactus ornaments in an unconventional design for your Christmas tree! Hey Resin Crafters! Amber Oliver here with another great resin craft. 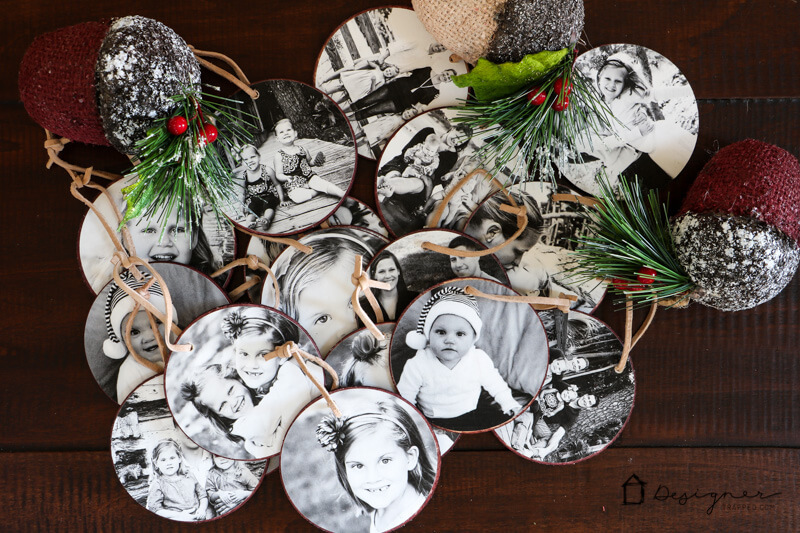 The holidays are coming and I’m so excited to pull out the Christmas tree! 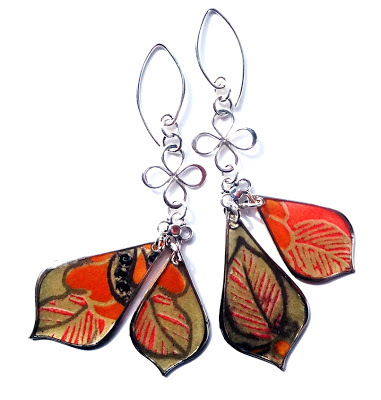 I usually opt for a more colorful style and steer clear of the traditional reds and greens. Since I usually do things a bit differently, my ornaments are no exception! 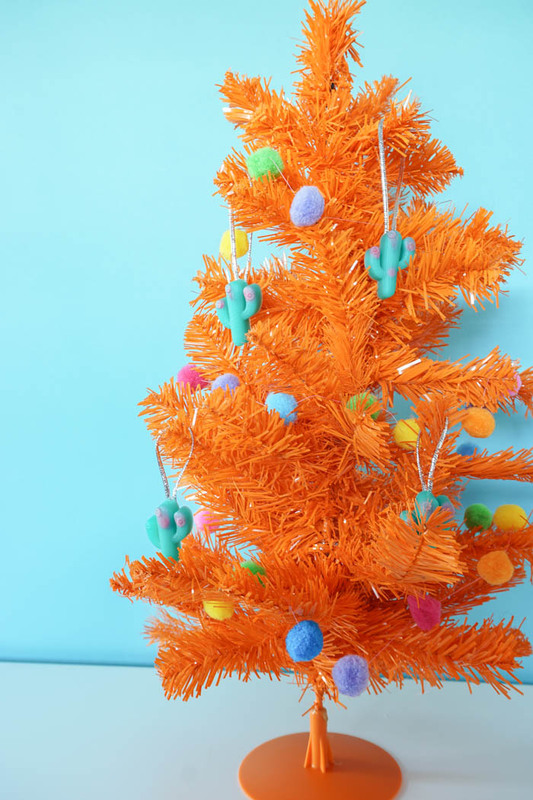 This year I’ve added some darling resin cactus ornaments to the colorful orange tree in my home office. 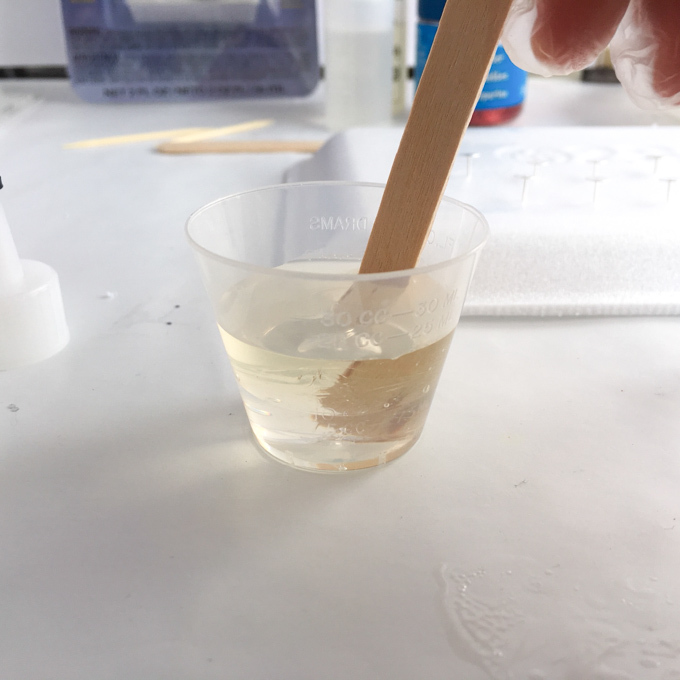 Step 1: First, prepare the EasyCast Clear Casting Epoxy. This is a multi-step process so don’t start mixing until you are ready to do the whole process from beginning to end! Start by mixing EQUAL parts of the Hardener and the Resin. 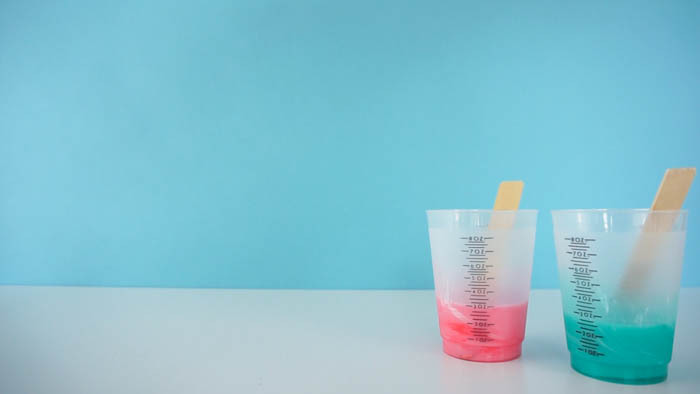 Stir for two minutes (be sure to scrape the bottoms and sides) then pour from the first cup into a second and mix with a new stir stick for another minute.Step 2: Once your resin in ready, pour a small amount into another cup. Step 3: Add a tiny amount of red to the cup with the smaller amount of resin, then add a few drops of green to the larger cup. Step 4: Next, add a drop of white to both cups. This will make your colors more pastel and turn the red into pink! 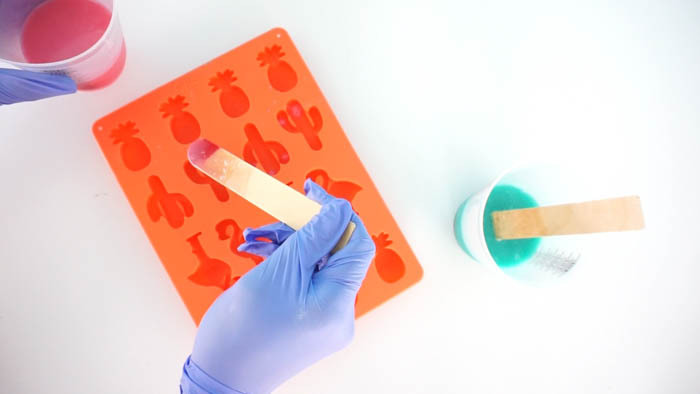 Step 5: Use a stir stick to drop a tiny amount of pink into the holes for the cactus flowers. Step 6: After a few minutes, pour in the green to fill the mold! Step 7: When you’ve allowed enough time for the resin to cure, you can remove from the molds. 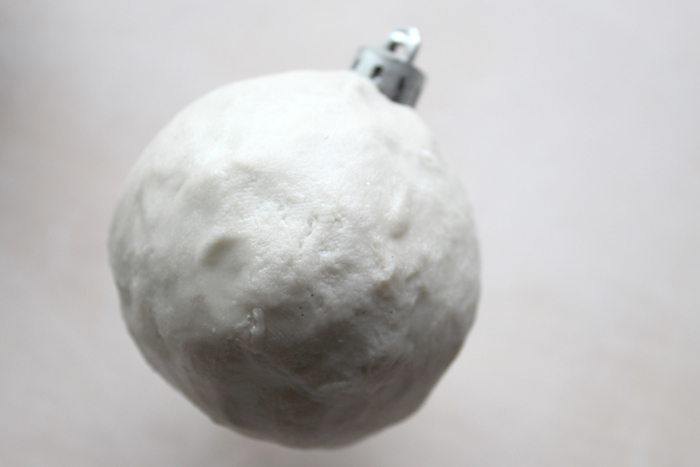 Step 8: Use glue to attach string to the back of your ornament so you can hang them on your tree! 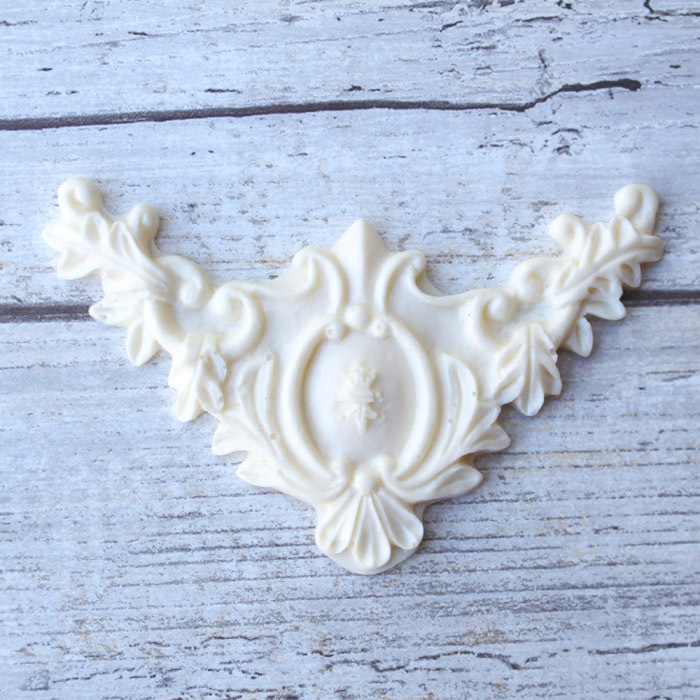 Because there are so many silicon molds out there, the possibilities are endless. 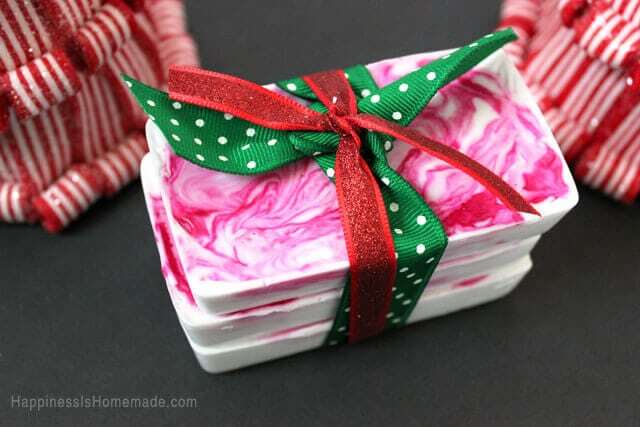 With this mold, I was also able to create adorable pink flamingo ornaments out of resin! 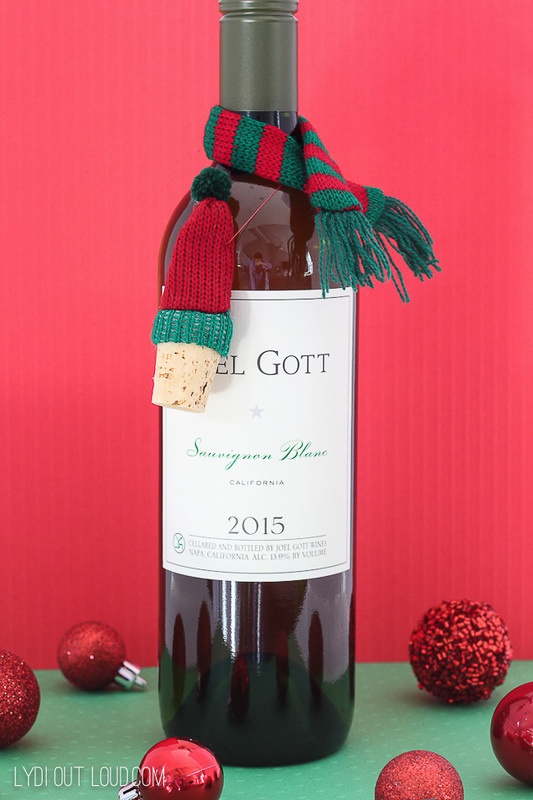 Wishing you a holiday season full of fun! 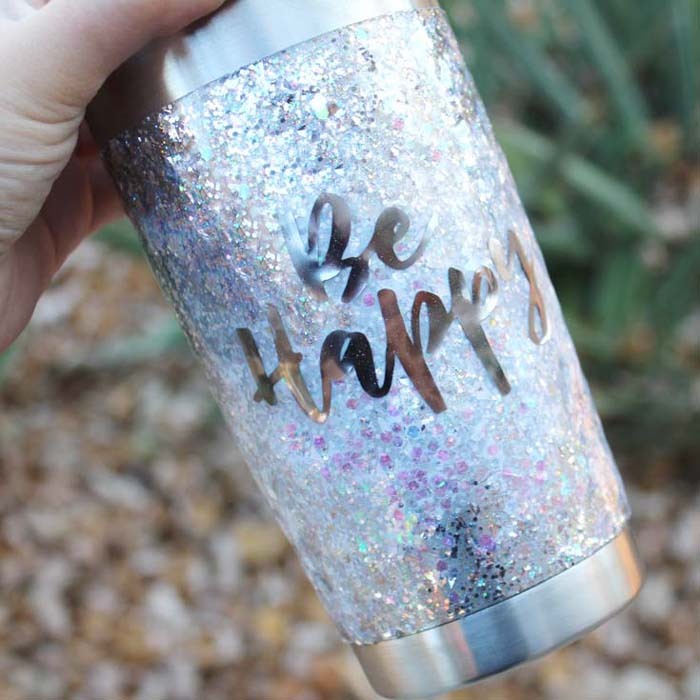 It’s Natalie from Doodlecraft sharing an amazing tumbler DIY, especially perfect for a handmade gift! I love making handmade gifts for the holidays. 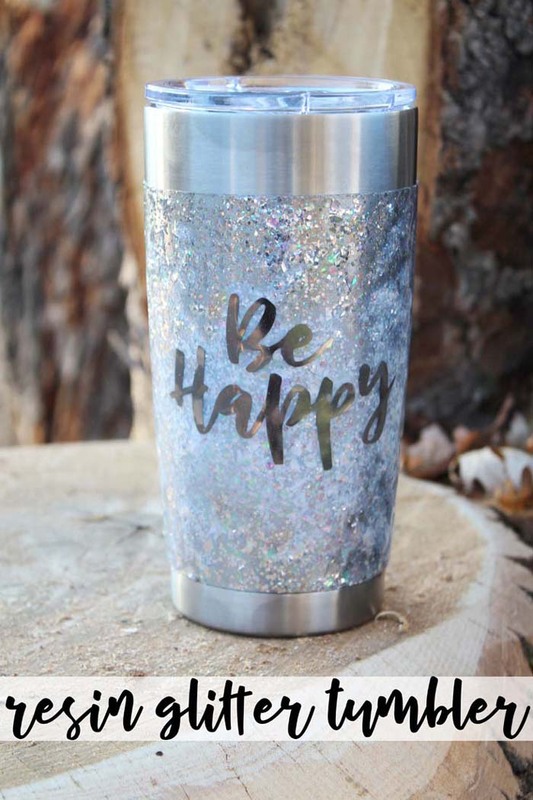 This tumbler is a great way to create a uniquely custom gift. 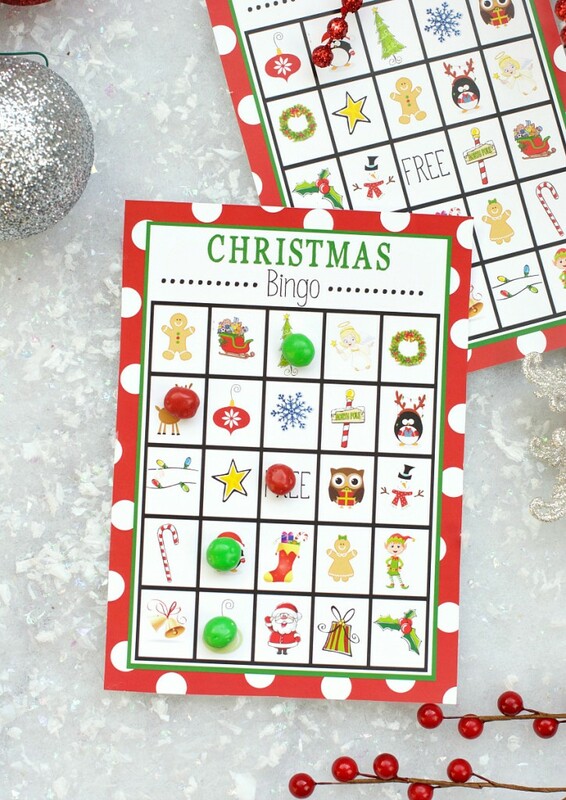 With loads of sparkly glitter and glossy resin, this is sure to please any recipient. 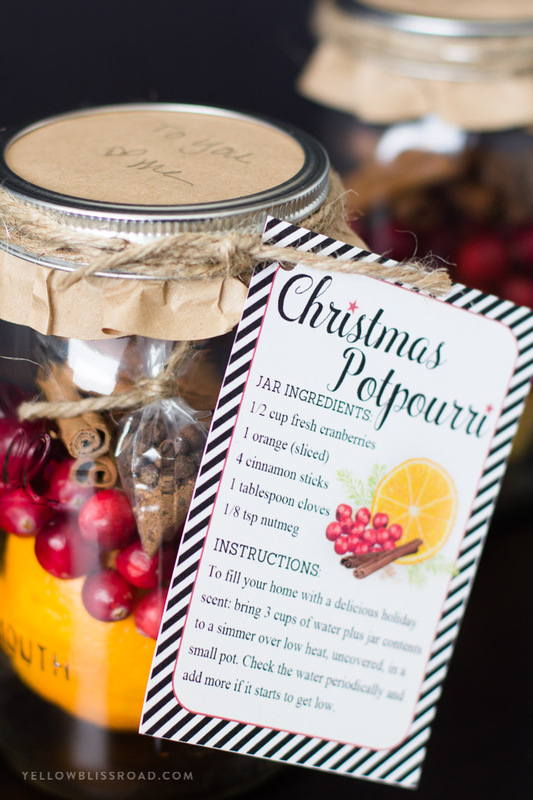 This project takes a couple days to complete, so get started early for the perfect holiday gift. 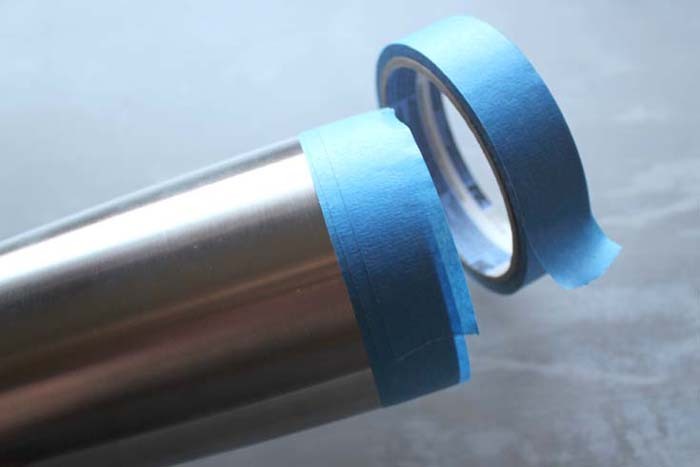 Begin by taping off the top and the bottom edges of the stainless steel cup with painters tape. Press the edges of the tape down securely and fold the excess tape inside the cup. 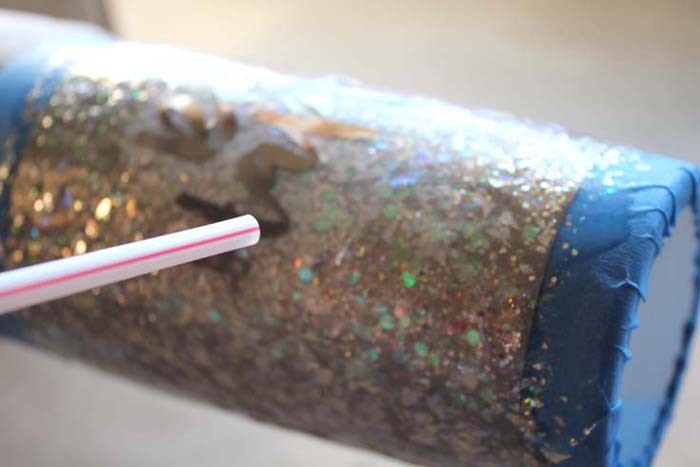 Second, paint the glitter craft paint all over the tumbler between the painters tape. Then let it dry completely. Now, while the paint dries, cut some adhesive vinyl on a cutting machine. 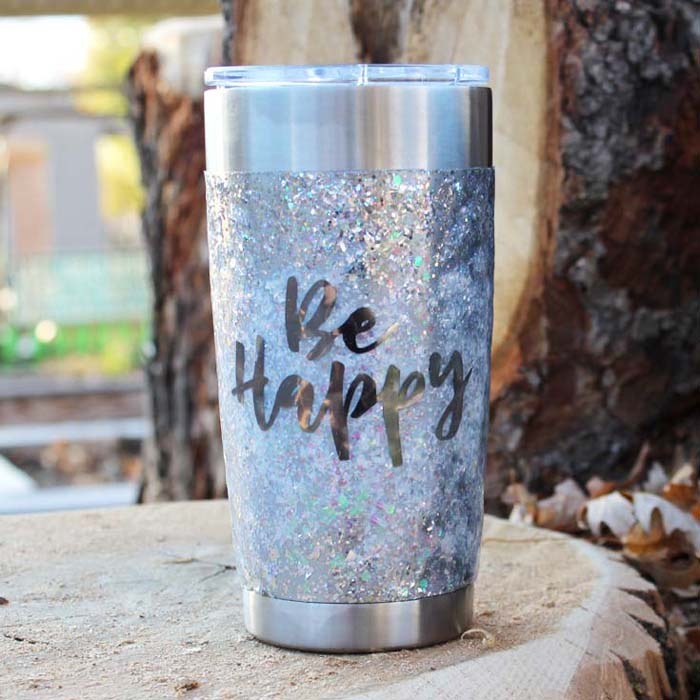 I chose “Be Happy”…what will you pick? 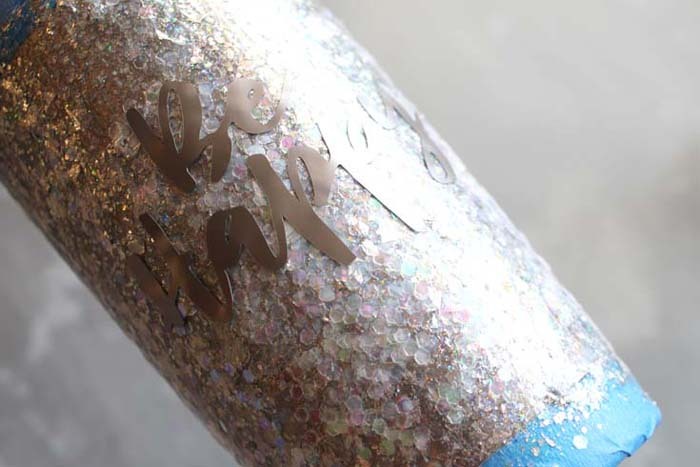 After the glitter paint is dry, apply the vinyl right on top of the thick glitter. 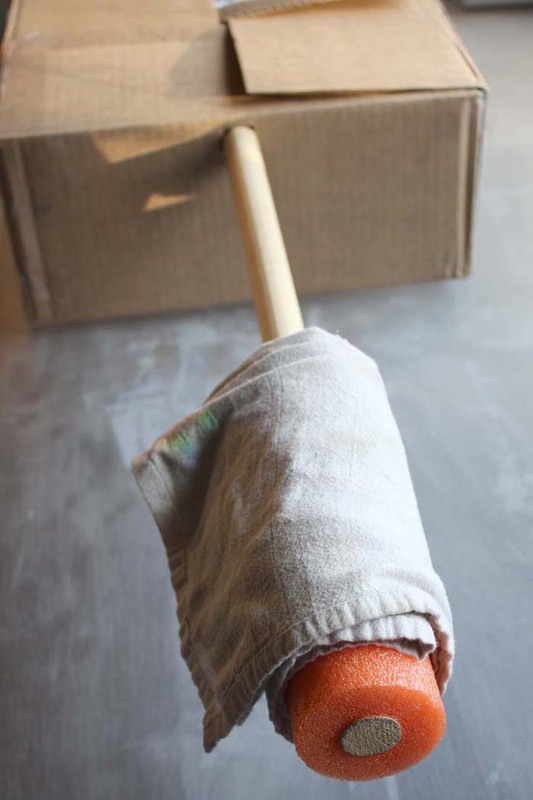 Cut a hole through the cardboard box on both sides and stick the dowel through it. Shove the pool noodle section on the end of the dowel. Wrap the pool noodle with a dishcloth to make up the difference in diameter for the inside of the cup. Now fit the tumbler on the wrapped end of the dowel. If it is too heavy, fill the box with books to help keep it sturdy. Then tape a disposable work surface underneath the tumbler. High gloss resin is amazing, self leveling and dries smooth. Read the resin directions thoroughly. 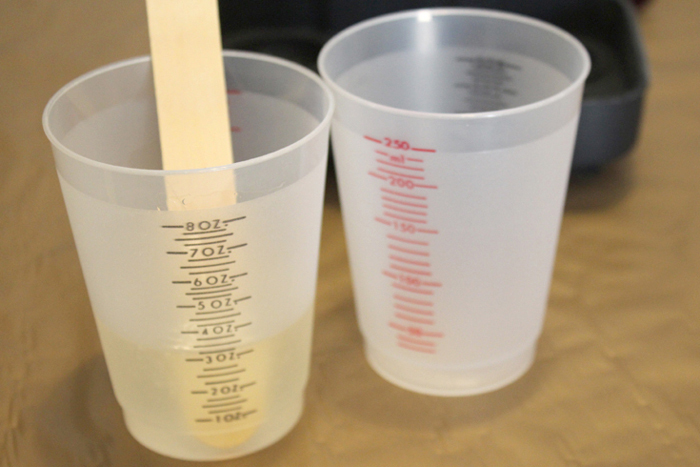 Mix 1/2 ounce of resin with 1/2 ounce of hardener in a disposable mixing cup and stir with a stick for 2 minutes. Pour all the resin into a second cup and stir it with a new stick for 2 more minutes. 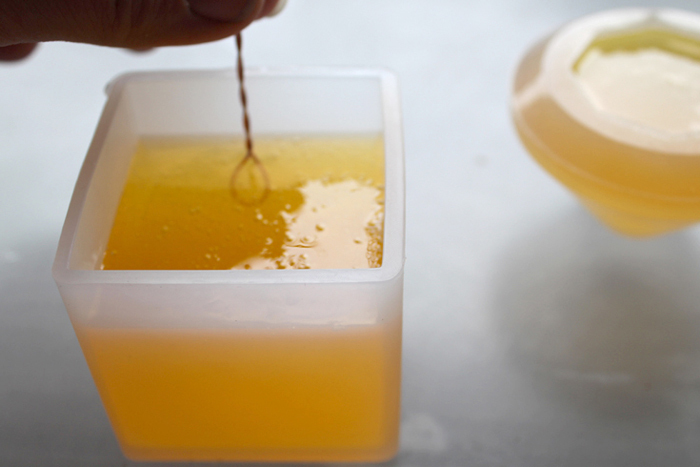 Begin by using the stirring stick to spread resin all over the cup. 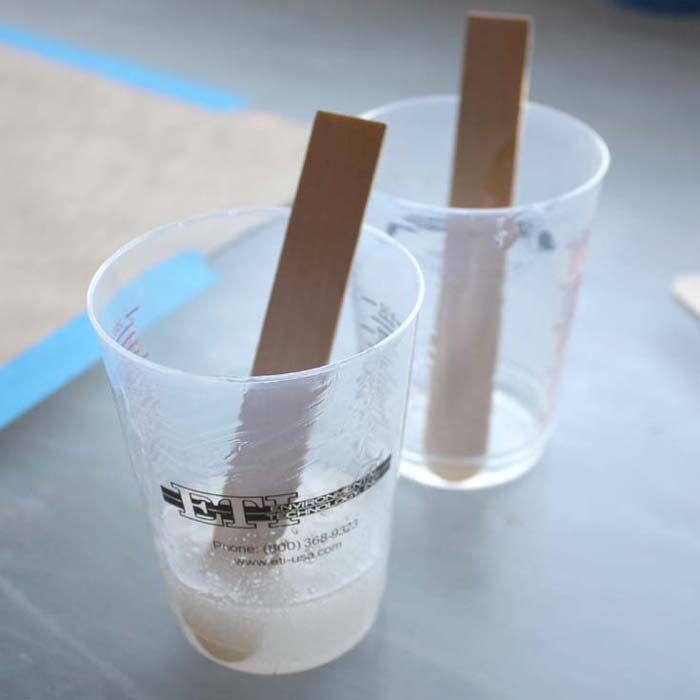 Once the resin is on the cup, rotate the dowel slowly to keep the resin moving around the cup. 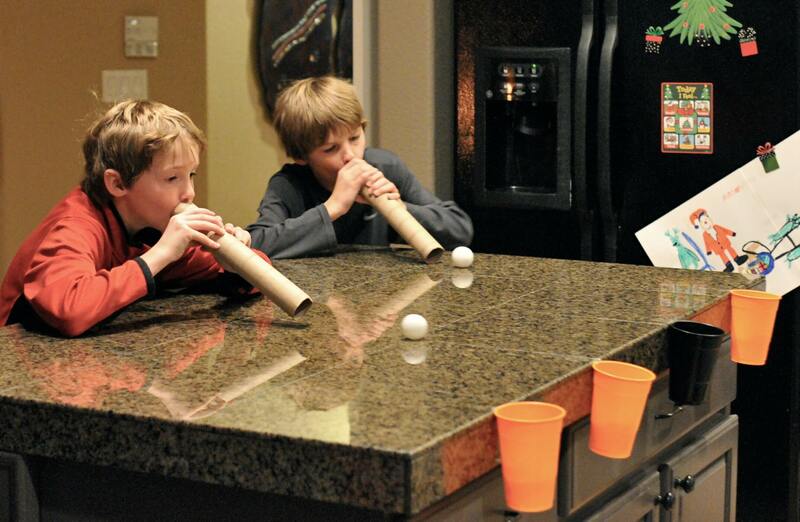 Then transition to rotating the cup 1/4 turn every 2-3 minutes for the first hour. After about 20 minutes, pop any bubbles that have formed by gently blowing through a straw. Continue rotating the tumbler every 5 minutes for the second hour. For the 3rd-4th hours, turn every half hour. 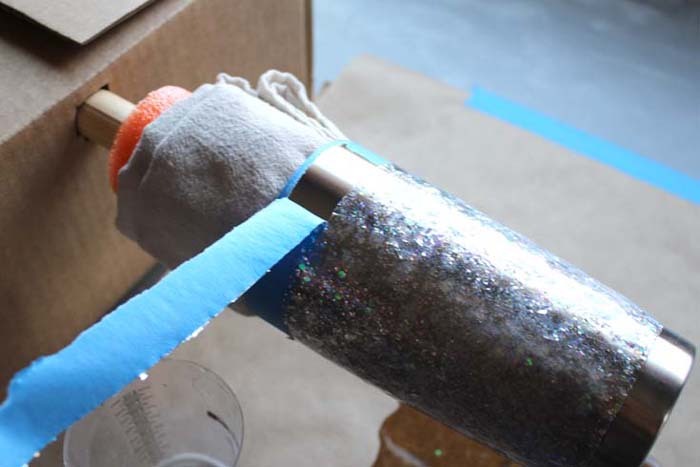 After 4 hours of turning the tumbler, gently remove the painters tape without touching the resin, it will still be tacky. Rotate another couple hours…then take off the tumbler and stand up to dry and cure for 24-48 hours. It is particularly sparkly and shiny! Everything is coated with a thick layer of glossy resin to keep the tumbler smooth and amazing–surprisingly because there is so much texture under it! 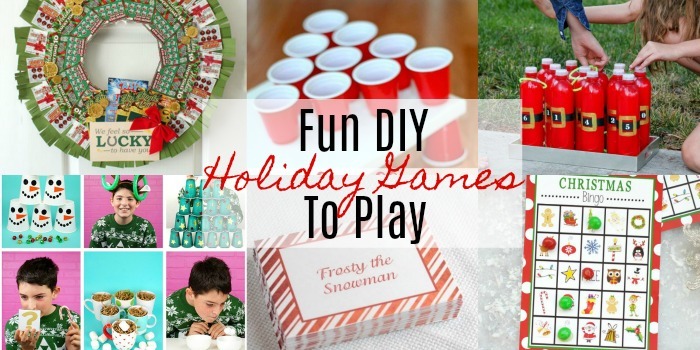 Put this fun resin craft on your holiday to-do list! There’s really nothing better than the holiday season. 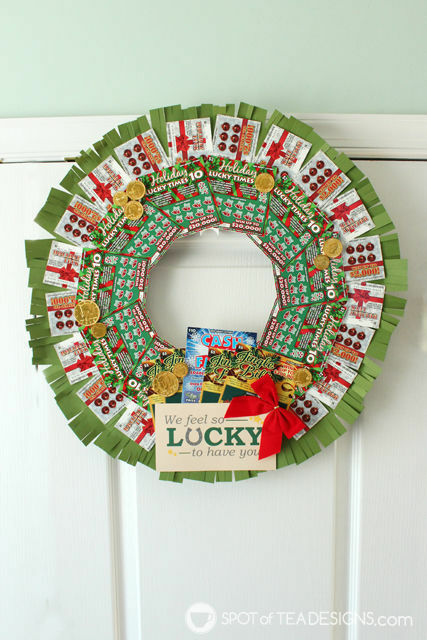 We here at Resin Crafts Blog like to take full advantage of this time of year as an opportunity to do all the crafting. It’s also a great time to take advantage of spending time with your loved ones. 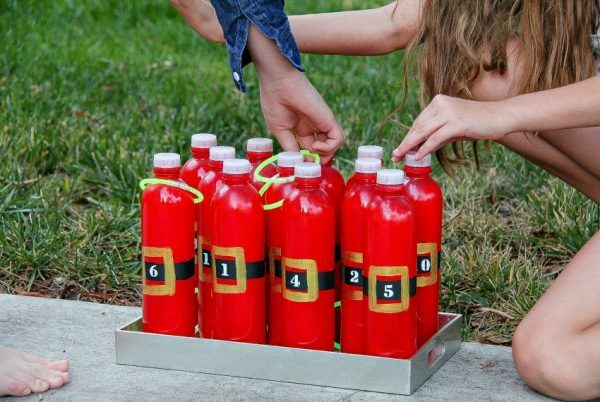 Whether it be family or friends, we’ve got some great DIY Holiday Games rounded up for you that you’re going to love this holiday season. Which ones will you play? 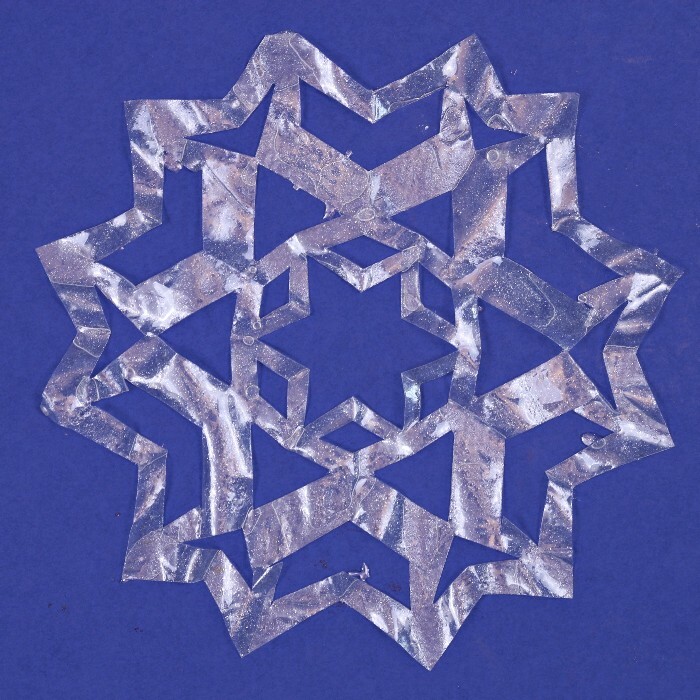 Cutting out paper snowflakes is a cherished tradition for children. 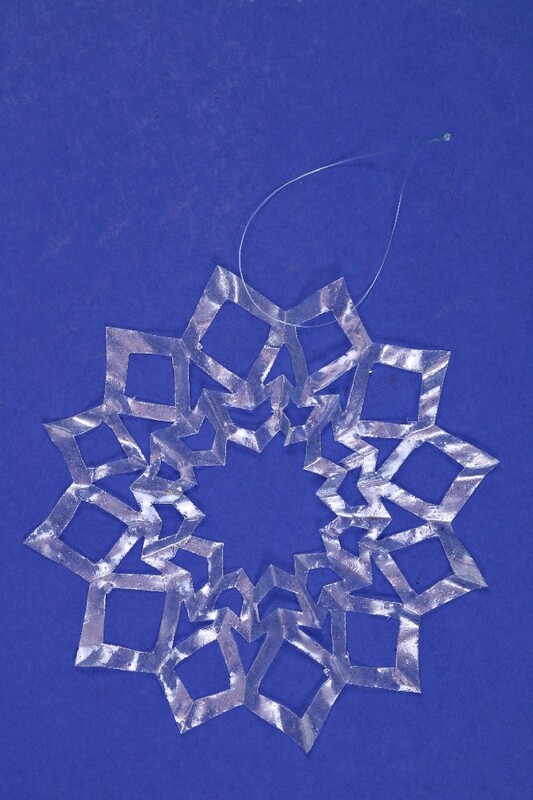 I wondered if there was a way to preserve delicate paper snowflakes so they could be saved from year to year. 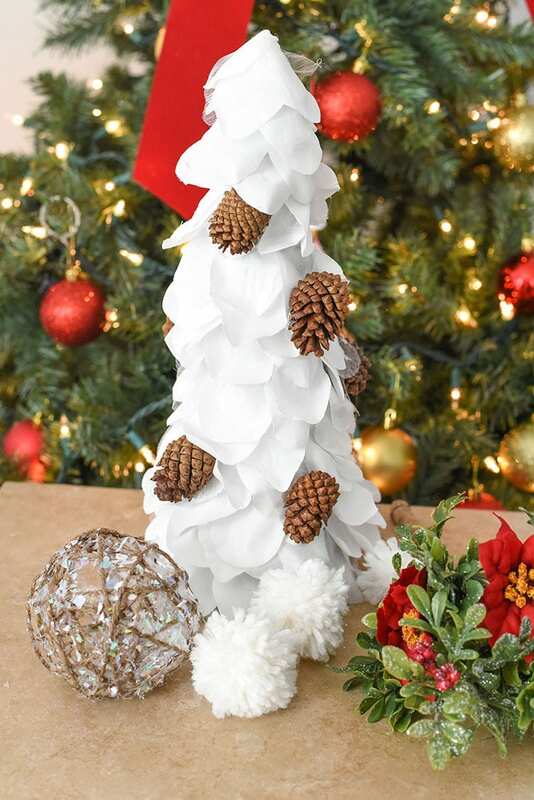 After some experimentation, I discovered a way to make resin-coated coffee filter snowflakes that are a beautiful addition to any Christmas tree or winter decor. 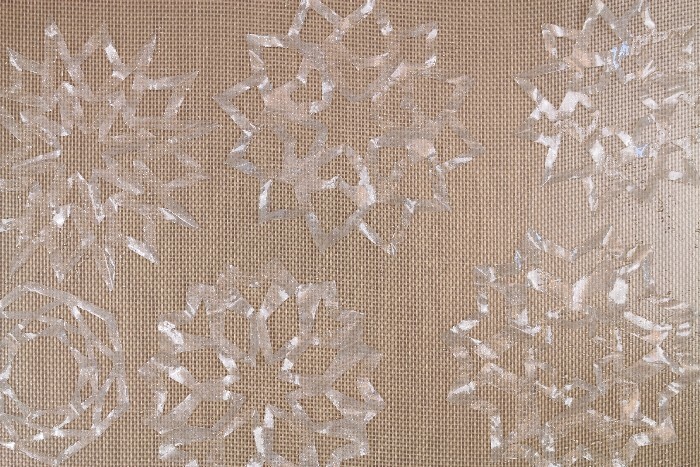 The resin makes the cut paper snowflakes nearly transparent giving them a stunning, crystal quality. First, you will need to break out your grade school paper snowflake skills. 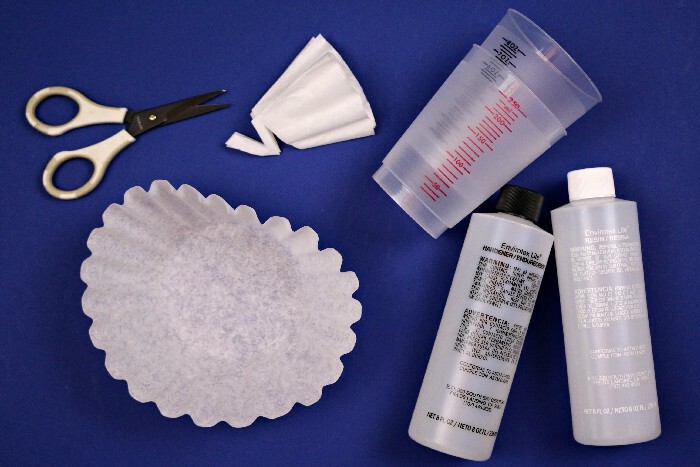 Fold the coffee filters into fourths, sixths, or eighths. 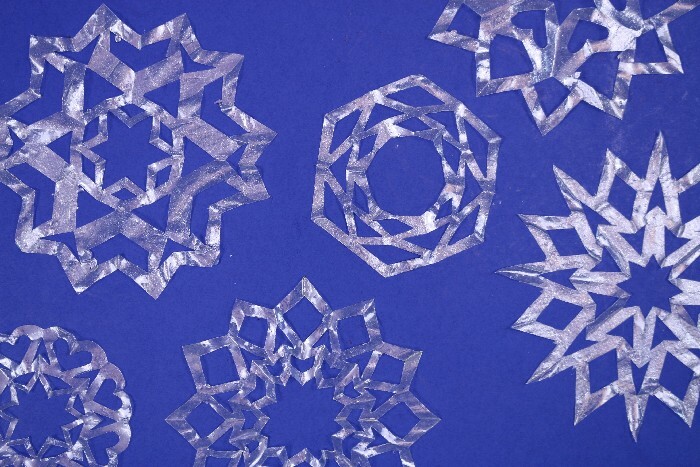 Then cut shapes out of the folded filters before unfolding them to reveal your finished snowflakes. The first few snowflakes you create will probably look a little janky until you remember how the process works. Don’t worry about it! Coffee filters are cheap, so make several. 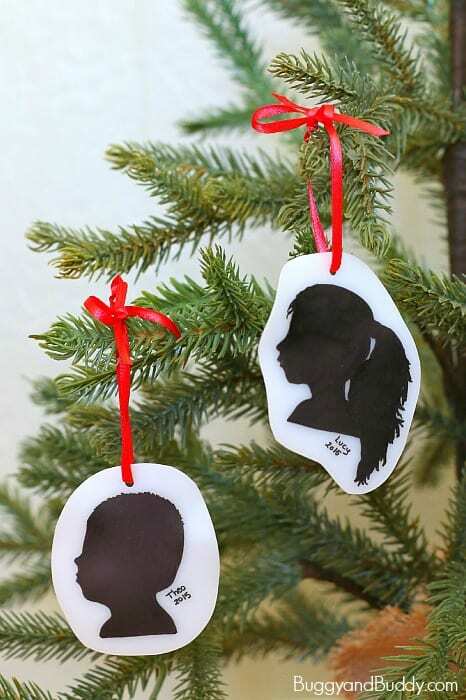 You can choose your favorite finished snowflakes to turn into translucent ornaments. Next, mix up a small amount of EnviroTex Lite resin. 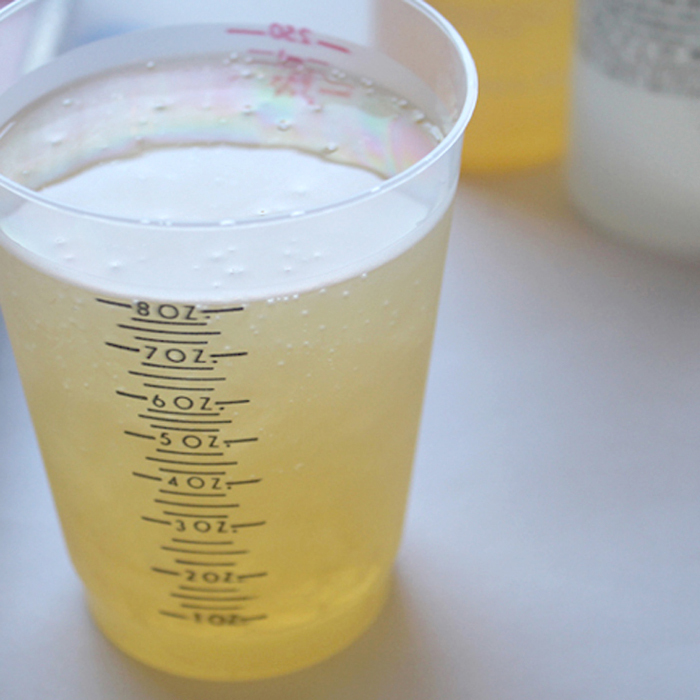 You will probably need less than an ounce of mixed resin total, so don’t mix up too much! Begin by putting on a pair of gloves to protect your hands. 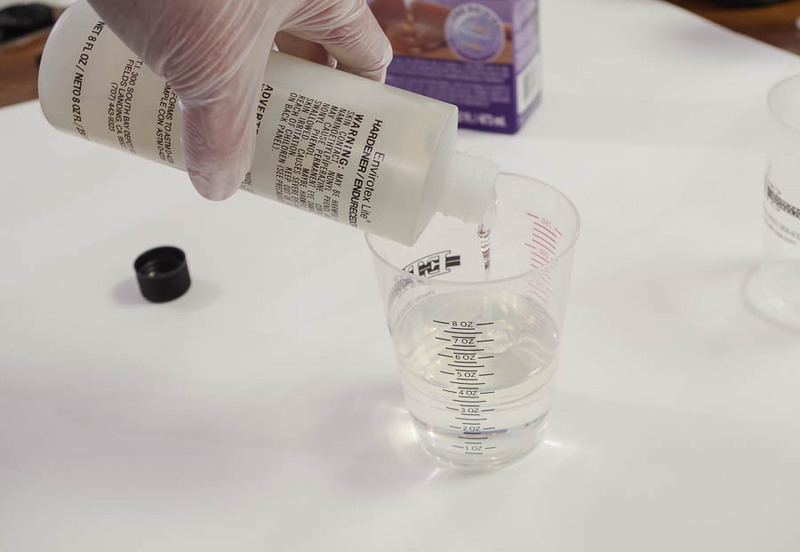 Remember to mix together equal parts of resin and hardener in one cup for two minutes, then transfer the mixture to another cup and stir for another minute. 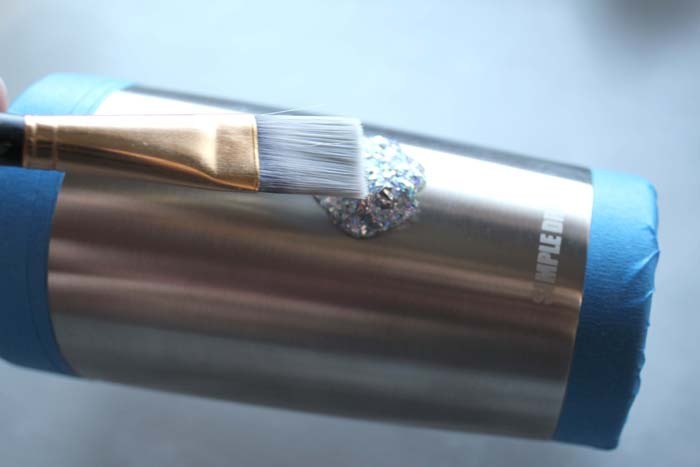 If you would like, you can add a tiny amount of pearl resin pigment to the mixture as well. Lay one snowflake on your first silicone mat. 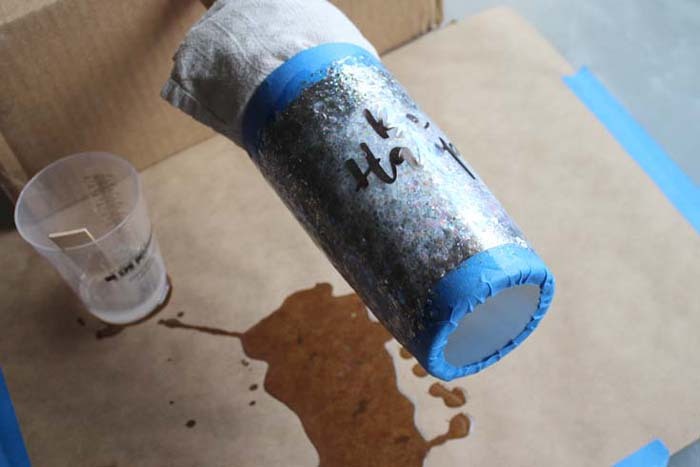 Paint the resin onto the coffee filter snowflake until it is fully covered. 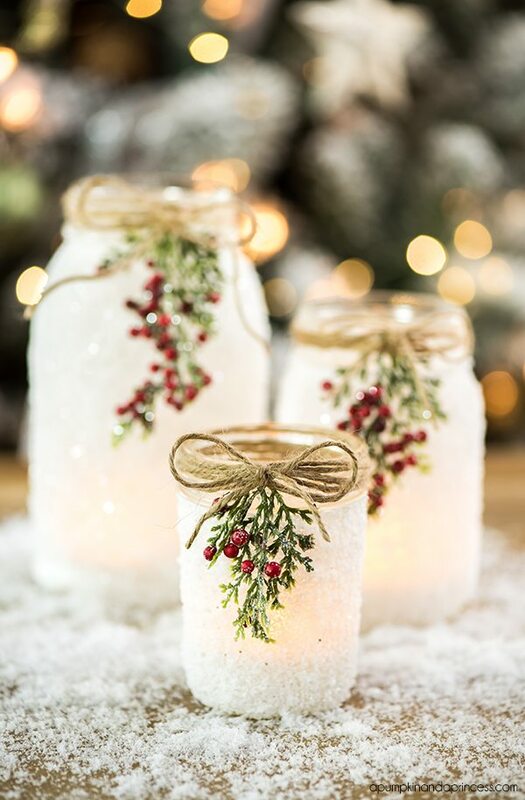 The snowflake will turn from white to clear wherever it has absorbed the resin. After you coat the snowflake, carefully move it to the second silicone mat to cure. Repeat this process for all of your snowflakes. 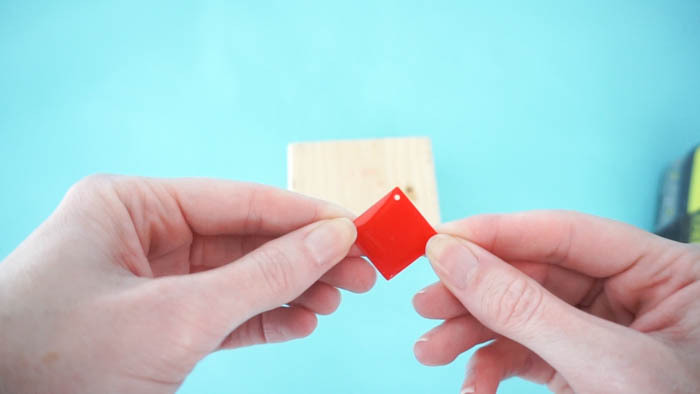 It is important to transfer the snowflakes from one silicone mat to the other so that the open spaces within the snowflakes do not fill up with resin. Once the snowflakes are on the second mat, LEAVE THEM ALONE until they fully cure. The uncured snowflakes are very thin and very sticky. 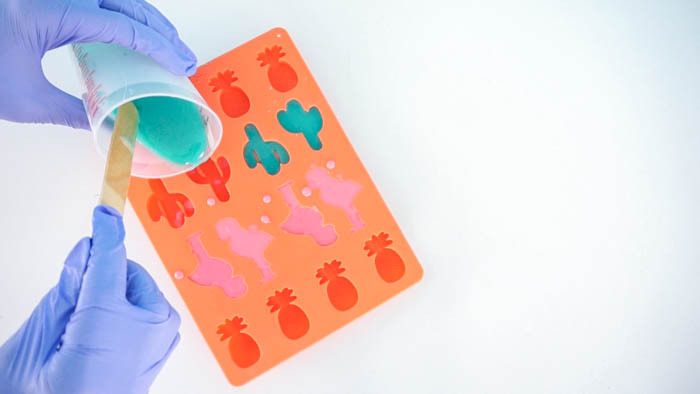 Once they are fully cured, you will be able to easily peel them off of the silicone mat. Do not try to mess with them before they are cured or you risk them ripping or doubling over on themselves. If you have removed the cured resin snowflakes from the mat, you can peel or scrape any residual resin off of the mats and discard it. 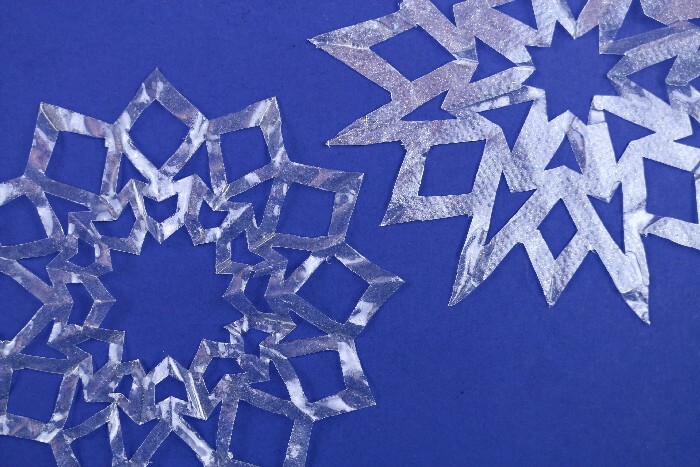 These crystal clear snowflakes look icy and delicate but are actually quite durable. 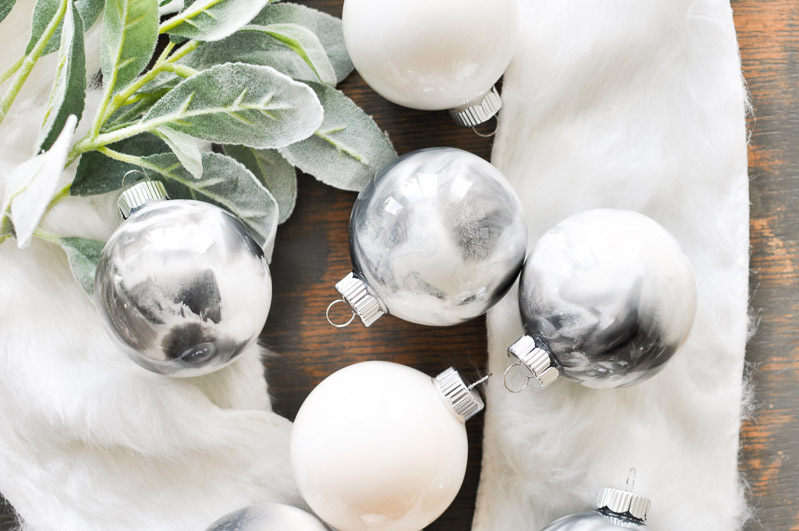 The resin-coated paper should last quite a while, so these are ornaments you can enjoy from year to year. I suggest using a bit of monofilament to hang the snowflakes to add to the illusion of transparency. 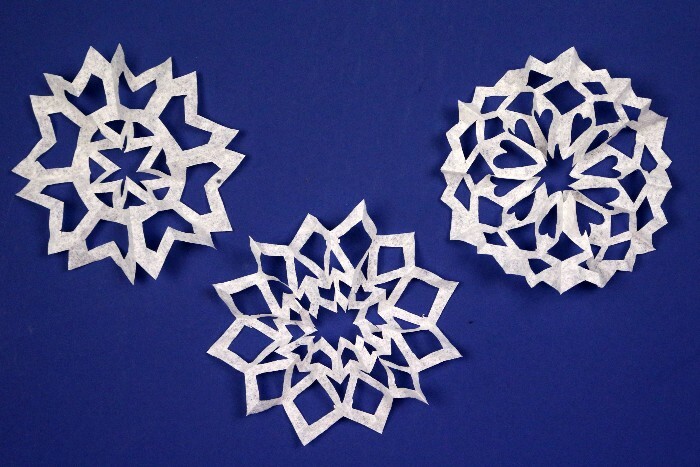 These snowflakes are so fun to make that you may find yourself making dozens of them. 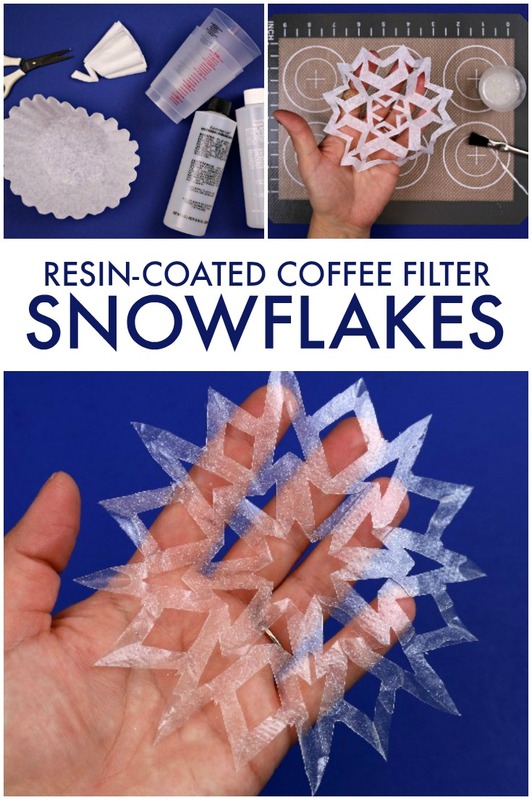 This is also a great way to preserve snowflakes that your children have created! I created a few snowflakes with the pearl pigment and a few without it. I made the snowflake on the left without the pigment, and the one on the right with the pigment. You can just barely see the extra sparkle that the pigment adds to that snowflake. 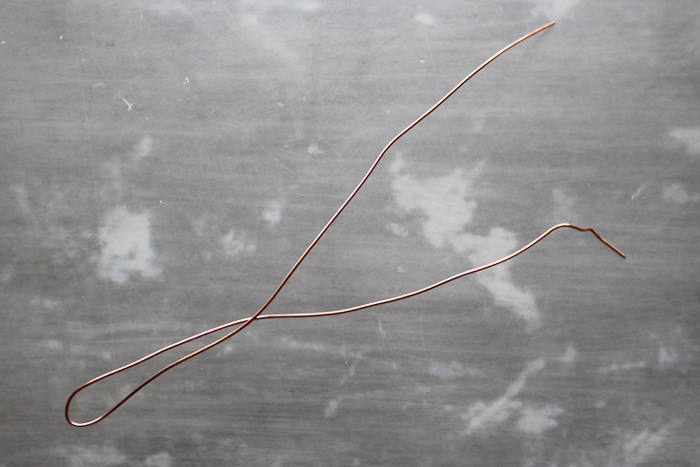 These copper tree Christmas ornaments will look great on your tree this holiday season. 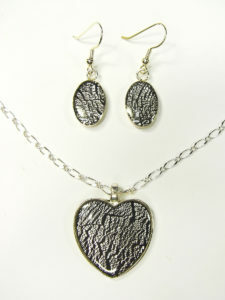 I love the metallic trend and the addition of silver flake to the resin in these really sets them off! I used a tree shape wood ornament but you can think of using this same technique on any wood ornaments that you are painting for your own tree. Don’t you love the copper? Change it up with the paint color of your choice. 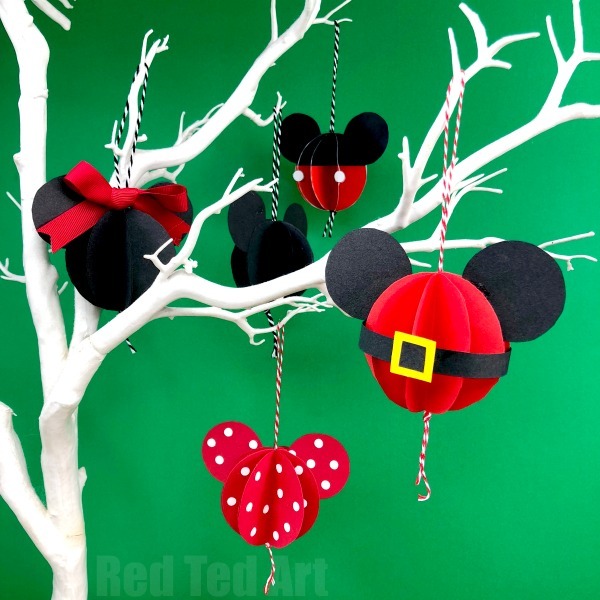 These should be customized to fit any theme you are going with on your Christmas tree this year. 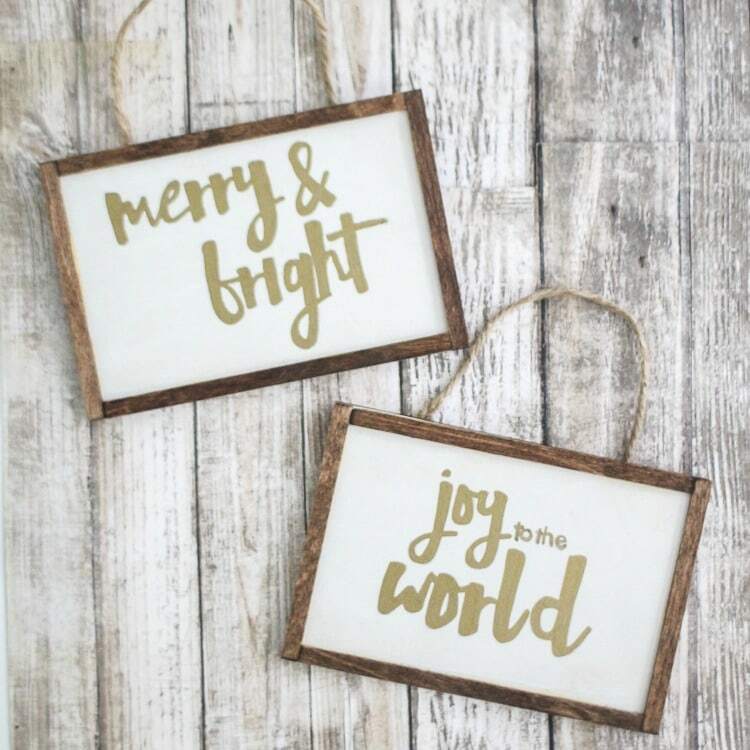 Start by painting the wood ornaments with the color paint of your choice. Paint all sides to give them a finished appearance. Allow to dry completely before continuing. 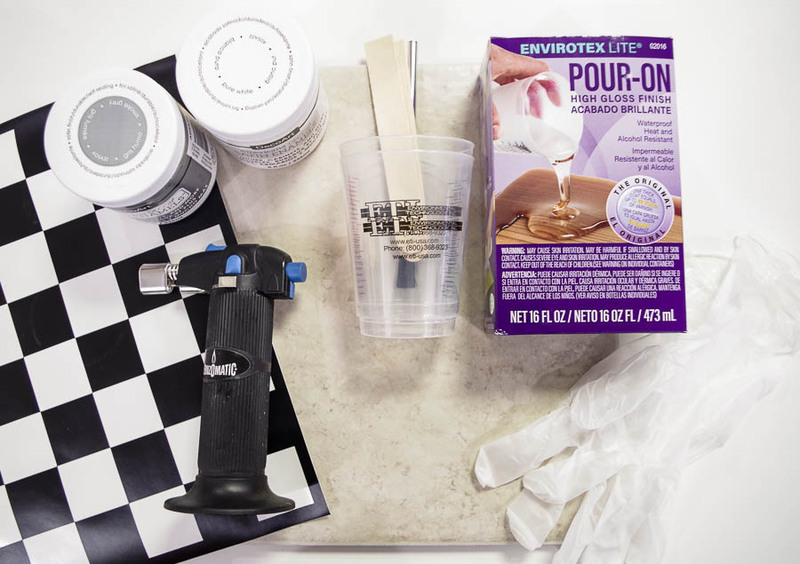 Then measure and mix your EnviroTex Lite Pour On High Gloss Finish according to the package directions. Be sure to wear protective gloves and follow all mixing procedures that are included in the package. 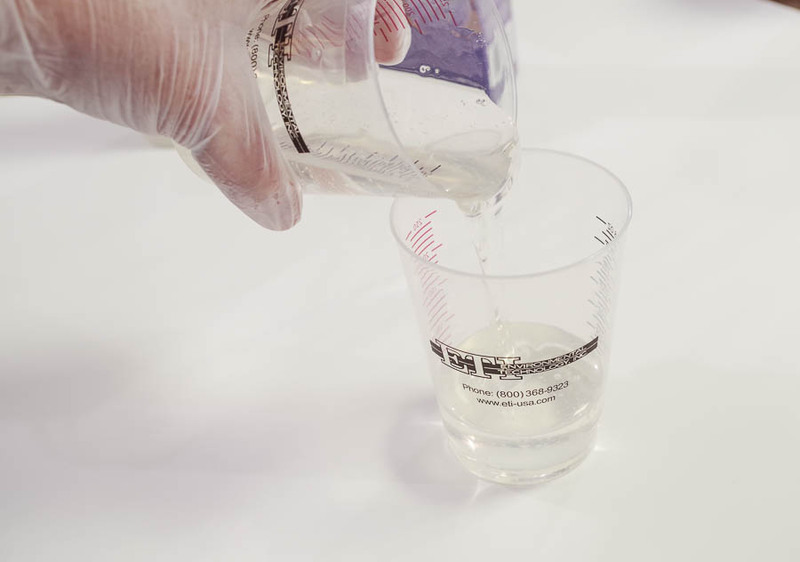 This includes a 2 cup mixing procedure that should be adhered to for all resin projects. 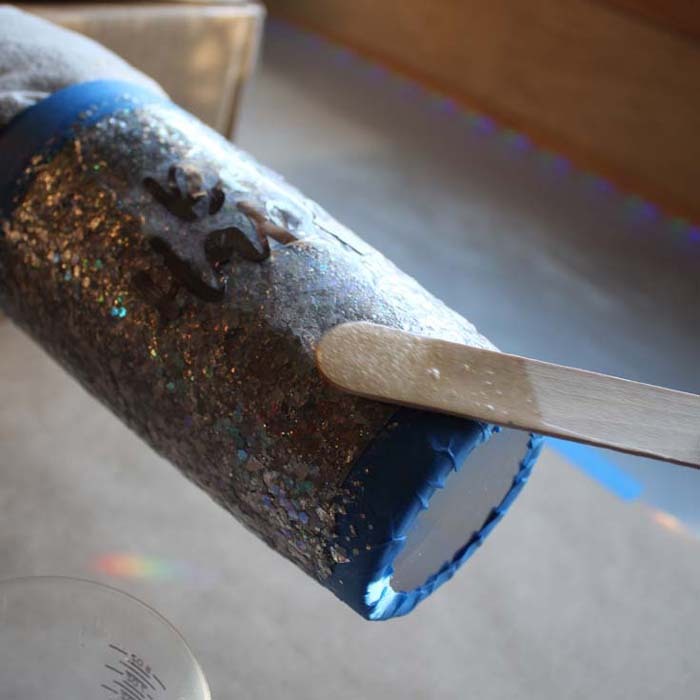 Then pour a thin coat of the mixed resin into your wood ornament as shown below. You can use your stir stick to push the resin into the corners. 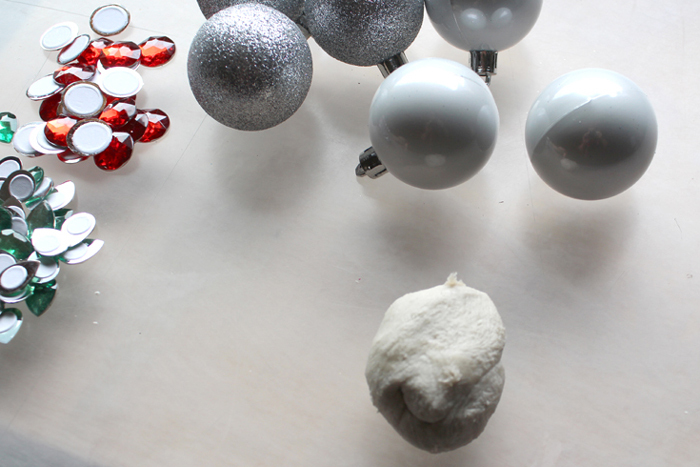 Sprinkle on silver flakes immediately. You can use as much or as little as you would like. Then pour on the additional resin to cover the flakes. 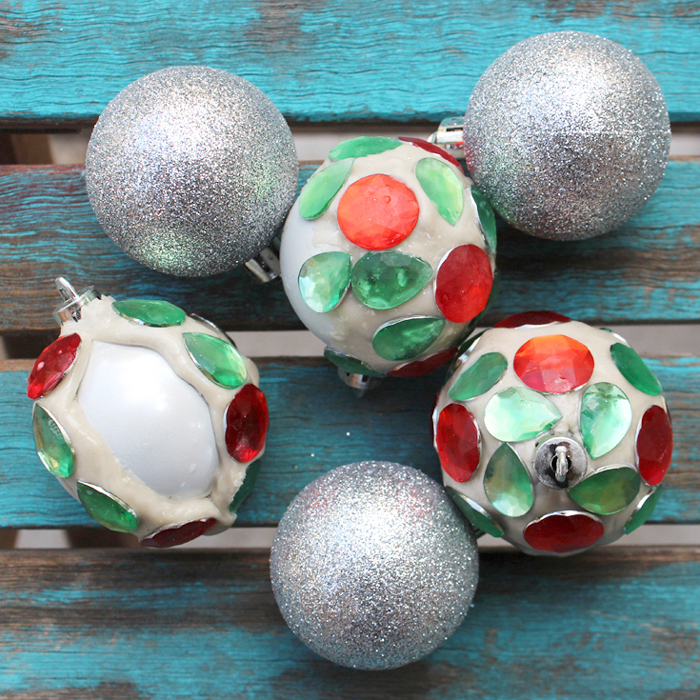 Just be sure that your resin does not pour over the lip on the ornament. Allow your copper tree Christmas ornaments to cure overnight and then they are ready for you to hang on your Christmas tree. I love the details of the metallic flakes set in resin! 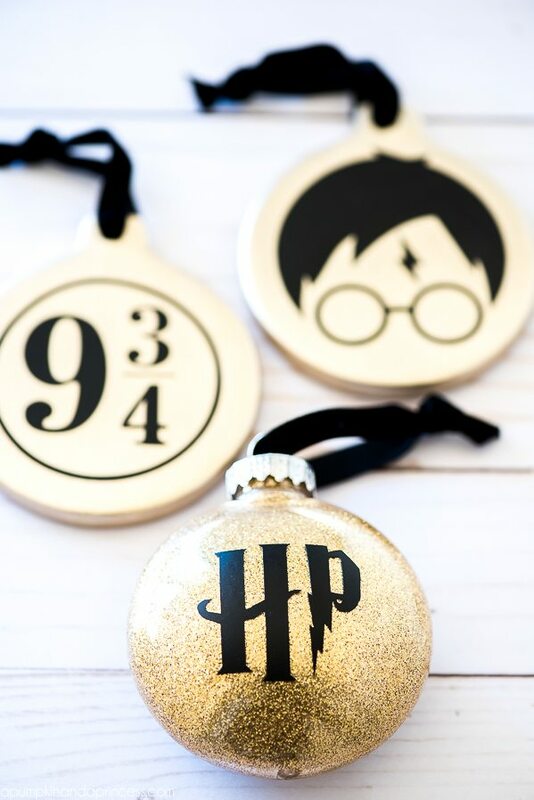 I can’t wait to put these on my tree with the twinkling lights. They will be spectacular! 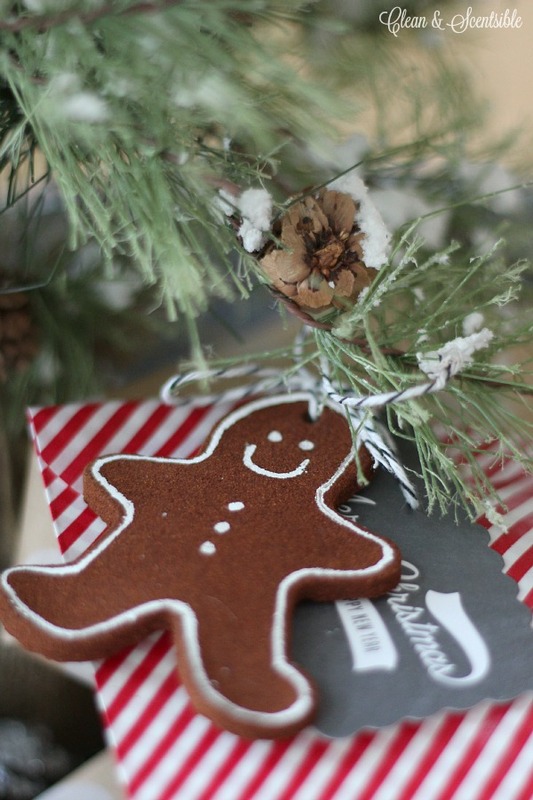 Will you be adding some copper to your tree this year? 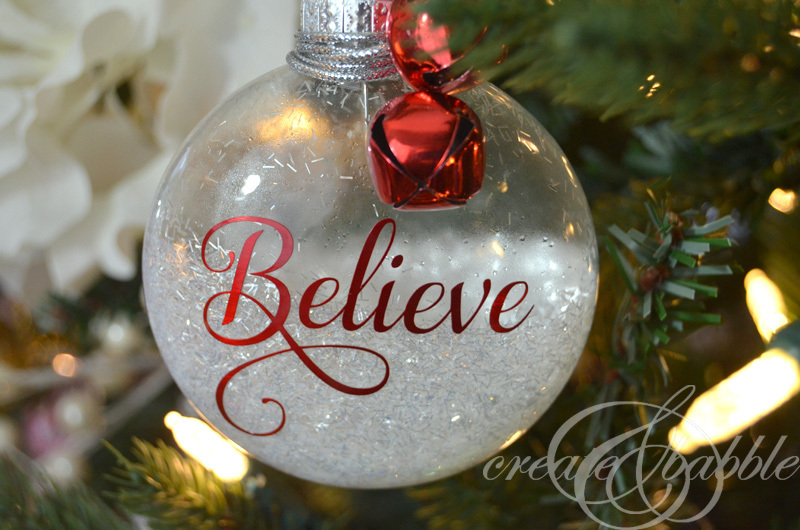 Then be sure to make these copper tree Christmas ornaments as they are sure to look great on your tree! 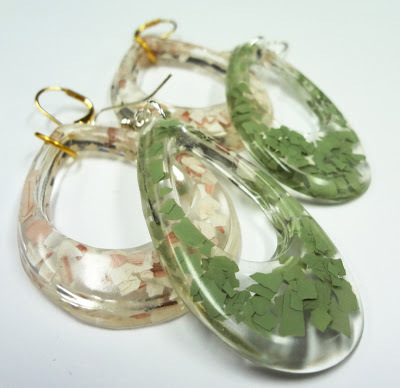 If there’s one thing that we are experts in here at Resin Crafts Blog, it’s how to create beautiful things from Resin! 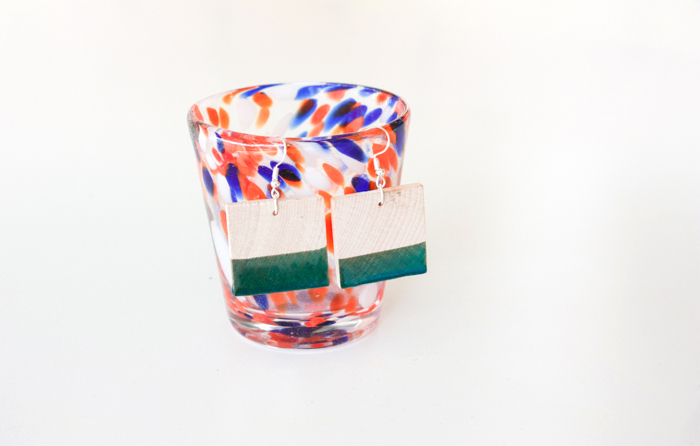 One of the best things to create, whether it be for yourself or to give as a gift, are DIY Resin Earrings. 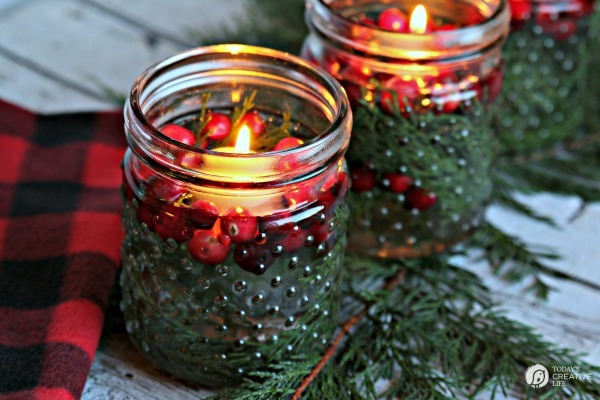 You can create just about anything that suits your fancy and it allows you to be super creative. 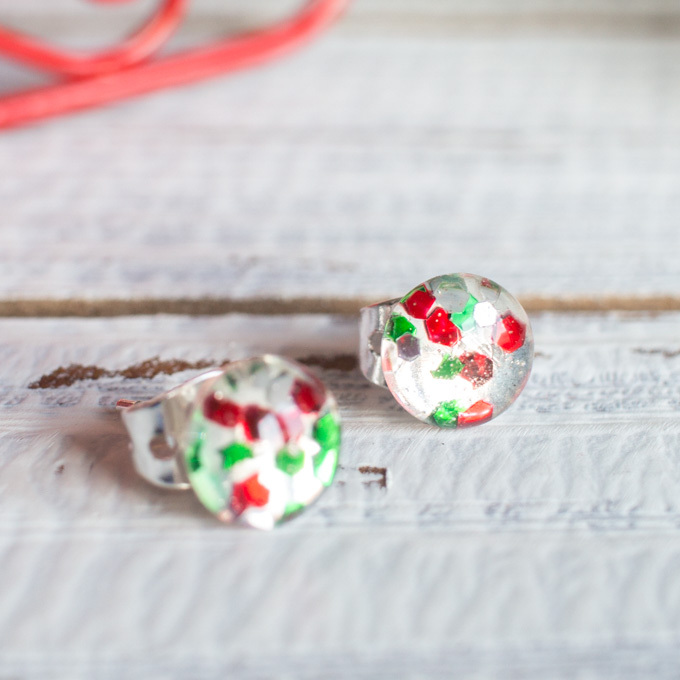 To help get you inspired, we’re sharing our favorite DIY Resin Earring projects. Hey Resin Crafters, it’s Natalie from Doodlecraft. 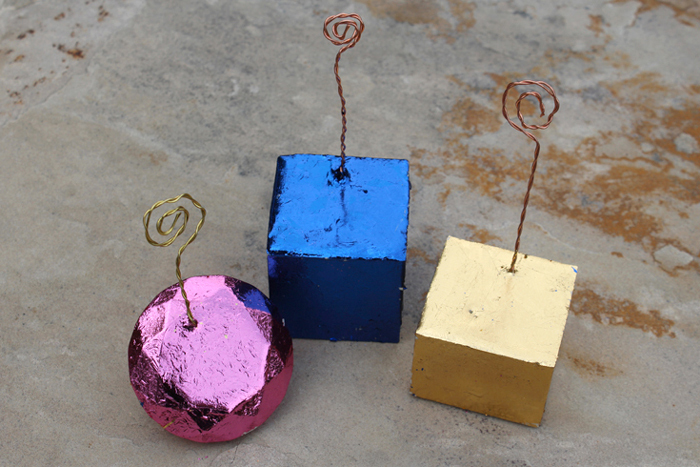 This DIY craft makes the perfect metallic placecard holders for the upcoming holidays for parties and table settings. 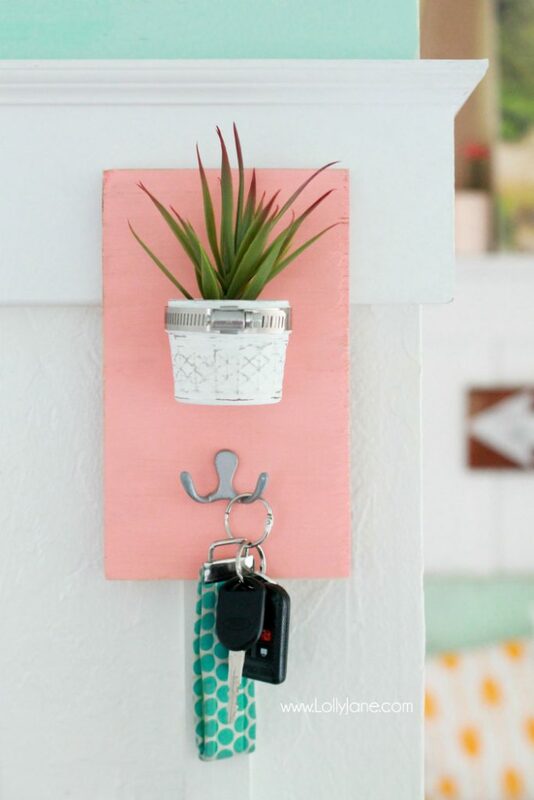 These are also great for photo holders and great handmade gifts. By using FastCast resin this uniquely creative project takes less than 30 minutes. 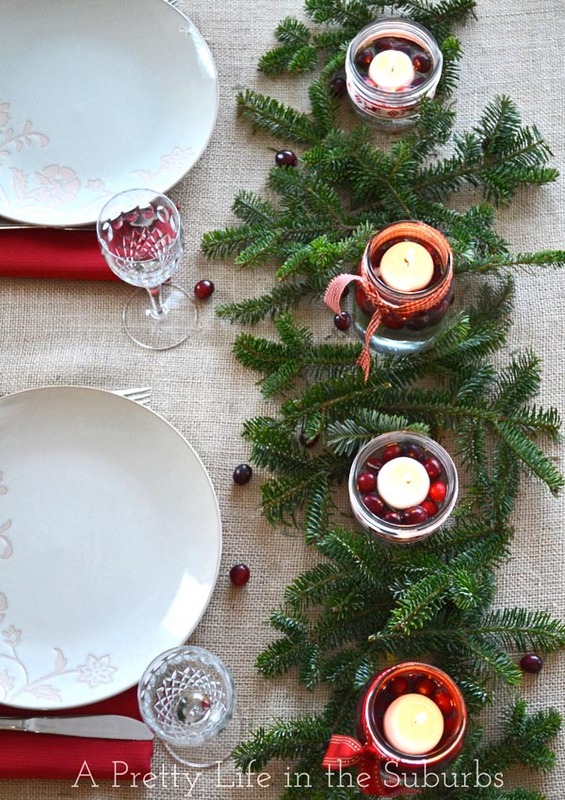 The variety of metallic tones is especially great for Autumn and Winter table settings or home decor. Start with 12 inches of wire. 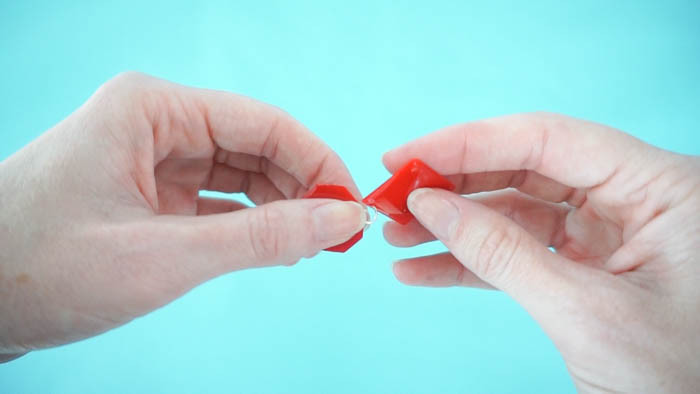 Fold in half to form a loop, then twist the wire around itself to the end.Then twist the top of the wire around in a circle at least 3 times. Next it’s time for FastCast, read the instructions carefully. FastCast sets in 15 minutes or less, so there is not much working time. Mix according to package directions in the 1 to 1 ratio, mixing in 2 phases.Before the FastCast starts to change colors, insert the wire loops into the resin and hold in place while it dries completely. Now that the resin is cast, it’s time to personalize it. 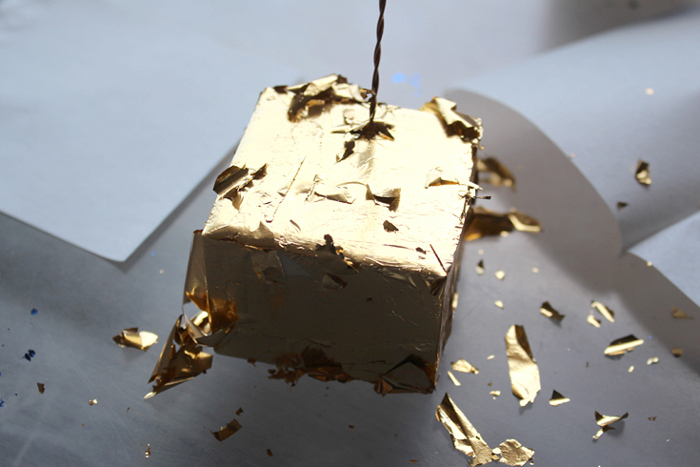 Use sheets of metallic gilding and adhesive or just metallic paint.Cover the surface of the resin with gilding adhesive, then wait for the adhesive to dry to a tacky stage.Then add pieces of metallic leaf to the adhesive.Cover as much of the object with the metallic leaf as desired. 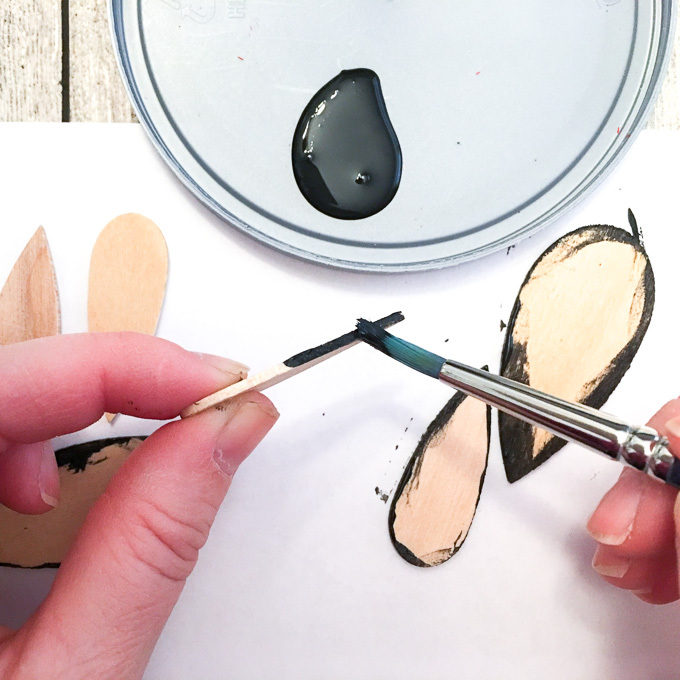 Or simply paint with acrylic craft paint and a paintbrush.That’s it! They are ready to use for a holiday place setting or as a photo holder gift.Make a holiday tablescape a little more special with metallic place-card holders!Don’t forget to share or save for later! 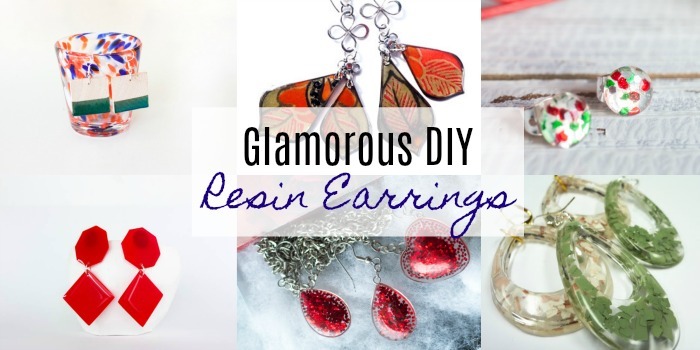 Create beautiful DIY resin statement earrings that are simple to customize in different shapes and colors! Hey Resin Crafters! Amber Oliver here with another great resin craft. 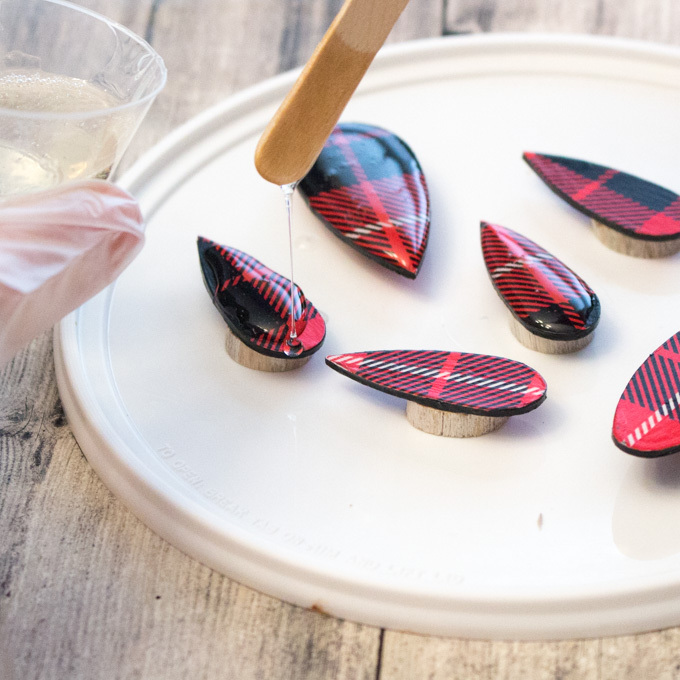 My very first resin craft was my resin dipped earrings, and I feel like I’ve come full circle with this project! 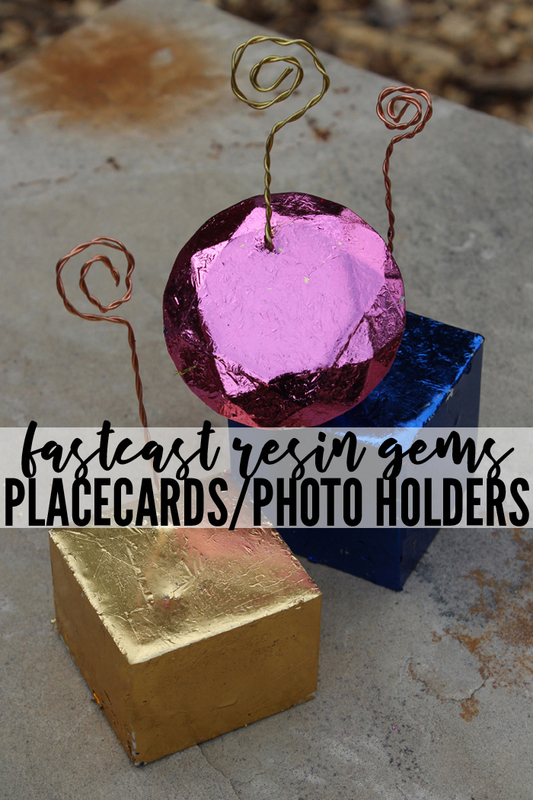 When I first started working with resin I was really nervous because there seemed to be so many instructions and I was afraid I was going to forget something and mess the whole project up. 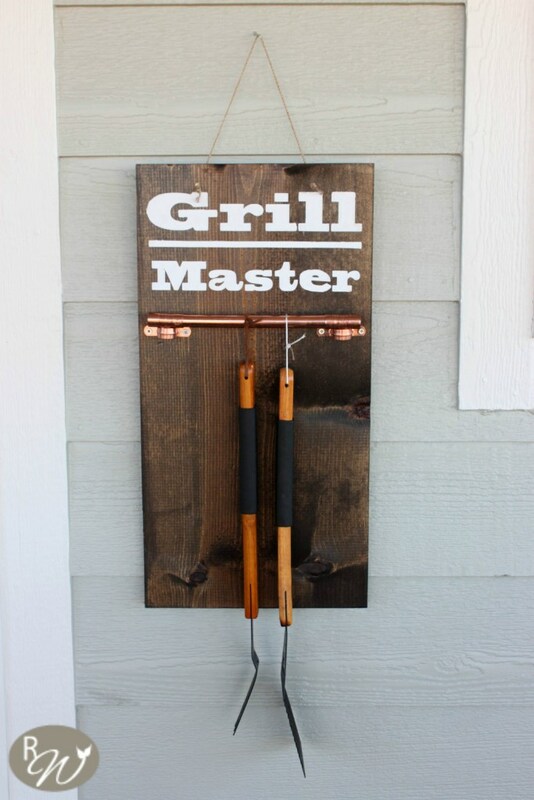 After just a few projects, I feel like I’m a pro! Working with resin is actually pretty simple once you get the hang of it and WOW are the possibilities endless as far as what you can CREATE! 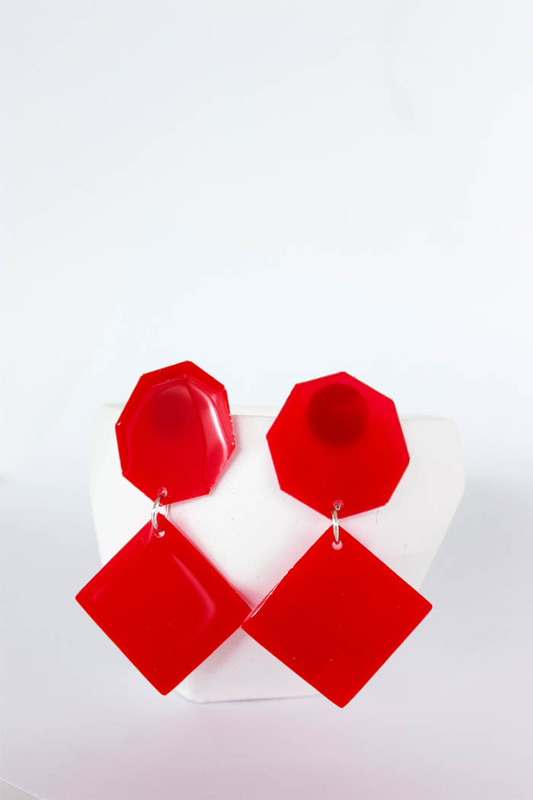 These DIY statement earrings took minutes to make and are so easy to customize. 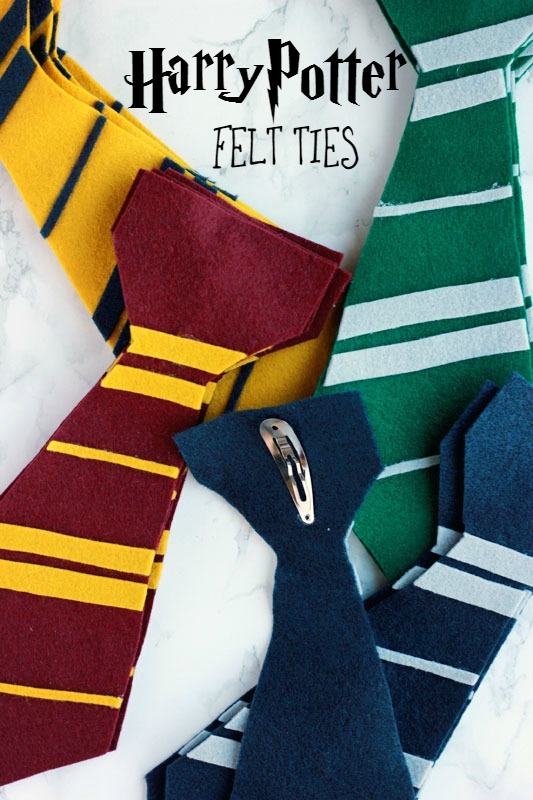 Make a pair in every color! 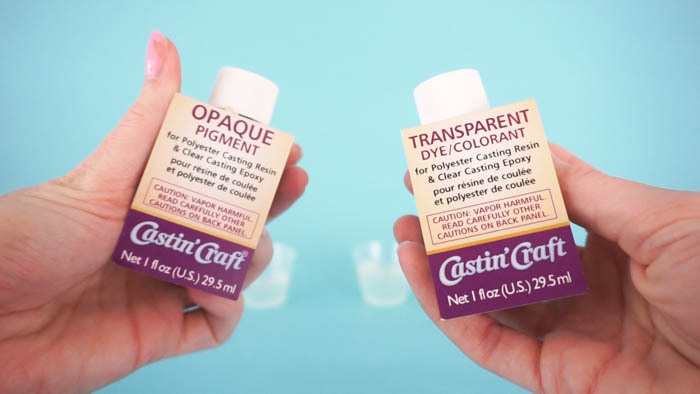 Step 2: After your mixture is ready, pour into two smaller cups and stir in a few drops of Castin’Craft Opaque Pigment so you’ll have earrings in the color of your choice! I tried both the translucent and opaque pigments and like the opaque one better! Step 3: Now it’s time to pour into your molds. 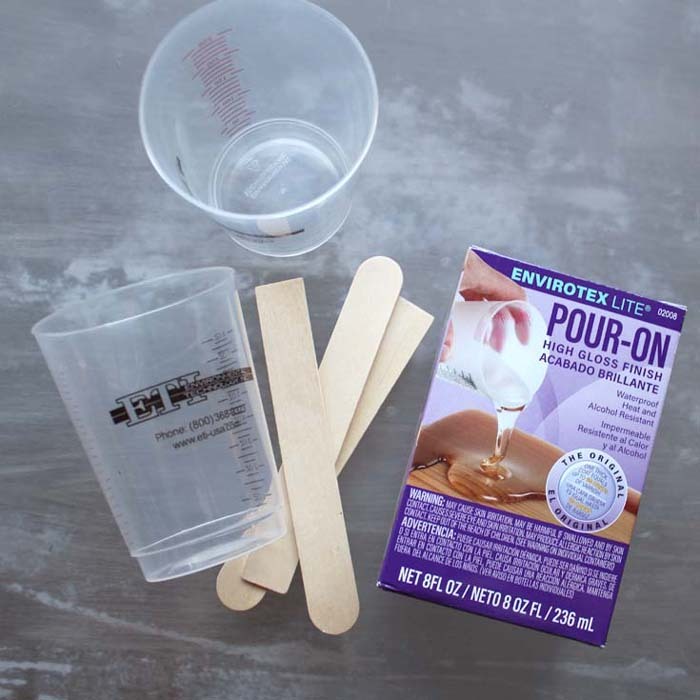 Pour slowly and only a small amount so your earrings aren’t too thick! Step 4: After you’ve allowed enough time for the resin to cure, you can remove from the molds. 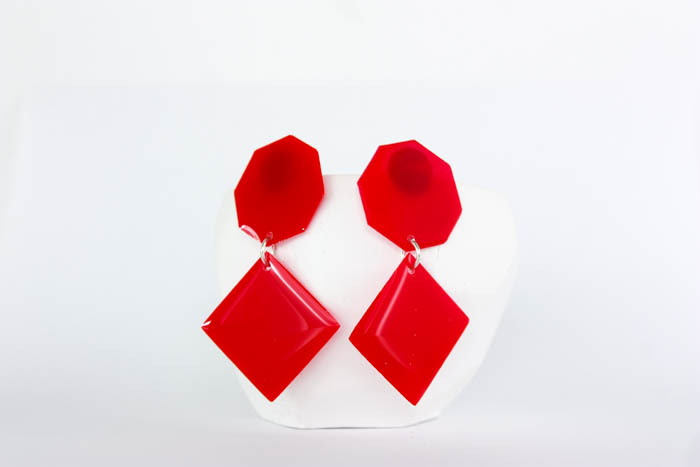 Step 5: For the dangling statement earrings: drill a small hole in the bottom of the top piece and in the top of the bottom piece. Step 7: Lastly, glue earring posts onto the top piece! 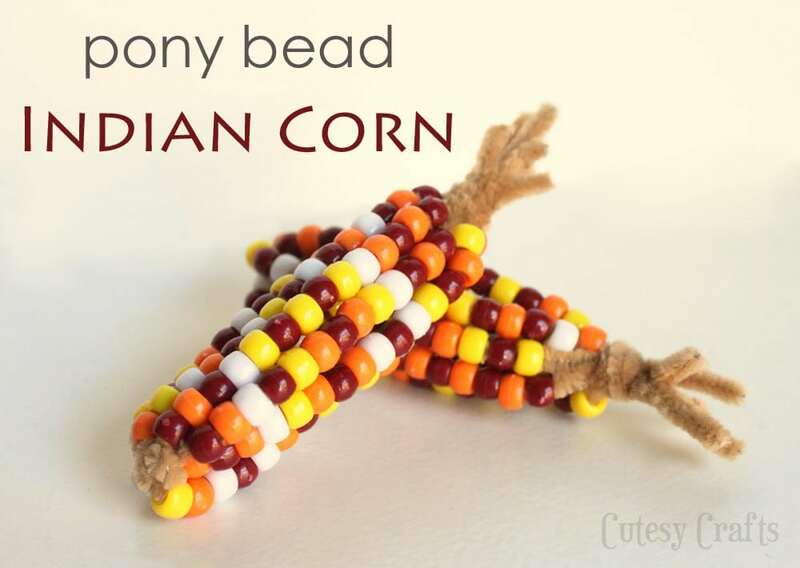 We here at Resin Crafts Blog love Thanksgiving. 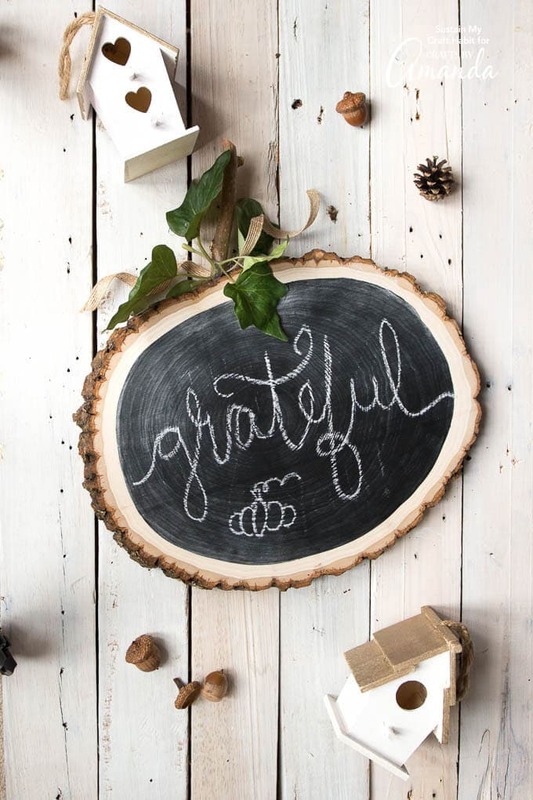 It’s a great holiday to get the family together, enjoy each other’s company and think about all that we’re thankful for. 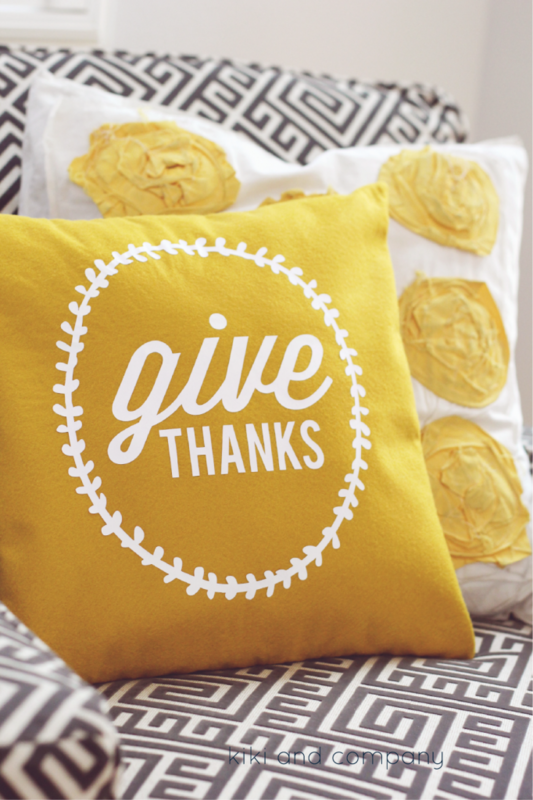 One of the things we’re thankful for is of course, crafts! 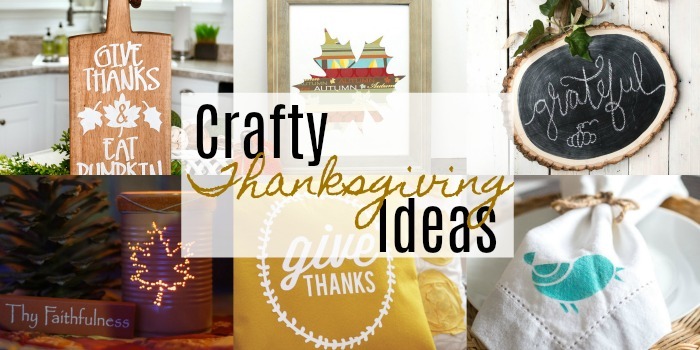 So this Thanksgiving we’re going to get our craft on and we hope you join us. 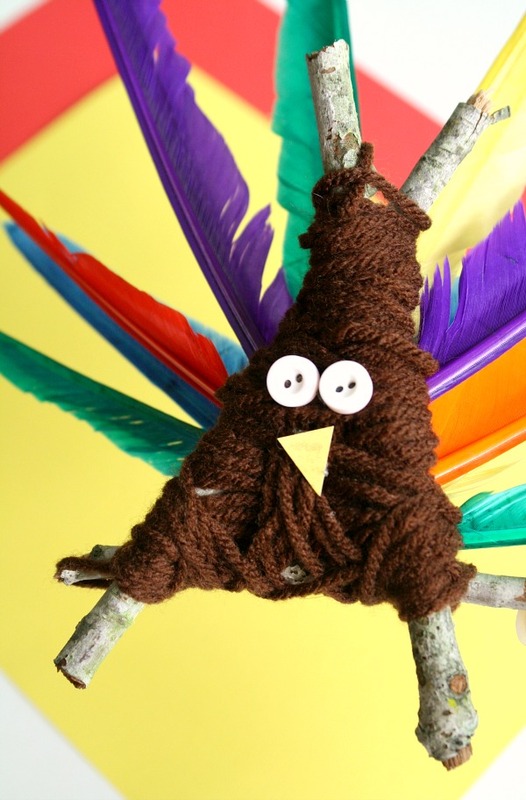 We’ve rounded up some amazing Thanksgiving Crafts for both kids and adults that you’re going to want to try this year. Hello resin crafters! 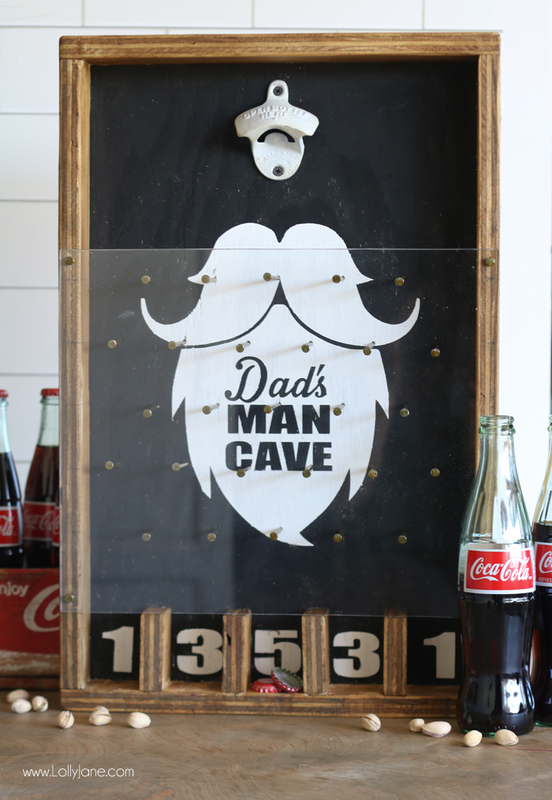 Today I am excited to share this fun upcycle project with you. 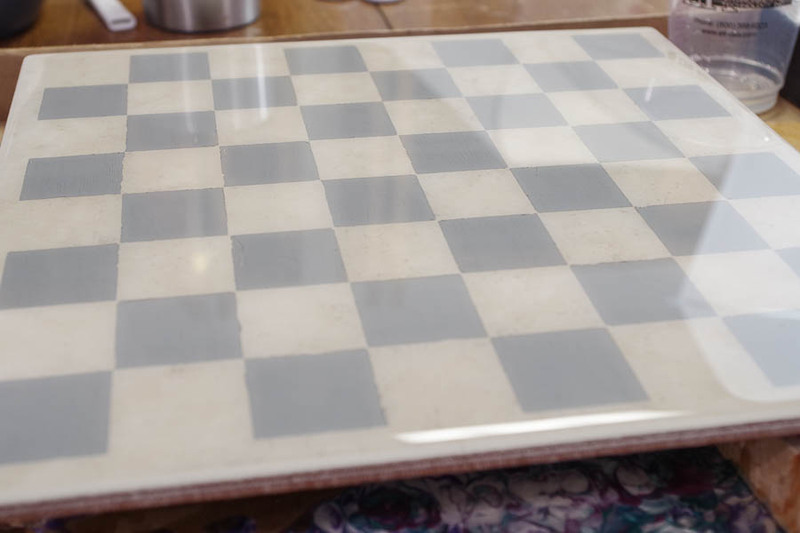 In our home we have a nice glass chess set but I am constantly worried about my kids breaking it (because, let’s be real, they are the reason I can’t have nice things.) 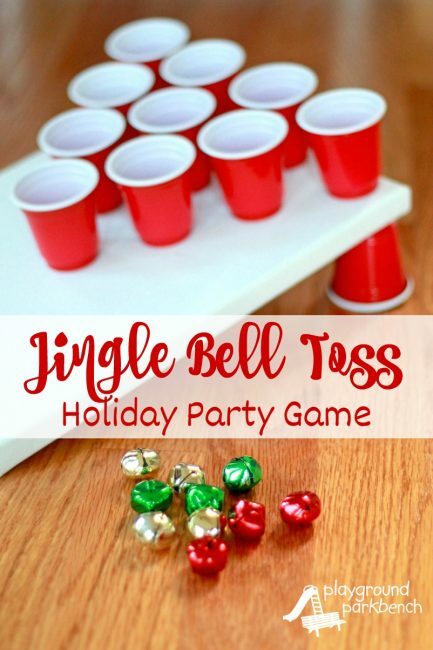 To fix this problem I wanted to create a new one that they could play on that would be much more sturdy and they could take it to play anywhere in the house. 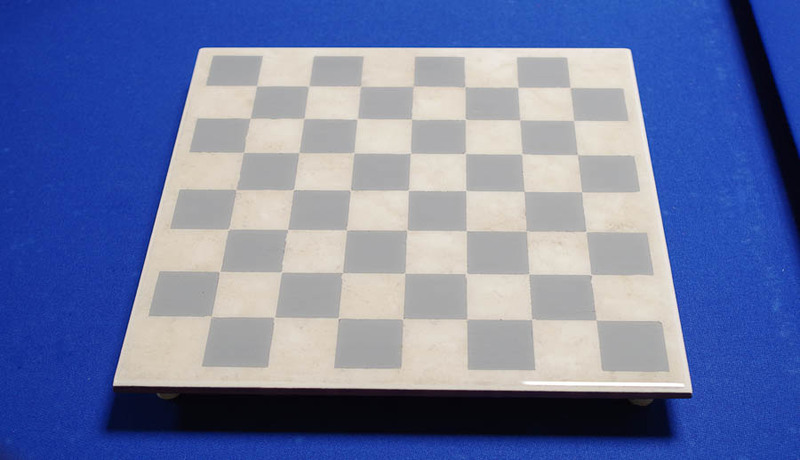 We have an excess supply of tile from when our bathroom was tiled and it occurred to me the other day that it would be the perfect size to make a chess board! 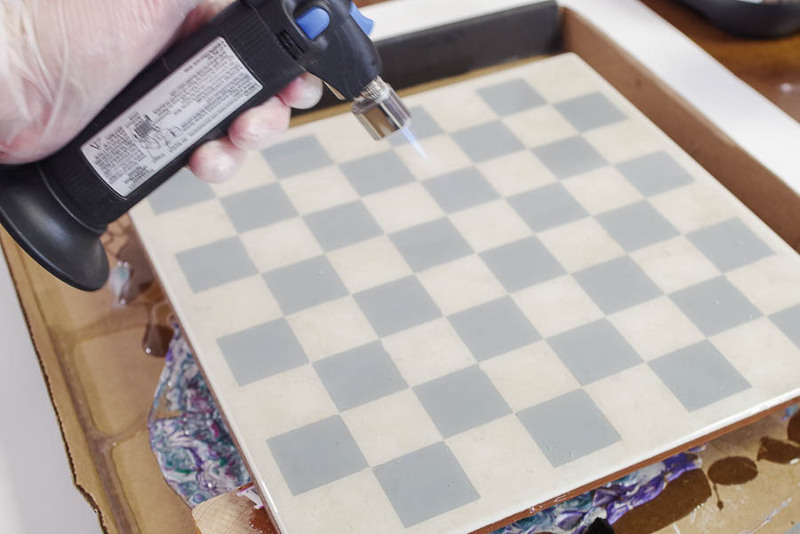 Place your stencil onto your tile and paint it with your chosen paint. I went with a gray paint that matched my tile. 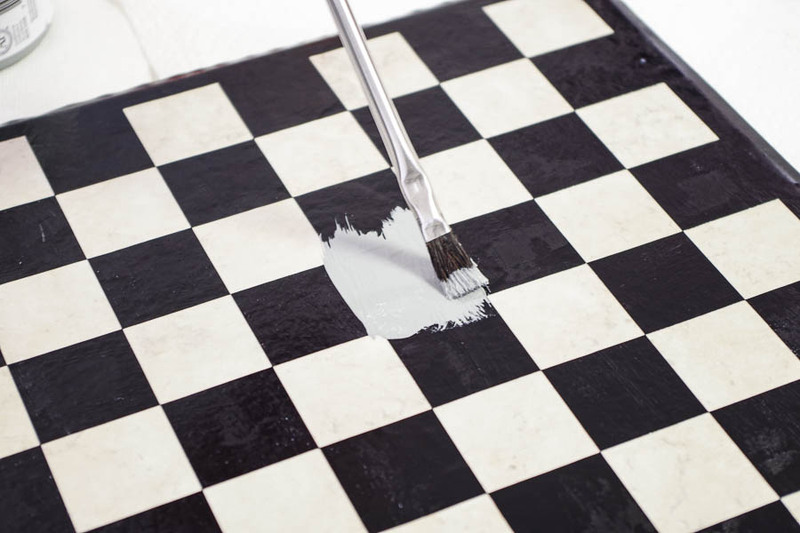 Peel your stencil away from the tile once the paint is dry. 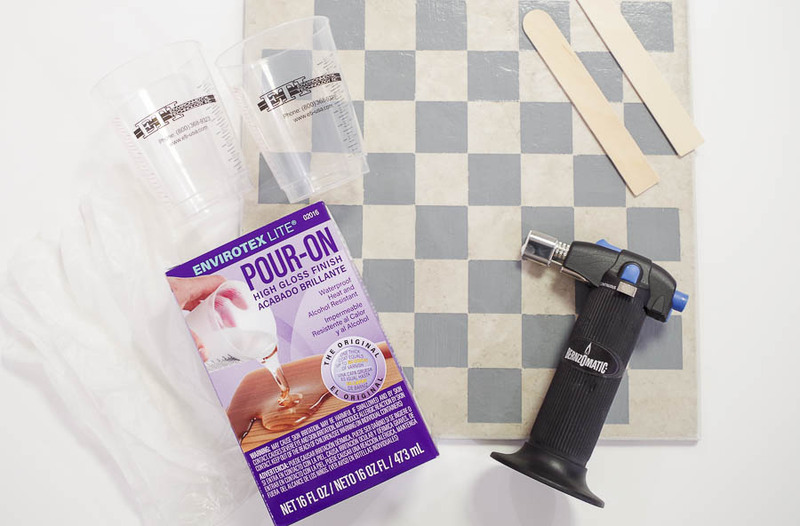 Gather your supplies for the resin portion of the project. You want to have everything close at hand. Put on your gloves and begin with the Envirotex Lite mixing. Pour 3 oz. of Part A into a disposable measuring cup. Pour the same amount, 3 oz., of Part B into the cup. 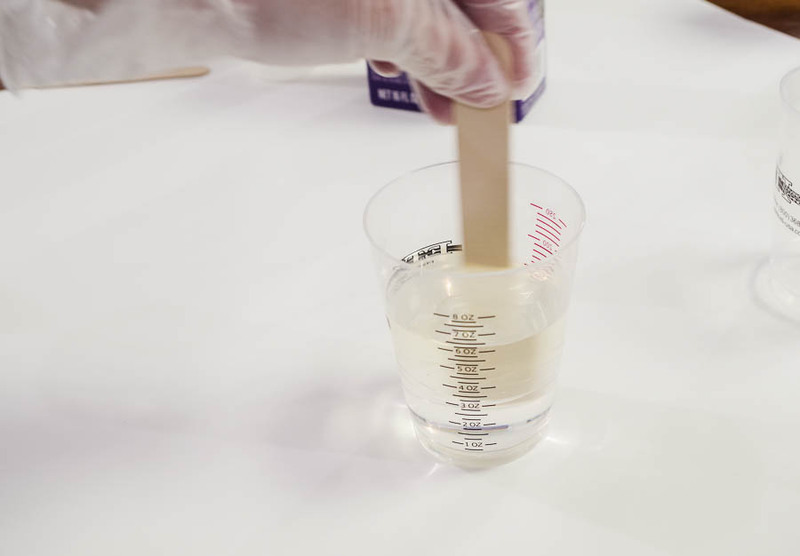 Mix thoroughly with a wooden mixing stick. Stir until the mixture is clear, not cloudy. Pour the mixture into the second cup and mix again. 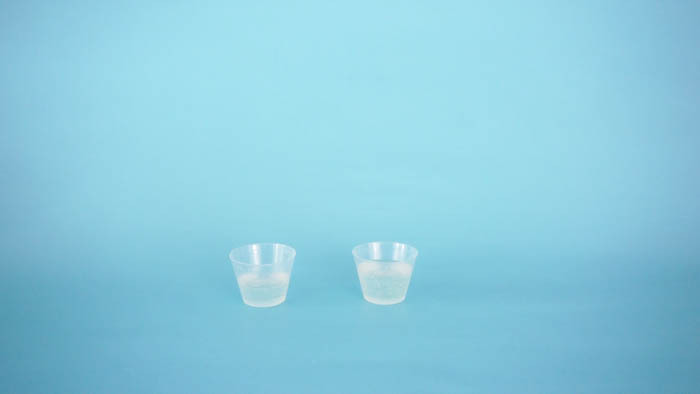 This is called the two-cup method and is important to ensure that the entire amount is completely mixed. 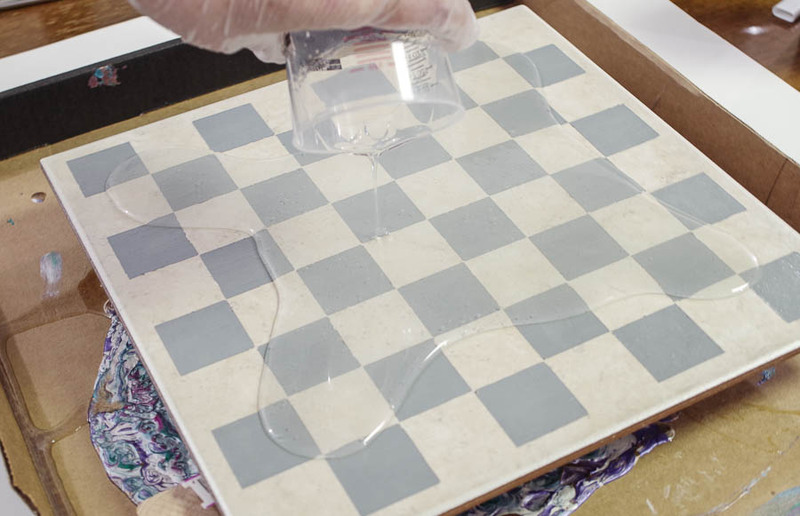 Place your tile over an old cardboard box or some other disposable work surface that will catch any excess resin. As you can see, I’ve used my box for a couple resin pour projects so it has colorful resin in the bottom of it. 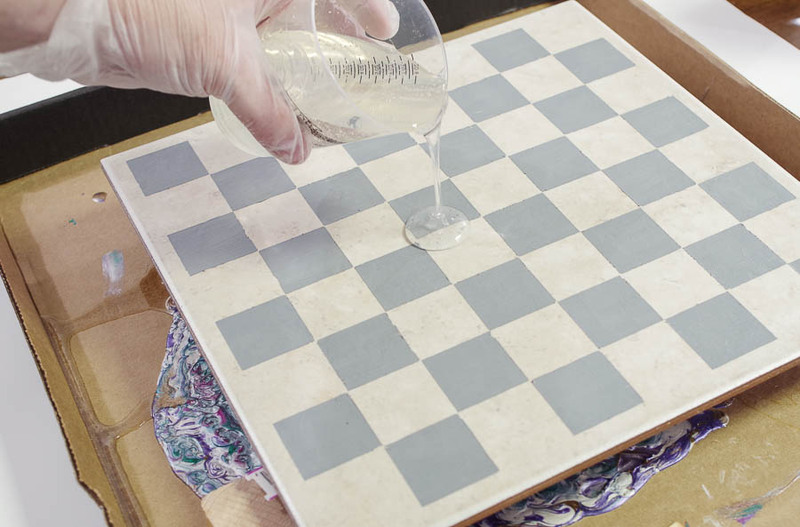 Pour the resin onto the painted tile. I like to be sure to pour some toward the corners to make it easy to cover the entire tile. You may need to tip the tile slightly to get it to the edges. Make sure you completely coat the entire tile, like so. Use your micro-butane torch to pop all the bubbles. Quickly run it over the surface but be sure not to leave it for long because it can burn the resin. Now that all the bubbles are gone, it’s a beautiful glass-like surface! Make sure it is in a warm and dust-free area and let it cure for 24 hours. 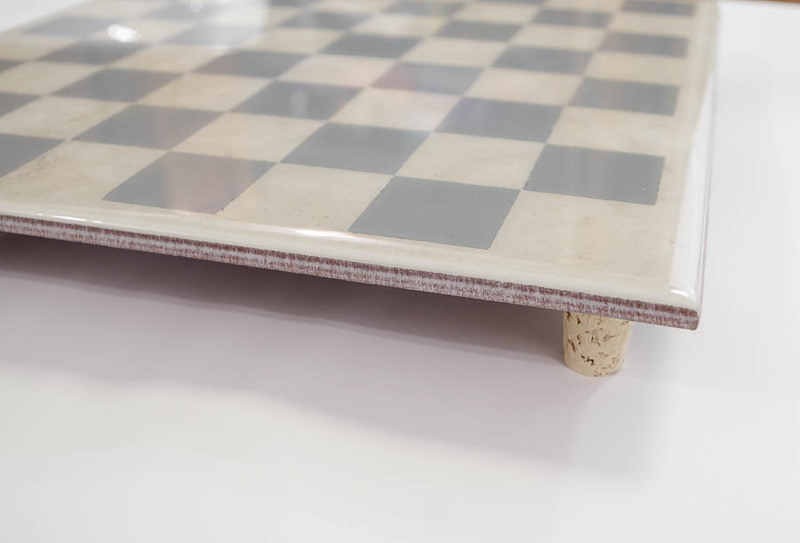 Super glue cork stoppers to the bottom so that it raises to tile off of a table surface making it easier to play anywhere but also preventing scratching any table. And there you have it! 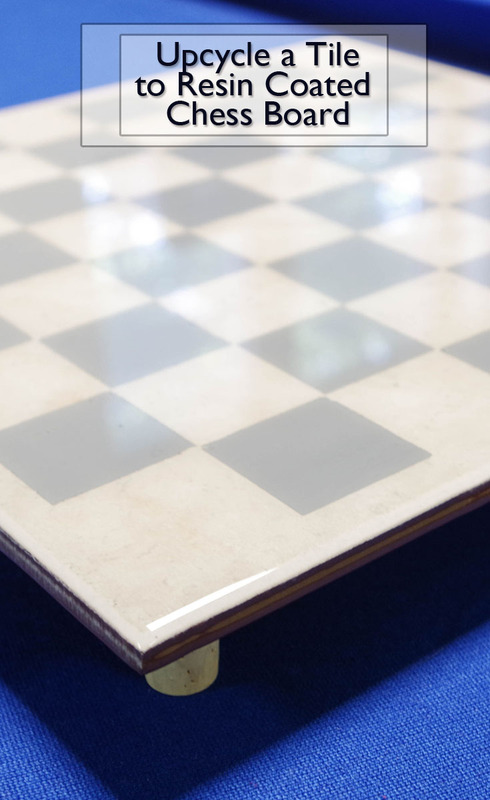 A beautiful, shiny, glass-like chess board that can be moved and played anywhere. See how perfect and shiny that surface is? I just love it. 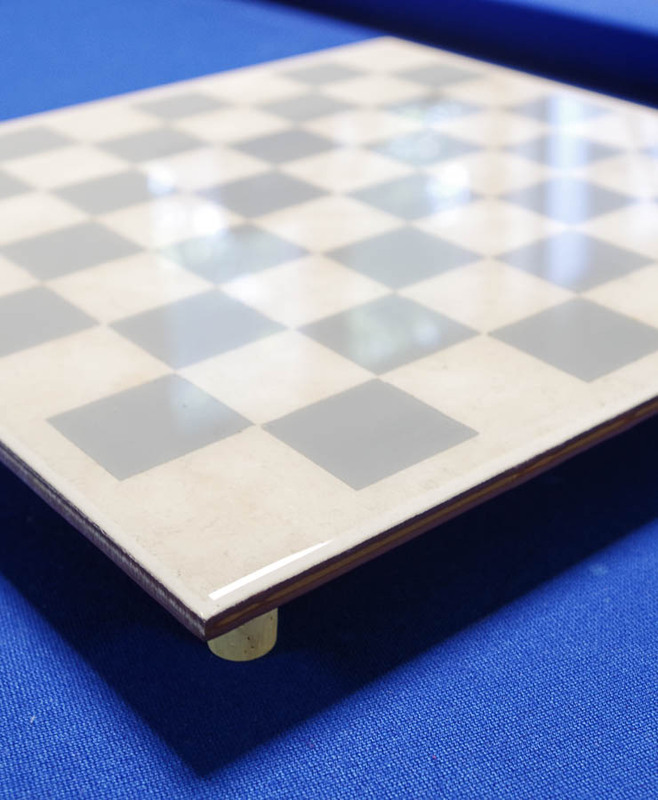 Place it on your game table and get ready for an epic chess battle. Just as soon as you create the pieces…I’ll have the full tutorial for duplicating chess pieces next month to add to this board! What colors would you use for each player? Let me know in the comments! I hope you like this tutorial! Let me know in the comments if you have any questions or ideas for the color of the pieces. 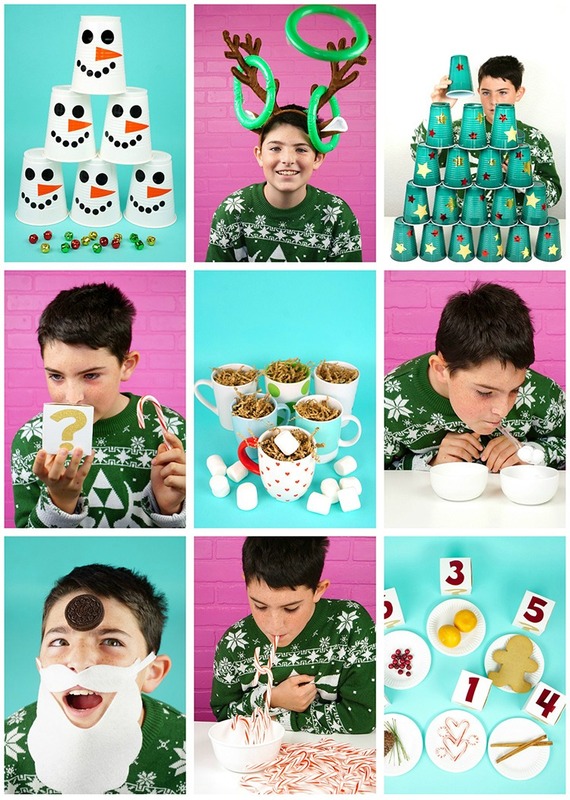 We can’t be the only ones who are mind blown with the idea that the holidays are right around the corner. If you’re one of the brave souls that hosts the family at your humble abode to celebrate, then you’re definitely going to appreciate today’s roundup. 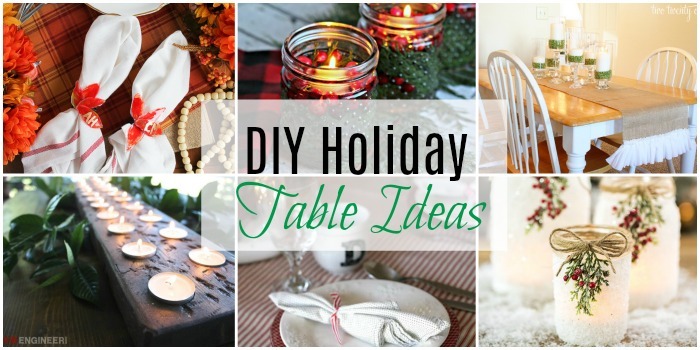 We’re rounding up the absolute best options for DIY Holiday Table Ideas so you can DIY your way to an amazing holiday! Your family is sure to be impressed. 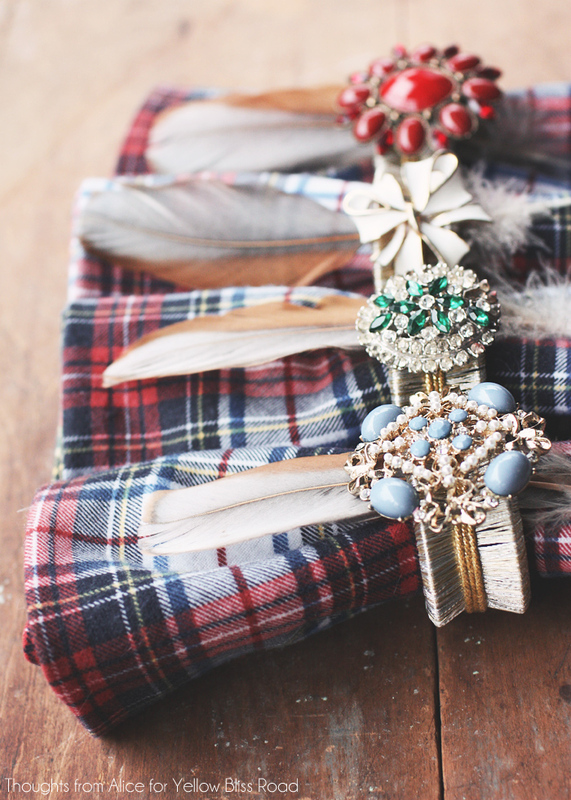 Hey friends, it’s Natalie from Doodlecraft sharing a great necklace DIY. 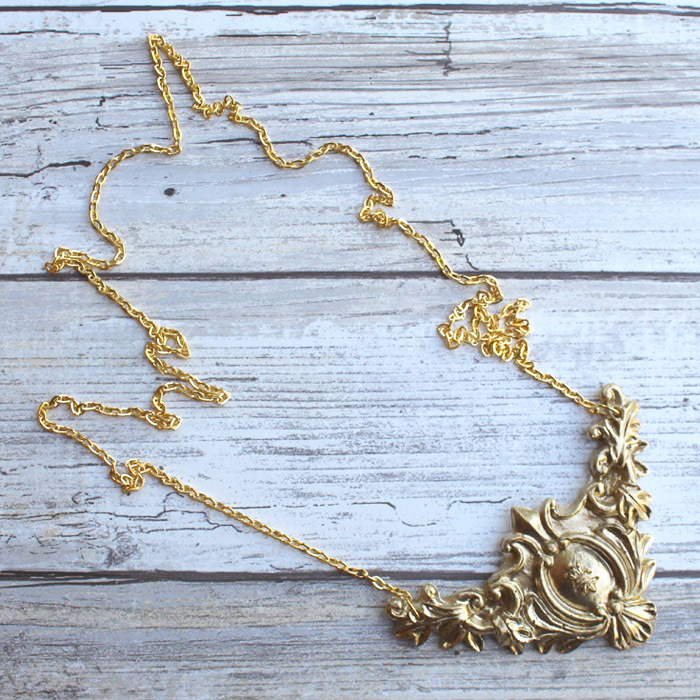 This Victorian style necklace is great for themed parties, Halloween costumes, Stage play prop, or just for a dress up box. 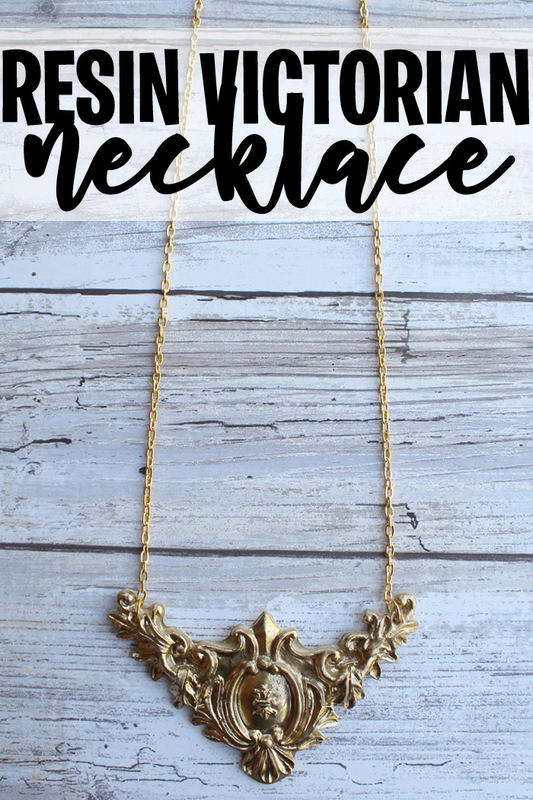 The best part about this necklace is that it takes 30 minutes to make! (plus paint drying time). Let’s get started! 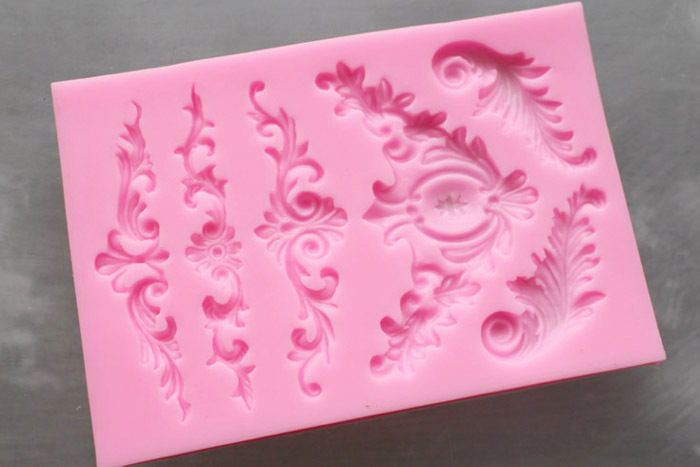 Silicone molds are easy to find online. 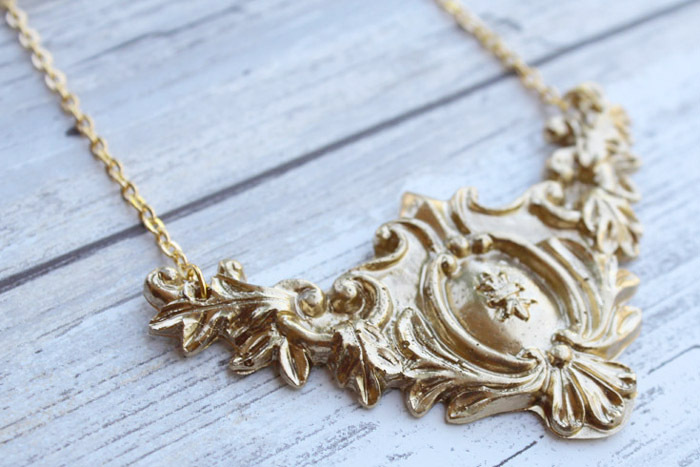 This one is the perfect shape for an easy necklace. 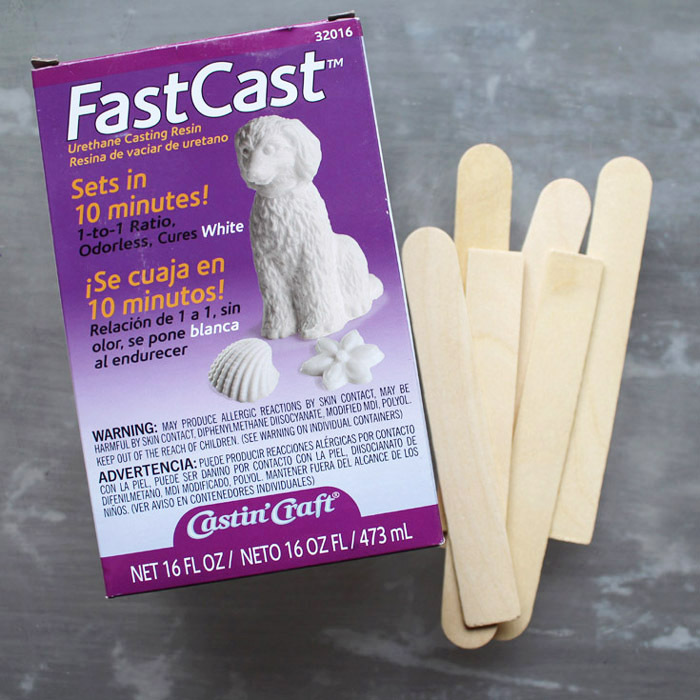 Begin by reading the directions for the FastCast Resin. Follow the directions exactly when mixing it. Work on a disposable surface and always wear gloves when working with resin. FastCast sets surprisingly quickly, you only have 2 minutes or less of working time, so be sure everything is set and ready to go before mixing. 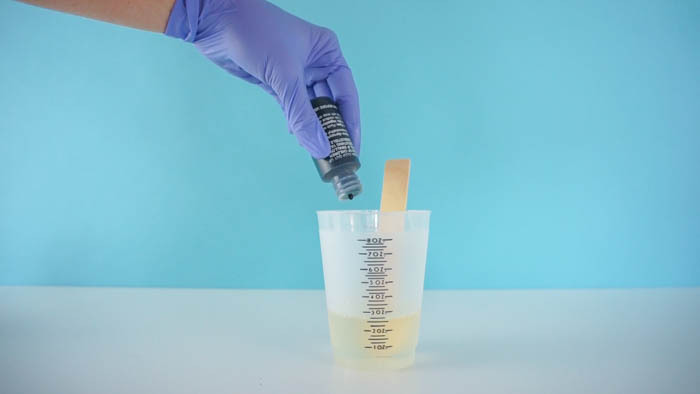 Next, use a pipette or dropper to fill the mold as quickly and carefully as possible. Then let the resin set for 15 minutes and then it’s ultimately done! Finally, pop it out of the mold and it’s ready to work with. Now use the drill and small bit to drill a hole on each side of the resin casting. It’s important to realize that the holes need to be drilled close to the edge so the jump ring can fit through it…but not so close that the resin breaks. 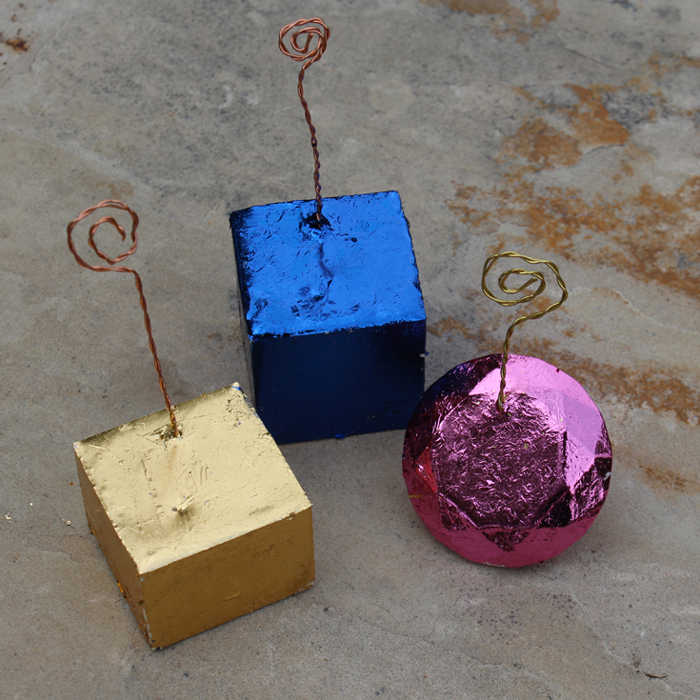 Then paint the resin the color of your choice–I used gold spray paint. After the paint is dry it’s time to hook it to the chain. Then cut a length of chain to fit around the wearers head, about 24 inches. Next hook the jump ring on the resin casting and to the chain. The backside is unpainted, but you can see the simplicity of attaching the chain. 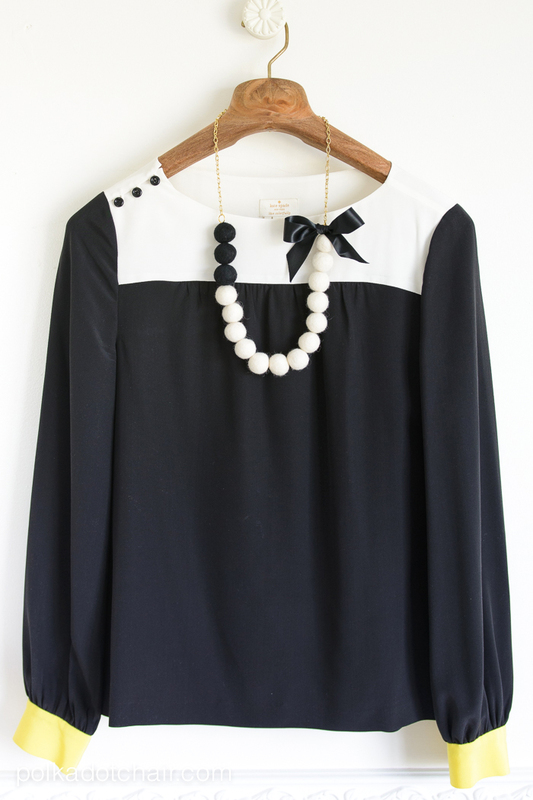 Now this necklace is ready to wear–perfect addition to a costume or just for fun! 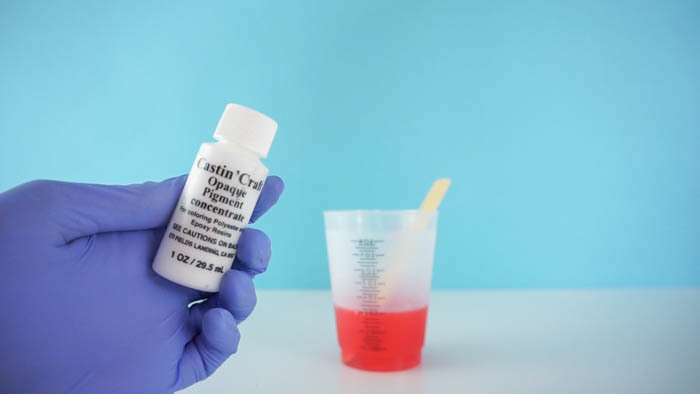 Have you used FastCast resin before? 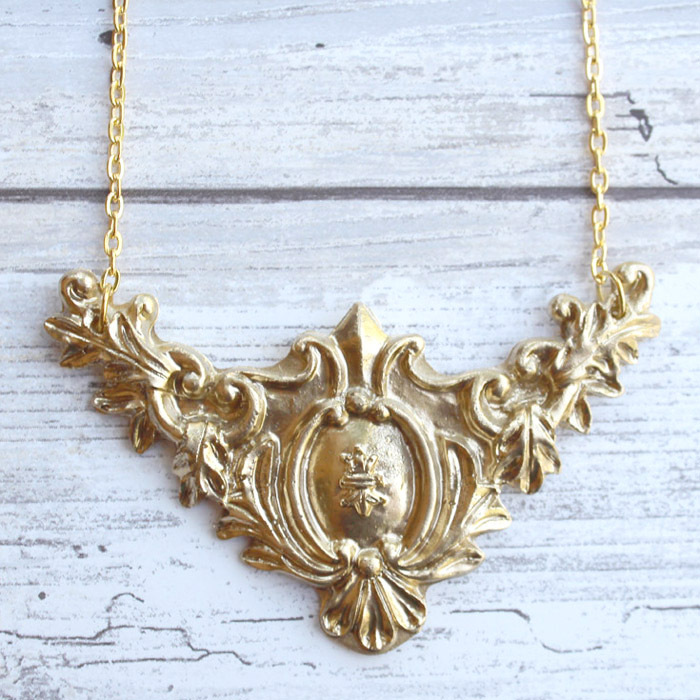 Get inspired by this Resin Victorian Necklace! 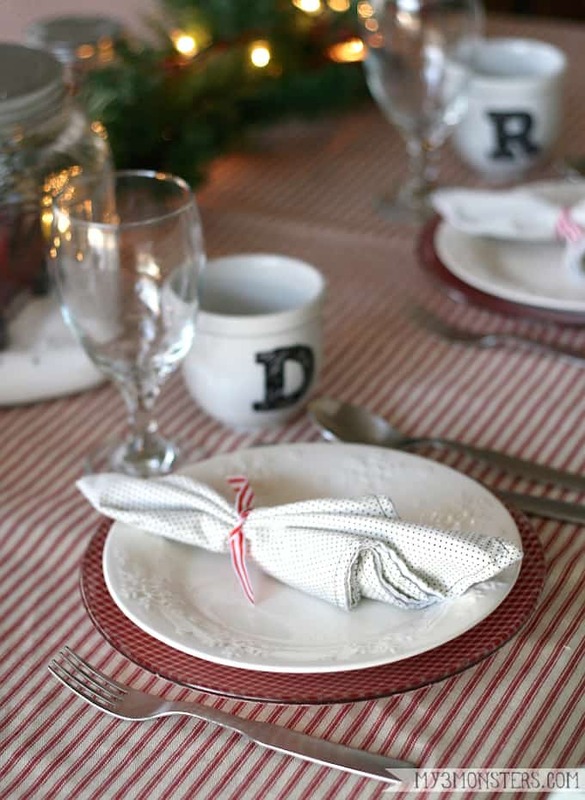 I am sort of in love with these resin leaf napkin rings and place cards. 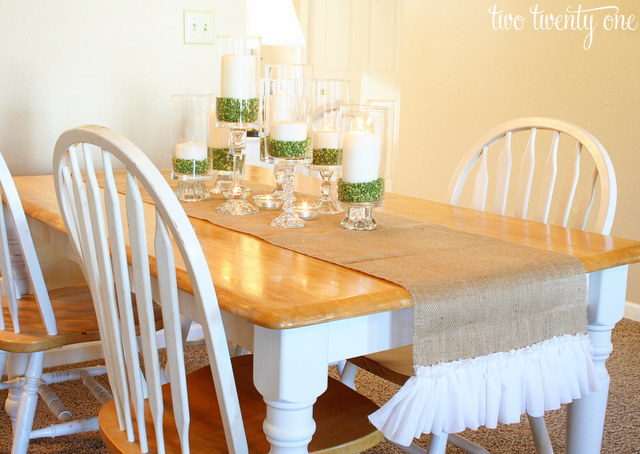 Yes, this project is both a napkin ring and a way to tell people where to sit at your Thanksgiving dinner. 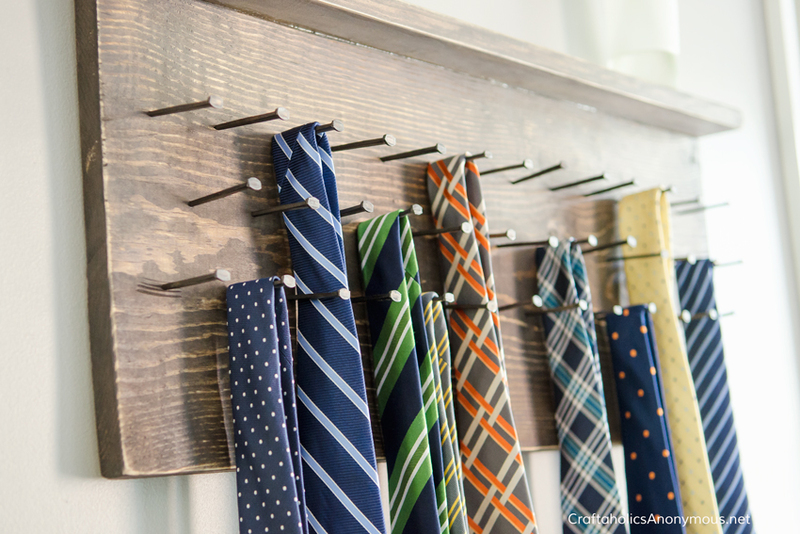 The reason I am in love with them is that yes they look great – BUT – the method I used to make them is so super simple! 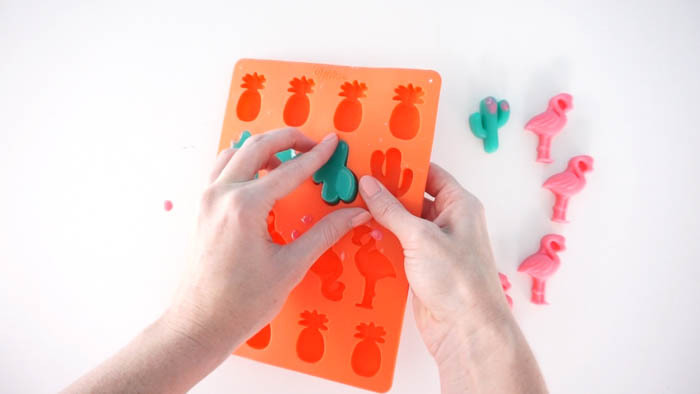 I started by using my hot glue gun to draw leaf-like shapes right on my silicone craft mat. 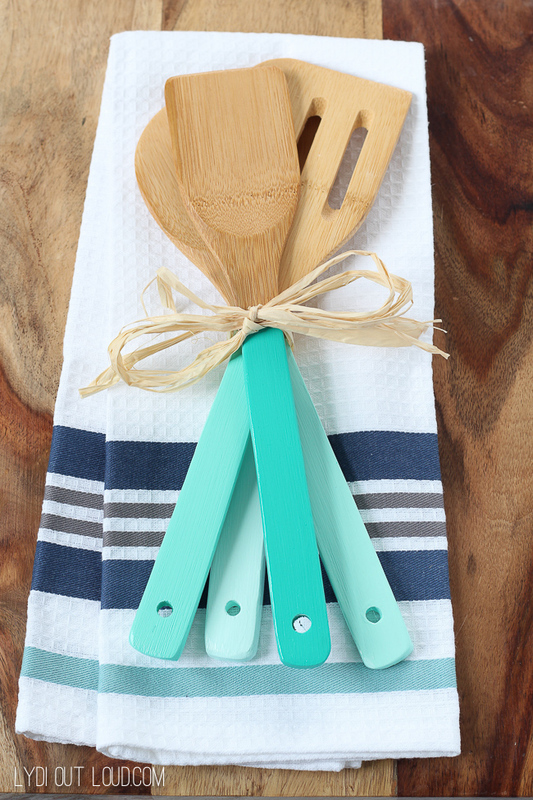 This mat is non-stick and perfect for this project! It is sort of the secret ingredient. Allow the glue to cool completely. I then mixed up the EasyCast Clear Casting Epoxy and placed it into four small cups. Be sure to wear protective equipment and follow all mixing instructions on the package for maximum success. One I left clear then I tinted the others yellow, orange, and red. Now for the fun part! I actually sprayed half of my leaf shapes with the mold release and left half with nothing on them. The results were exactly the same. So I am going to say you don’t need to actually spray these before pouring your resin. Pour in the clear resin first right in your leaf outlines. Then add droplets of the colors. 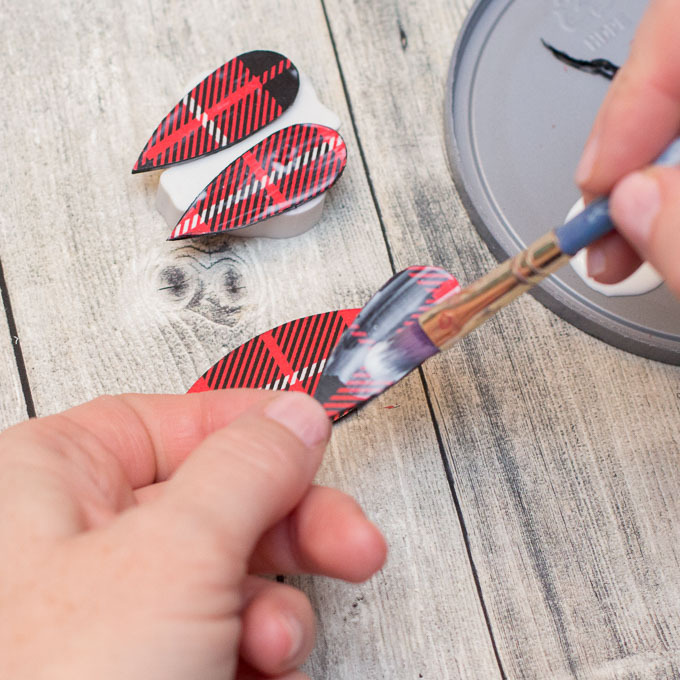 Use a stir stick to swirl your colors for a marbled effect. Add more resin if required as you want the leaves to be completely full. Then allow to cure overnight. Be sure that the leaves are left flat. You will have something that looks like the image below. 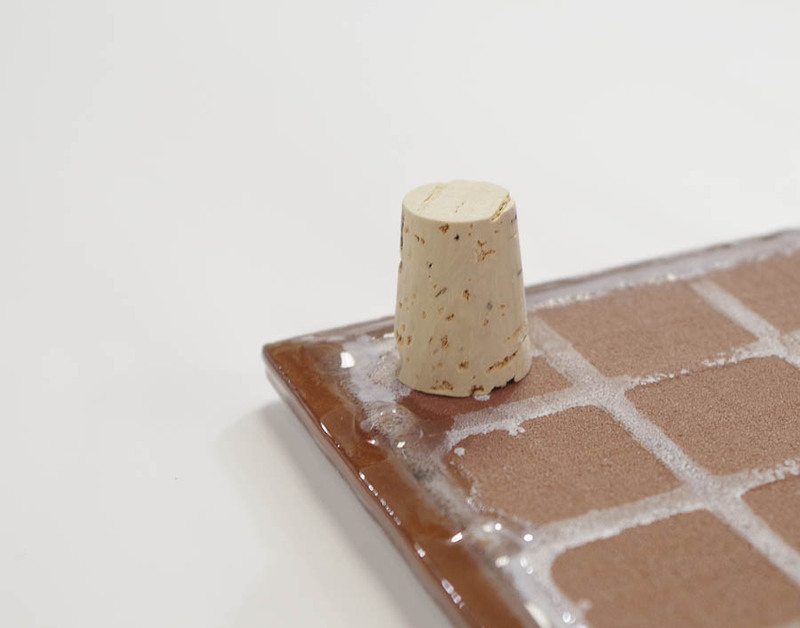 You can now peel the entire thing off of the silicone mat and then just peel the hot glue away from the sides. 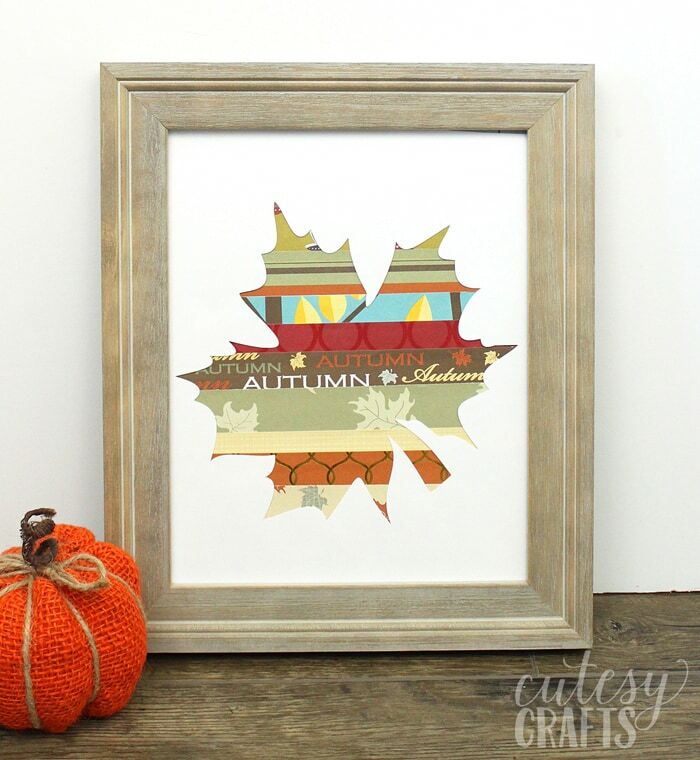 These amazing little leaves are just perfect for any fall project. 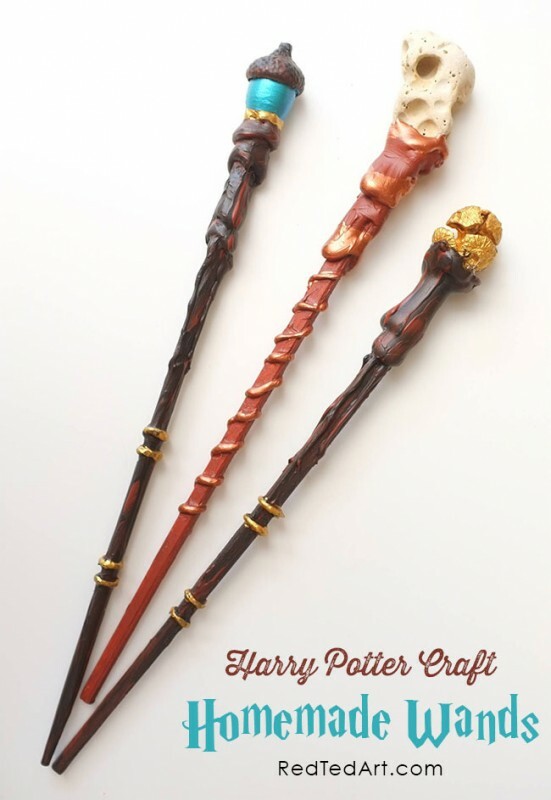 Can you just imagine all of the other shapes that you can cast with this technique? 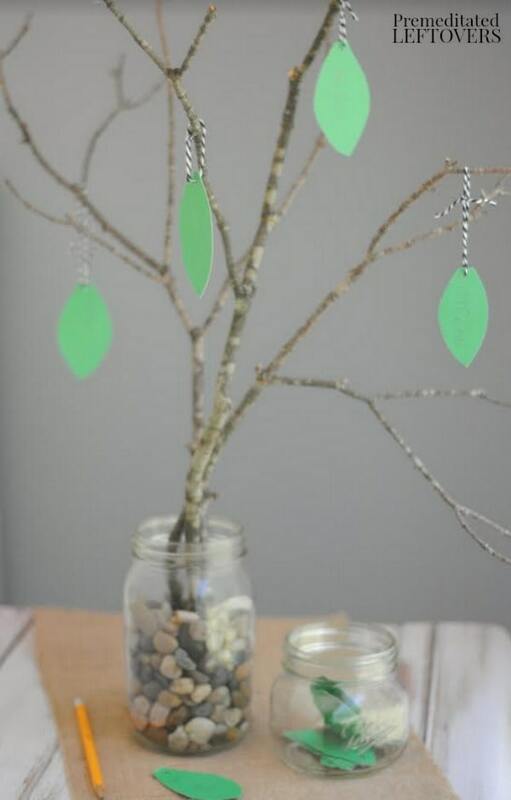 I wanted to add my leaves to some napkin rings and I actually wanted them to double as place cards. So I used a metallic paint pen to put the initials of my dinner guests on one leaf. I then combined a bunch of leaves right on a napkin ring with some hot glue. These resin leaf napkin rings are complete and oh so pretty! 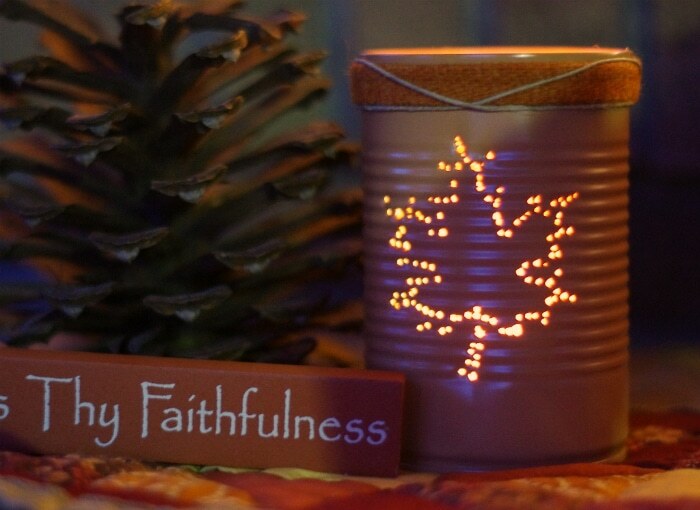 Imagine a bunch of these fall leaves all the way around a wreath or combined to make a great centerpiece. Now that you know this fun technique for casting resin into any shape, the possibilities are really endless! 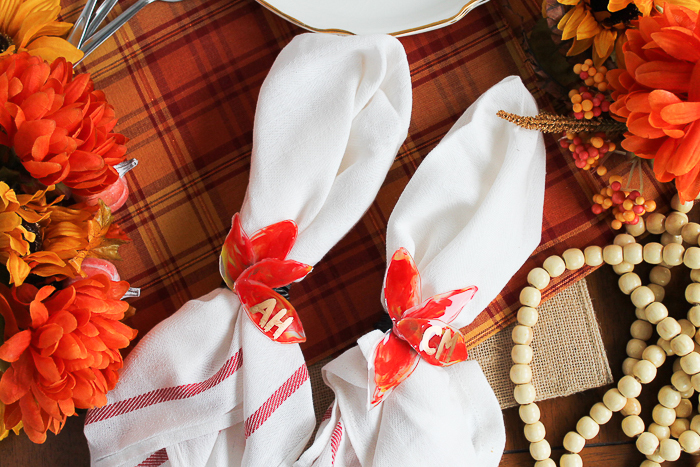 Will you be making some resin leaf napkin rings and place cards for your Thanksgiving feast? 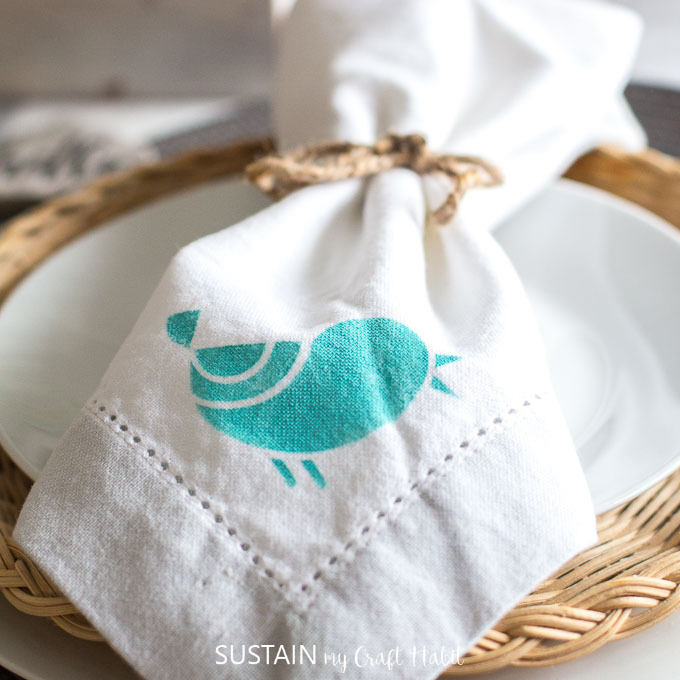 Be sure to pick up some extra supplies as I know you will have other ideas using this crafting technique that you will need to make in addition to these resin leaf napkin rings! 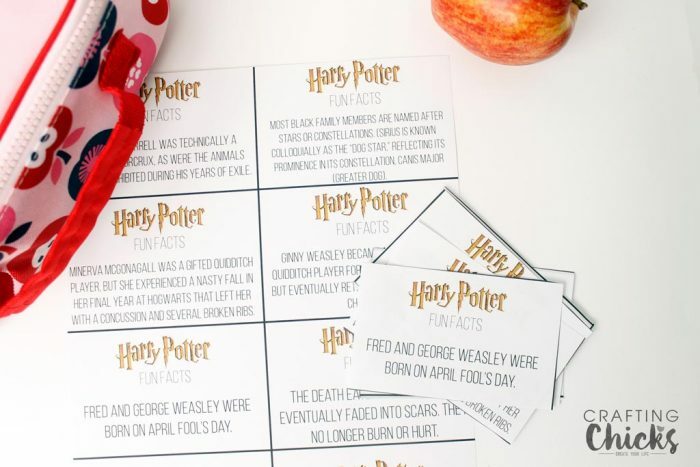 There is a really good reason why the Harry Potter series has such a cult-following. Not only are the books amazing, but the movies are great too! 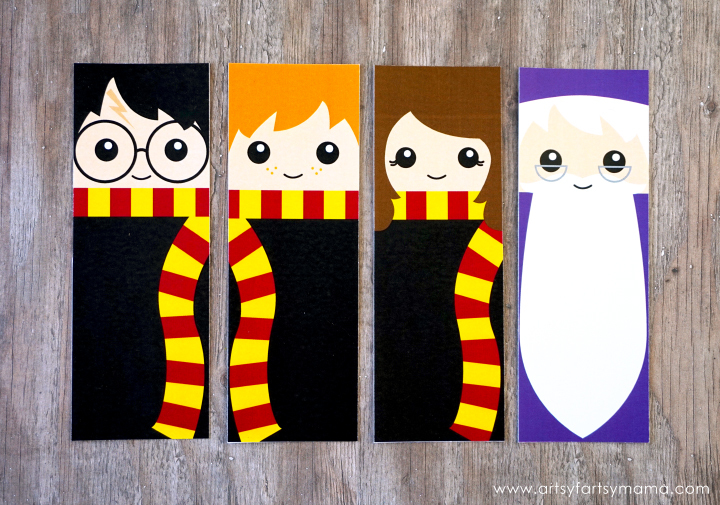 It seems like Harry Potter rises to even more popularity this time of year. 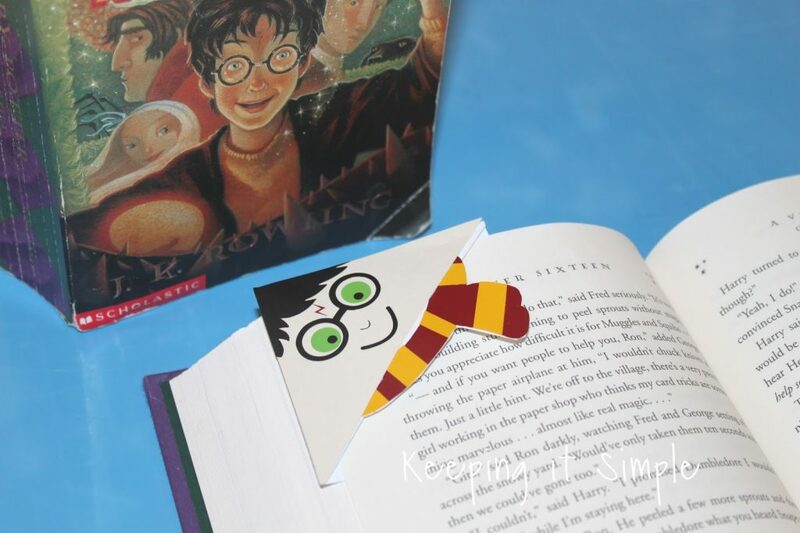 One of the best things about Harry Potter is that is stretches across all ages and the love for the series is shared by so many. 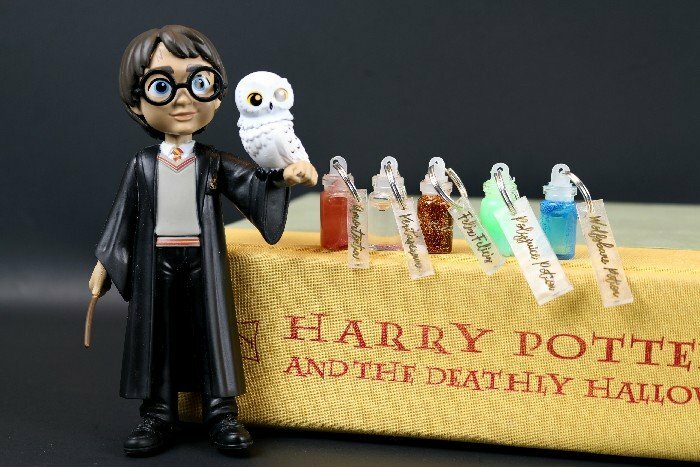 Today on Resin Crafts Blog, we’re sharing with you some Fun Harry Potter crafts you’ve got to try! 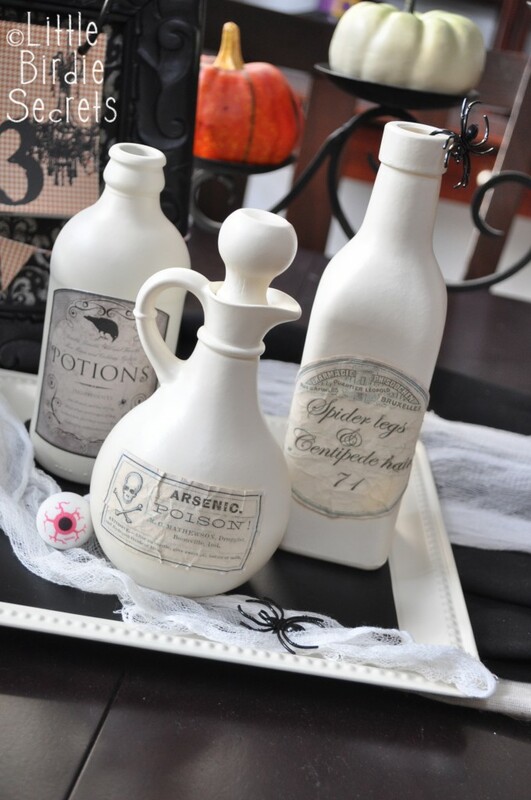 Hi Resin Crafters, it’s Natalie from Doodlecraft with an awesome resin project perfect for Halloween. 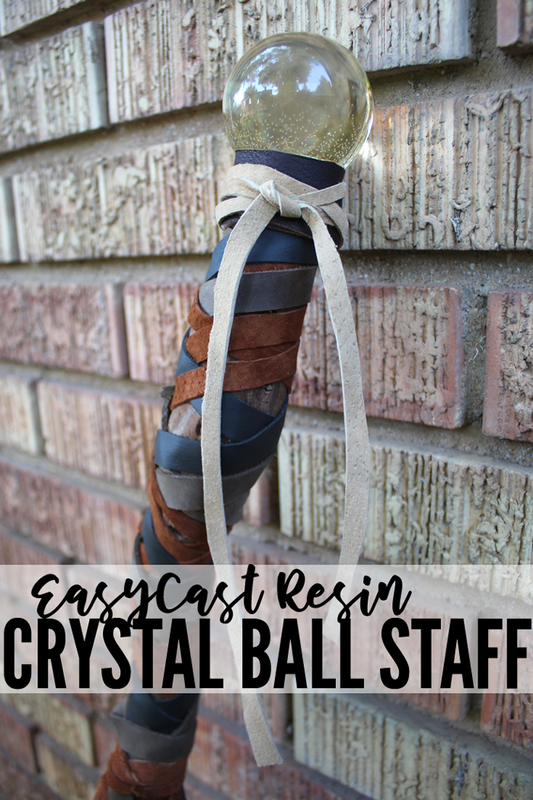 Make an impressive Crystal Ball staff using EasyCast resin; great for a wizard, druid, sorcerer or gypsy costume! I love Halloween and believe that props and the small details make the biggest difference in an award-winning costume or cosplay. 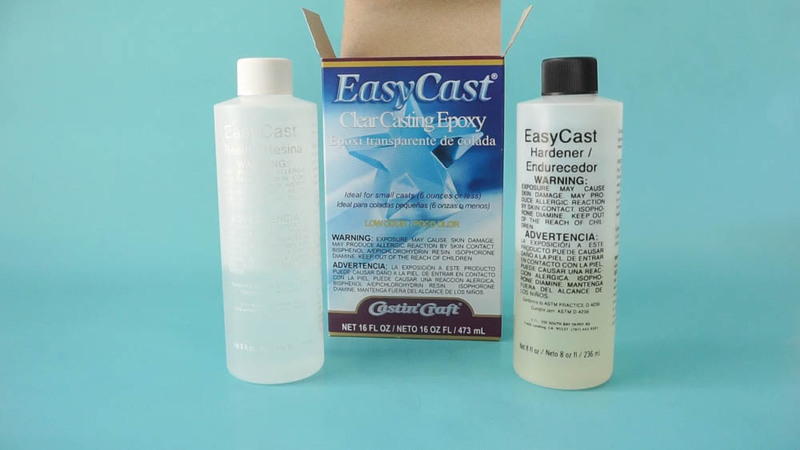 Begin by reading the directions for the EasyCast resin carefully. 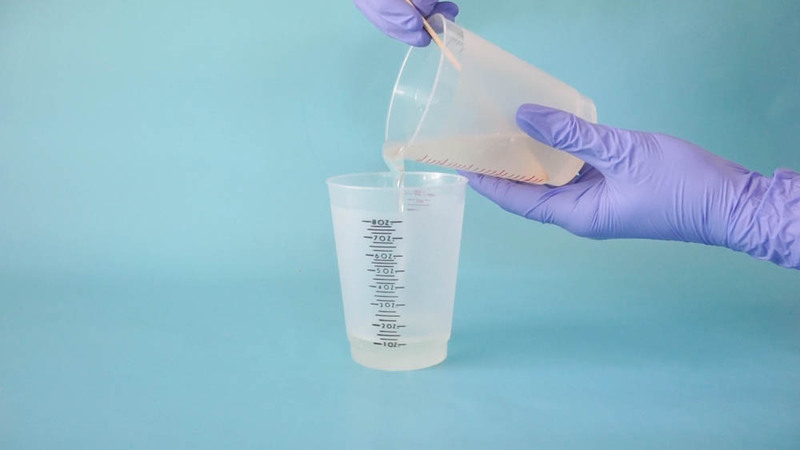 Pour water into the desired mold and then pour out into a measuring cup. 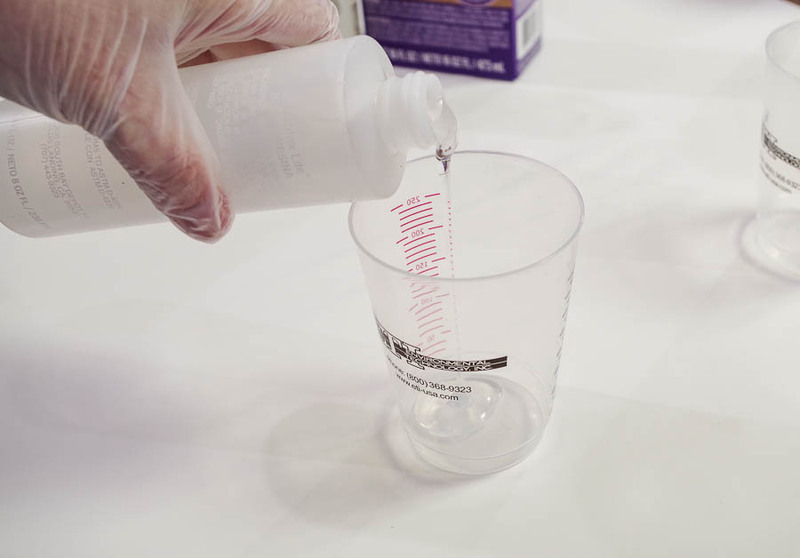 Divide the amount in half and then mix that quantity of resin and equal parts hardener. Stir for the correct amount of time. 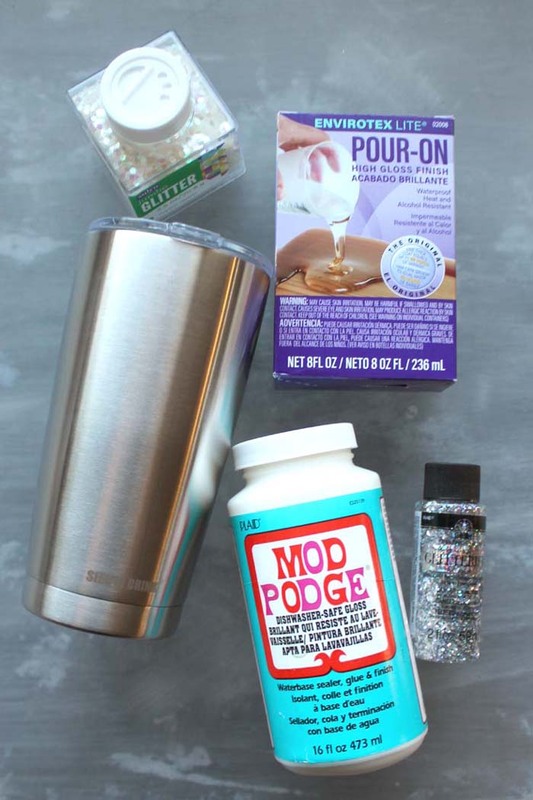 Pour into silicone mold. 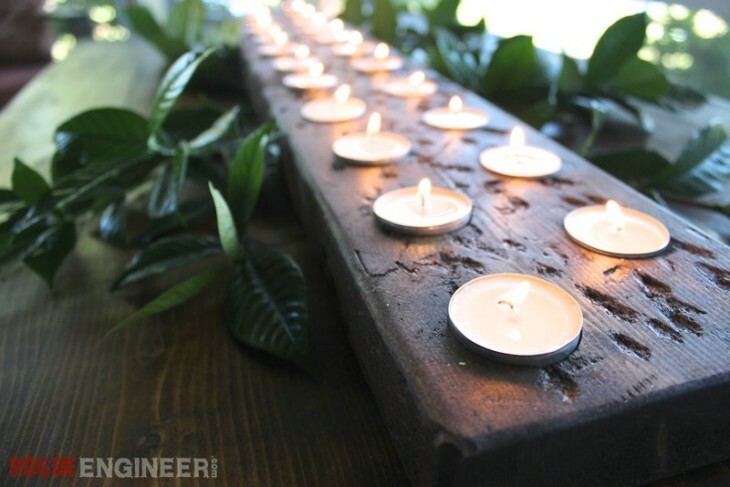 Let the resin sit for 20 minutes, then use a heat gun or mini torch to remove any bubbles that have formed. Then let the resin cure overnight. The next day, remove the crystal ball. Some bubbles formed, but I think it works fine for this project. Now it is time to form the staff. 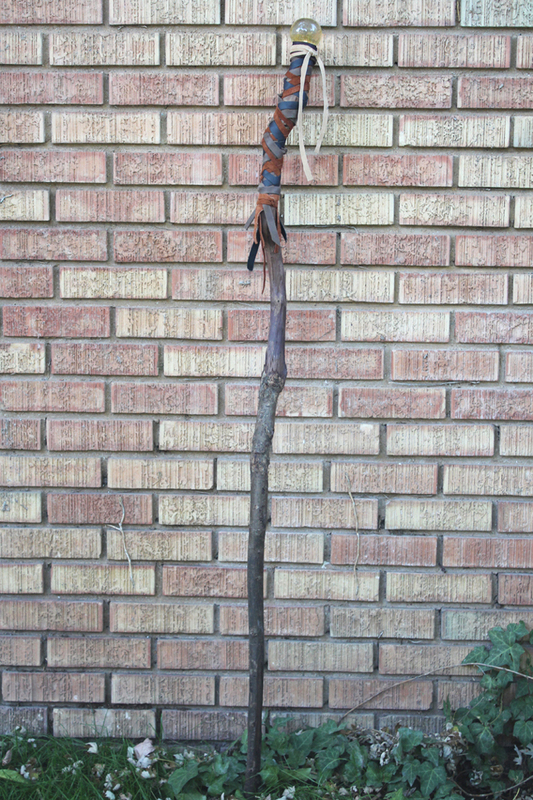 I got an old/cured oak staff from a neighbor, but any thick stick or dowel will work, especially for a costume. My teenage son has just discovered plait braiding or plaiting and helped me with this staff. Cut strips of leather into 1/2 inch pieces. 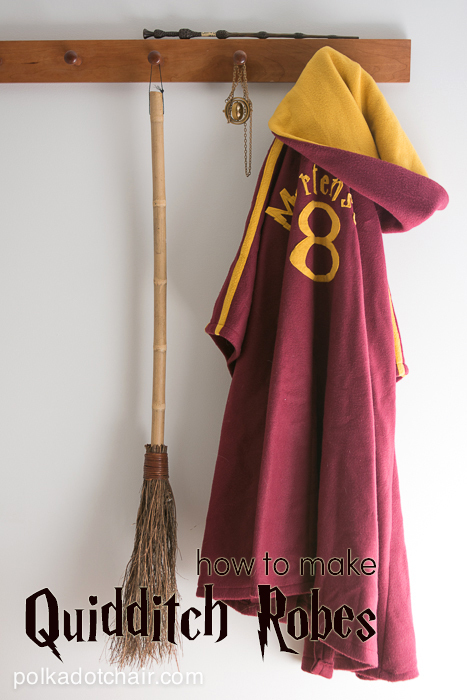 The ragged look is charming and perfect for this style of staff. Once braided, it looks good, but needs the cherry on top! Lastly, time to place the crystal ball on top. Time to use the E6000 and painters tape. 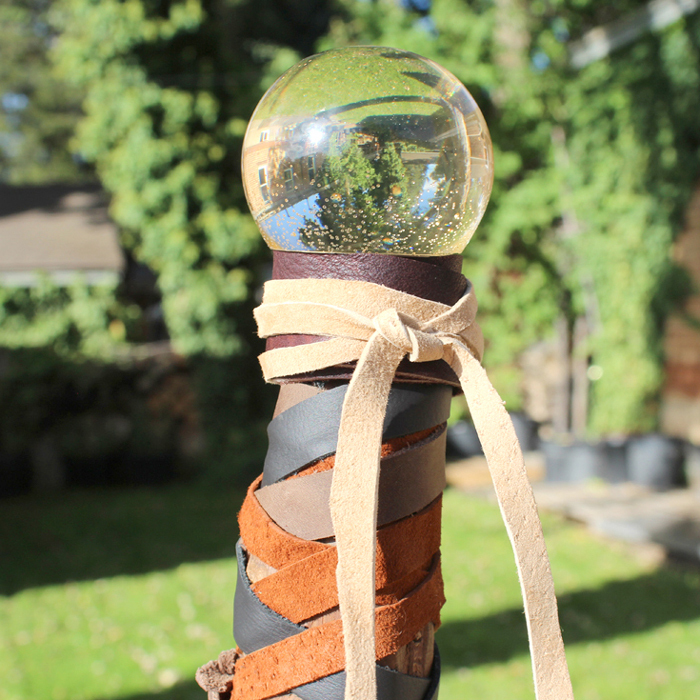 Place a blob of E6000 glue on the base of the crystal ball and set it centered on the top of the staff. Tape the ball in place tightly while the glue cures for at least 4 hours…but overnight to be sure. Remove the tape. 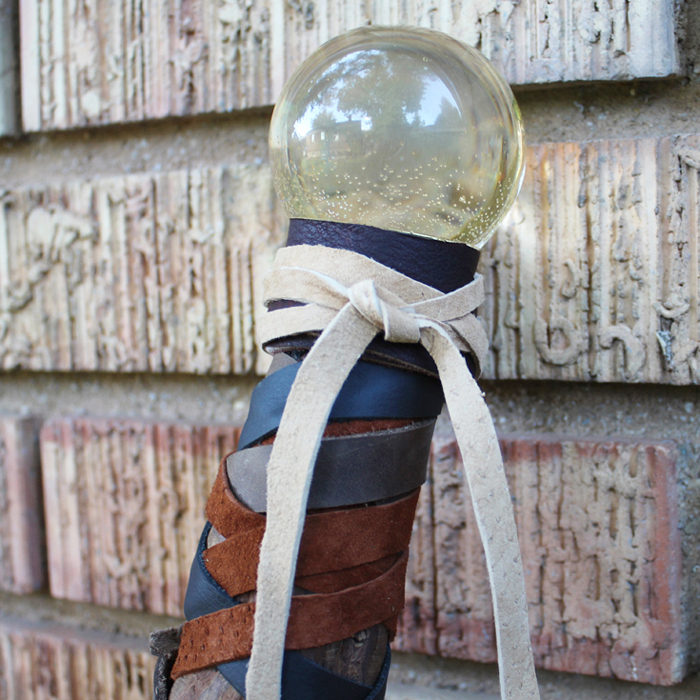 The crystal ball was a little bigger than the staff, so a couple of wraps of leather around the top of the staff and then tied off securely. That’s it! Such an amazing piece for a fabulous costume! Pin and save for later! ‘Tis the season to decorate your home with all things spooky and scary! 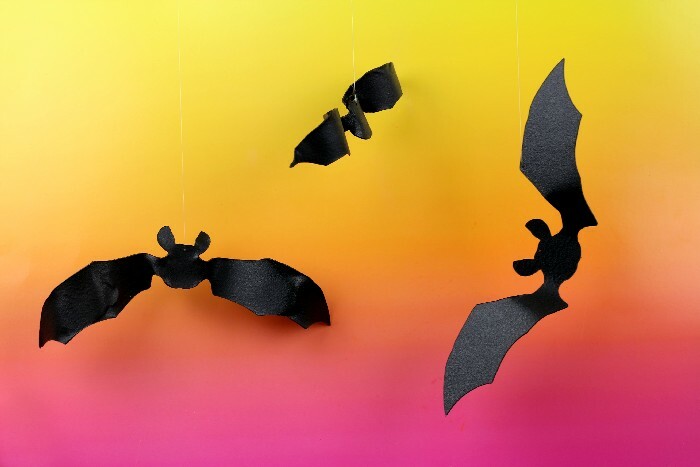 Today I am sharing how you can create dimensional bat silhouettes to add a touch of Halloween to your home. 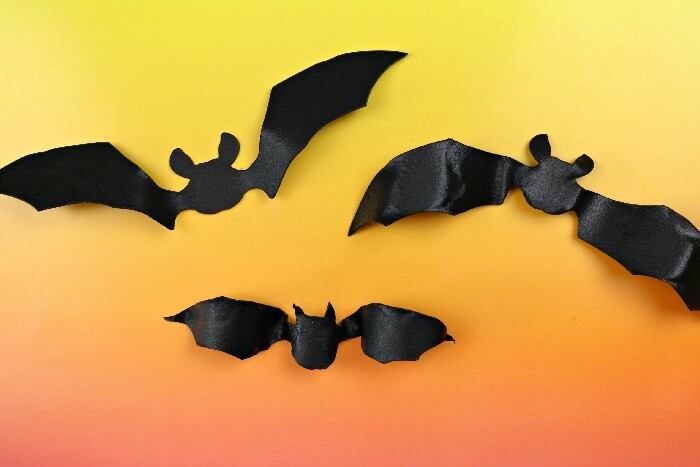 Using a fun product most often used to create elaborate costumes, I made creepy 3D bats that are perfect for your Halloween decor. 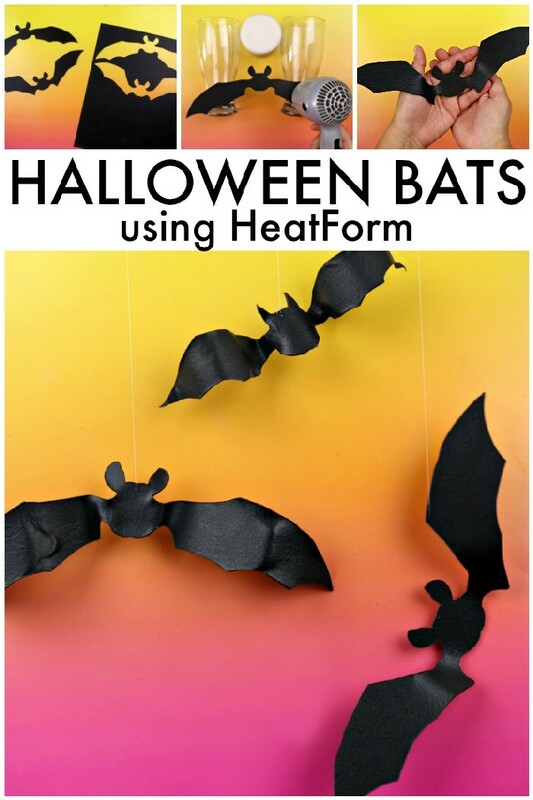 Keep reading to learn how to make your own HeatForm Halloween Bats. HeatForm is a very cool new product that I know you will want to try for yourself. 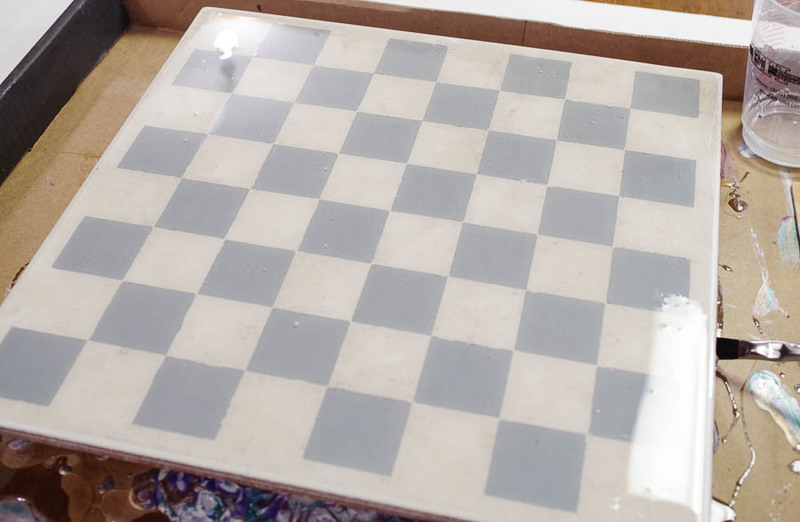 The thermoplastic sheets are rigid like regular plastic until you heat them with a hairdryer or heat gun. 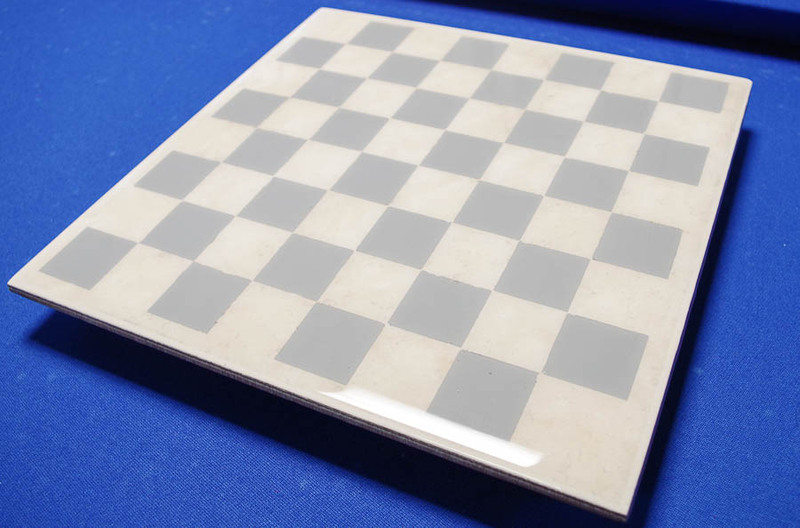 While the product is hot, you can mold the sheets into whatever shape you choose. When the HeatForm cools, the product becomes rigid again and the new shape is locked in place! 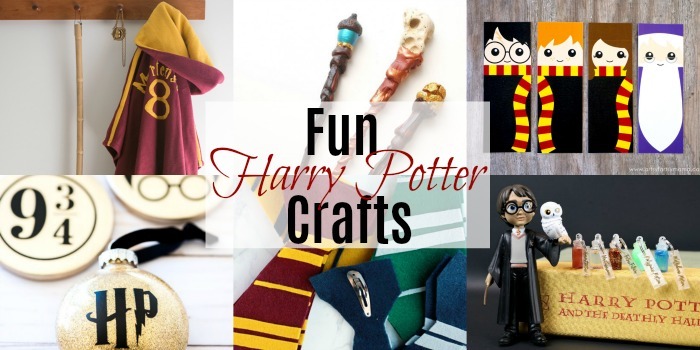 Similar products are very popular with costumers and cosplay artists, as the product is fantastic for making custom costume pieces. 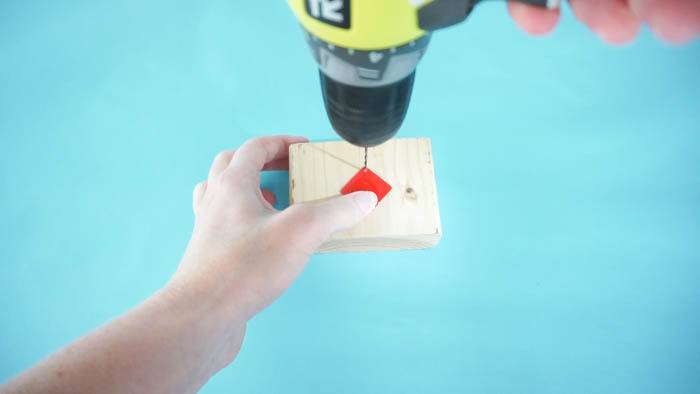 Even though HeatForm is sturdy, it can still be cut with regular scissors. 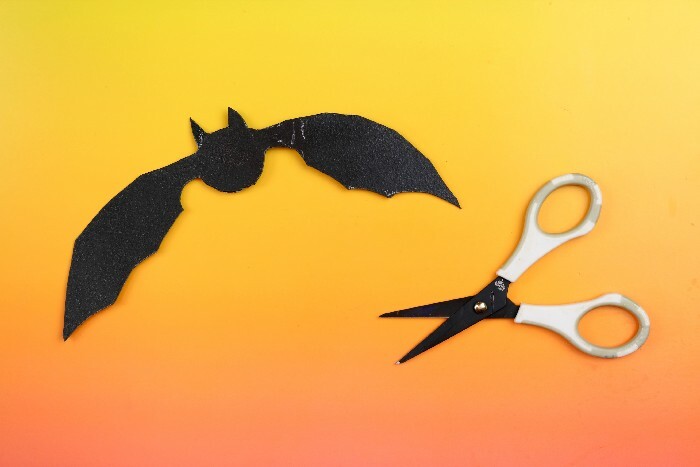 I cut this simple bat silhouette out using small craft scissors, but you can also use a utility knife or digital cutting machine. 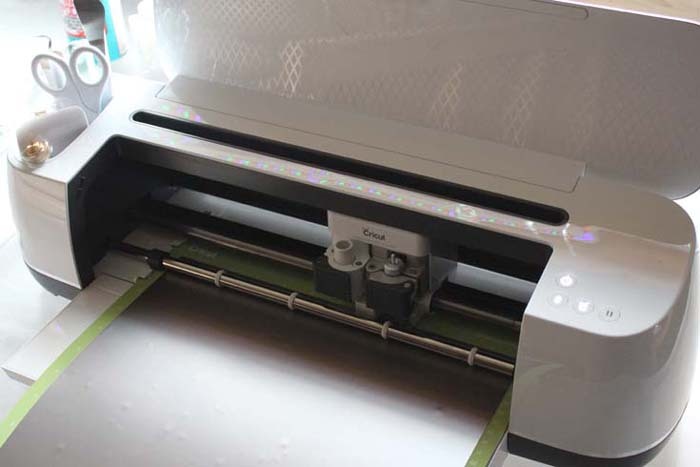 Cutting by hand is the less expensive and less time-consuming method, but your results will be less precise than those made with a cutting machine. The tool you use for your project is totally up to you. I made two more bats using my digital cutting machine. 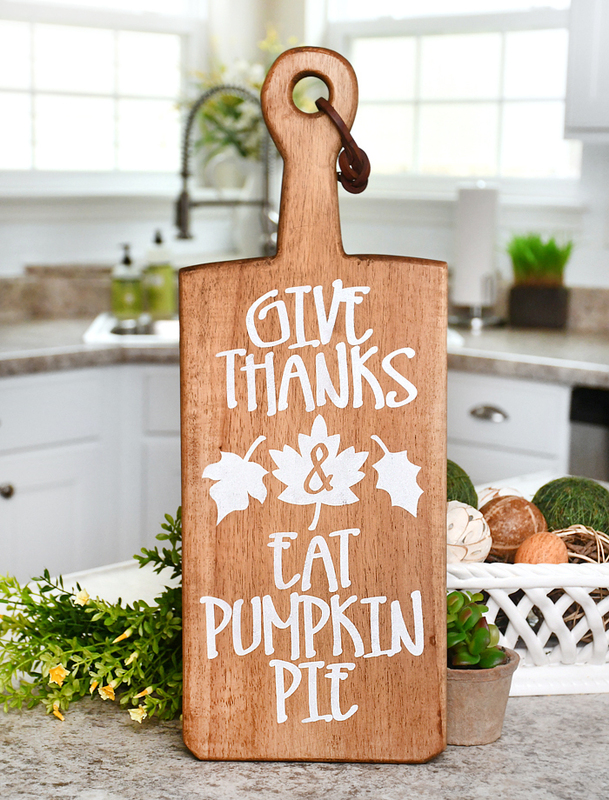 I used a strong grip cutting mat and a knife blade and set my Cricut Maker to cut heavy chipboard. The machine made twenty passes over the material to cut out the shapes, which took nearly an hour. 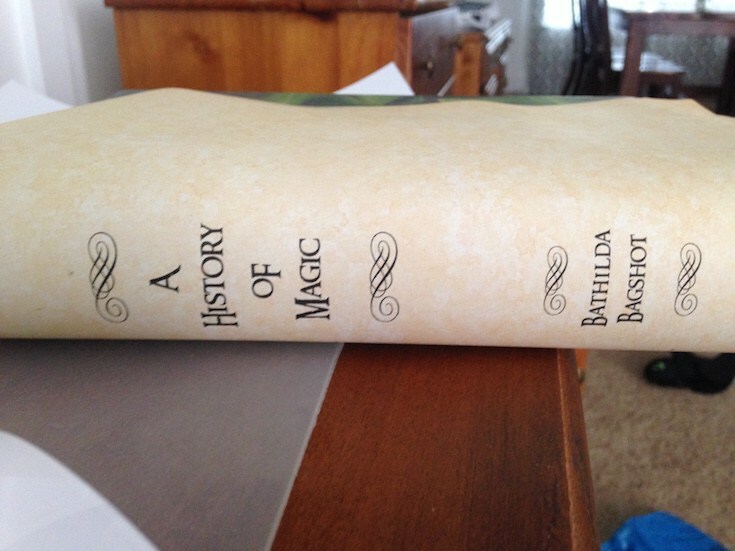 The process was definitely time-consuming, but the results are perfect. Choose the cutting method that works the best for you! After I cut out the bat shapes, it was time for the fun part! I created a make-shift jig to add shape to my bats. I set the HeatForm bats on top of two large glasses, then heated the HeatForm with a hairdryer. The product became soft and pliable, so I was able to drape it over the glasses to create the illusion that the wings are in motion. 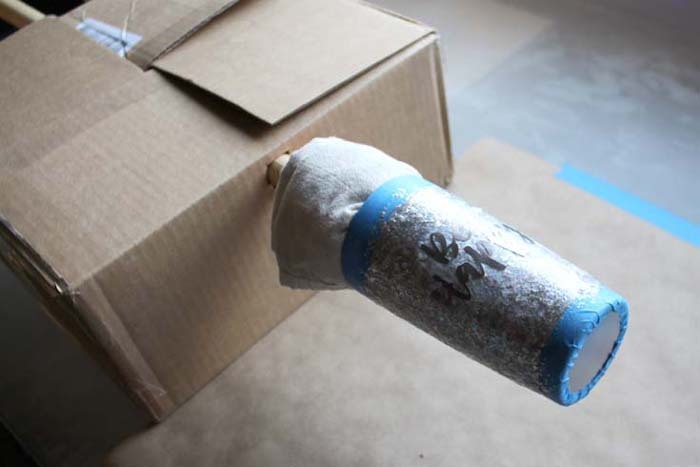 One of the many cool things about HeatForm is that if you don’t like the way your project looks after you have molded it, you can reheat it and start over! Since this HeatForm was already black, it was perfect for these spooky silhouettes. You can paint HeatForm though, so if you want to add more details to your bats you can! Finally, I needed to create a hole in the HeatForm so I could hang my finished bats. I heated the tip of a needle with a lighter and carefully pushed it through the HeatForm. This created a perfect hole through which I could thread a line of monofilament. My creepy Halloween bats were finished and ready to be hung by their invisible strings. 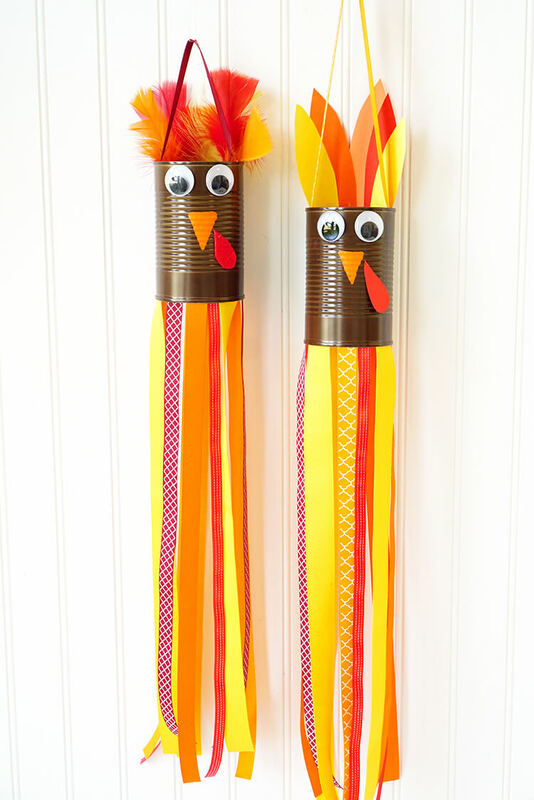 Hang these by your front door to startle trick or treaters this Halloween!